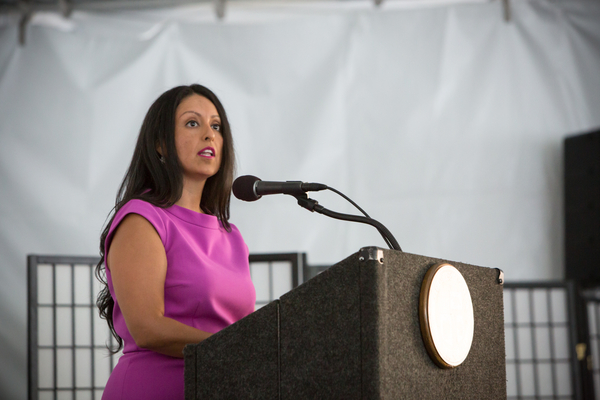 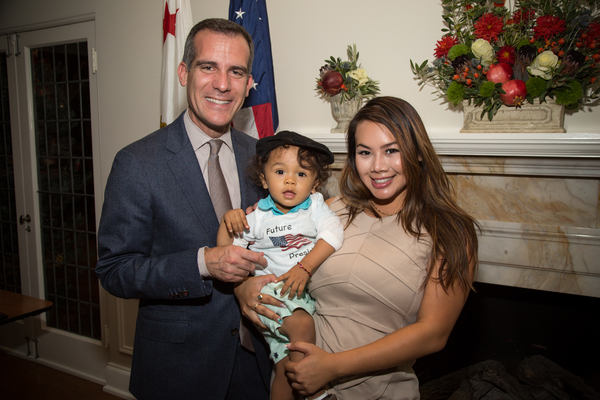 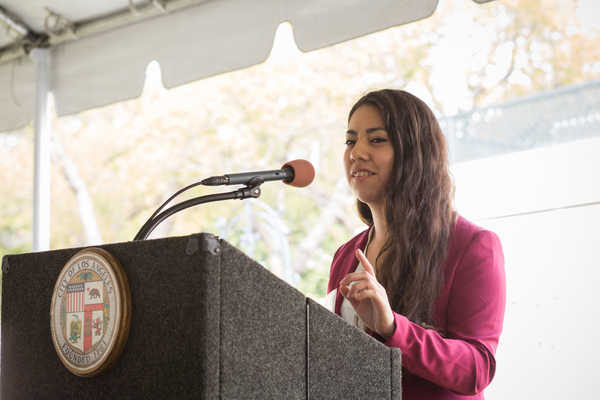 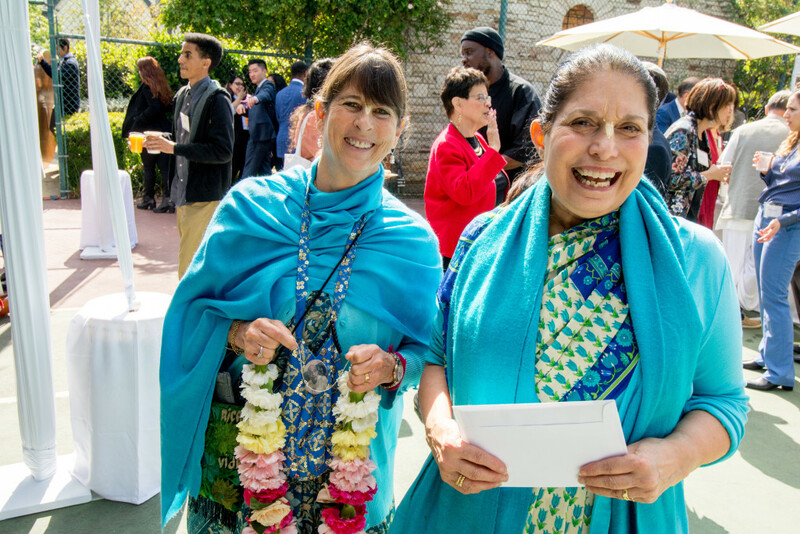 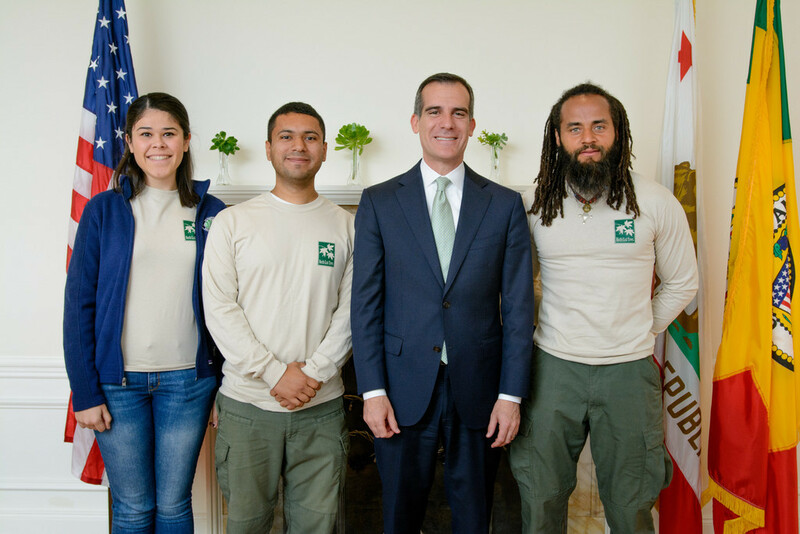 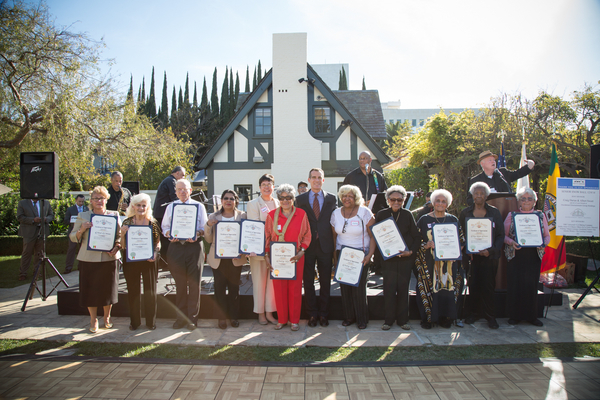 From Women’s Equality Day to Arbor Day, the Mayor and First Lady have hosted Angelenos from the diverse communities of our city to celebrate important occasions. 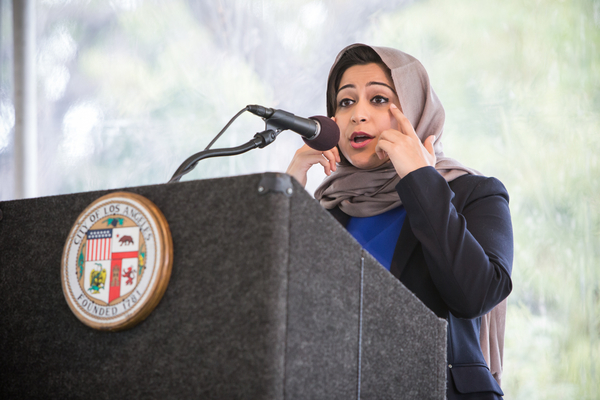 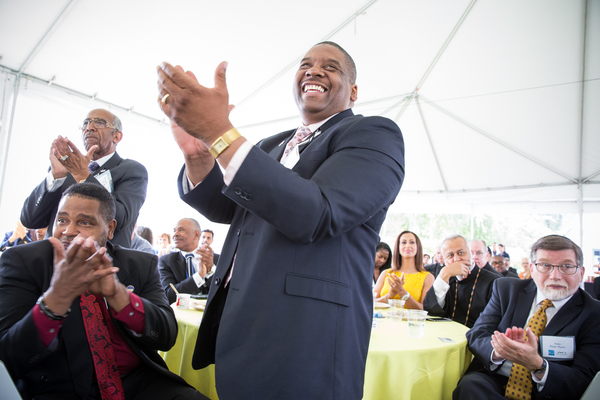 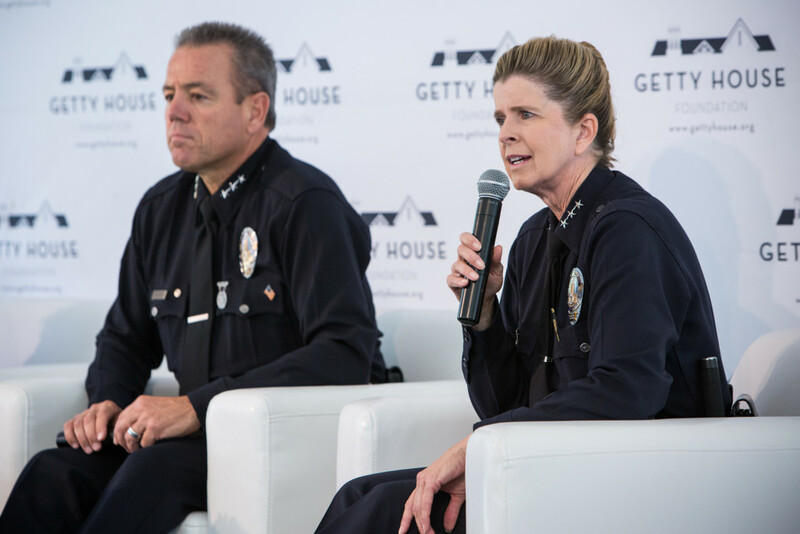 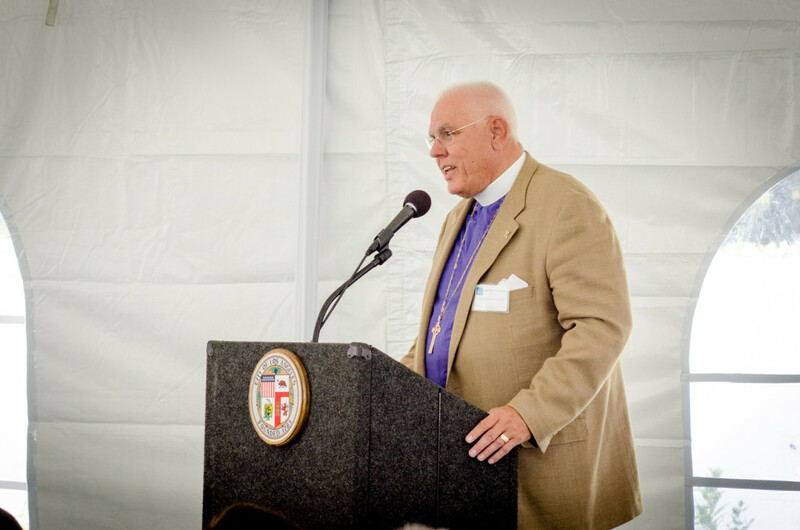 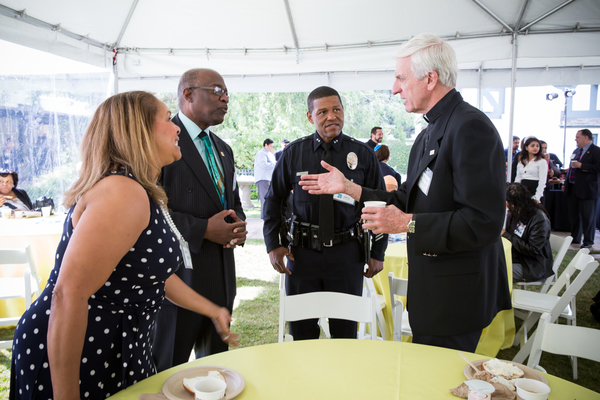 Mayor Eric Garcetti, First Lady Amy Elaine Wakeland, and the Getty House Foundation Board of Directors hosted over 200 faith leaders for the fifth annual National Day of Prayer Breakfast. 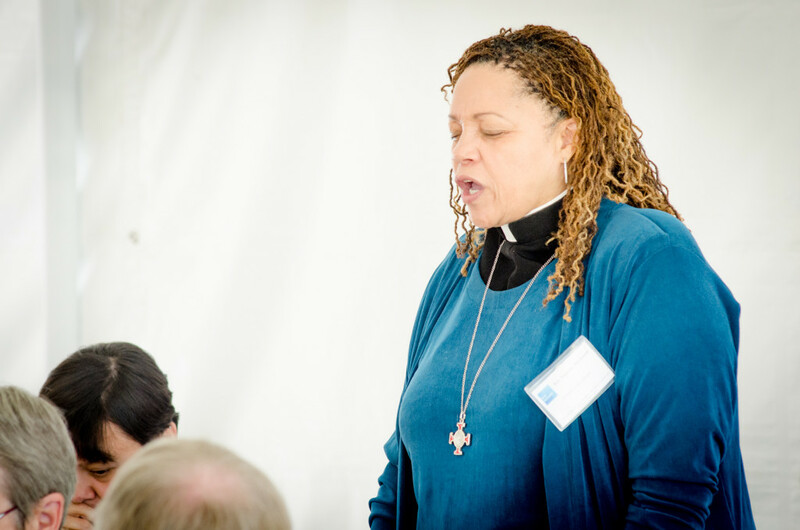 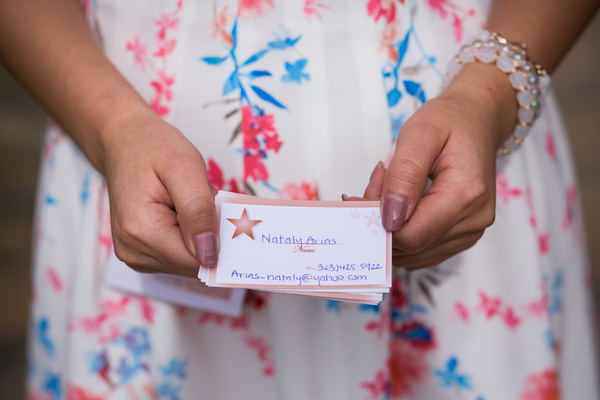 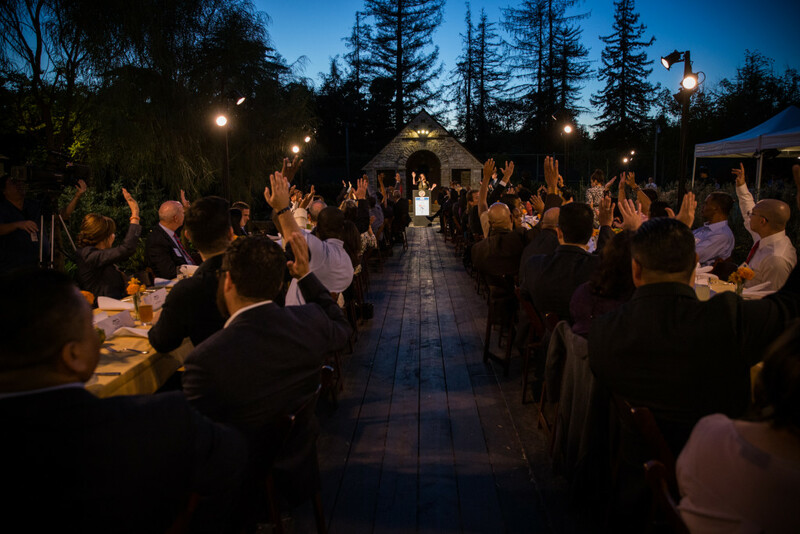 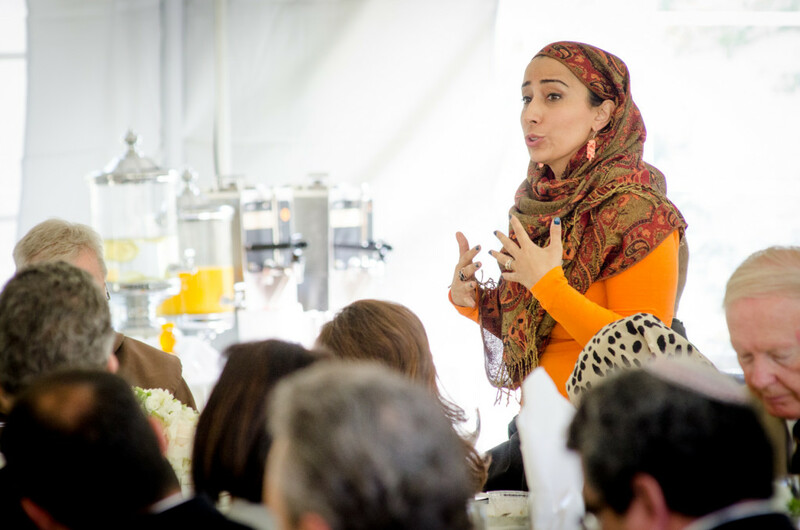 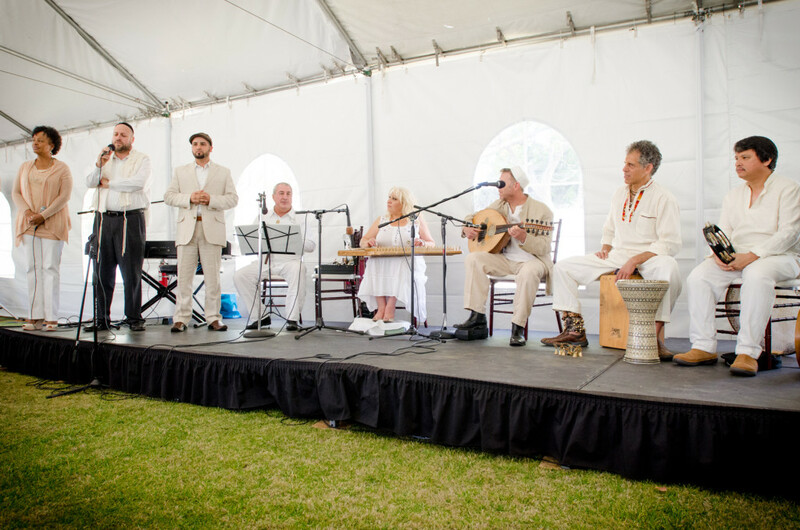 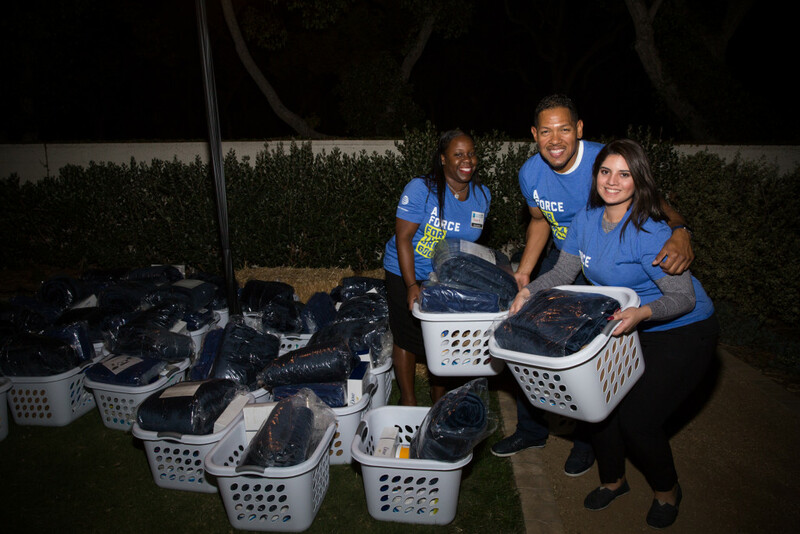 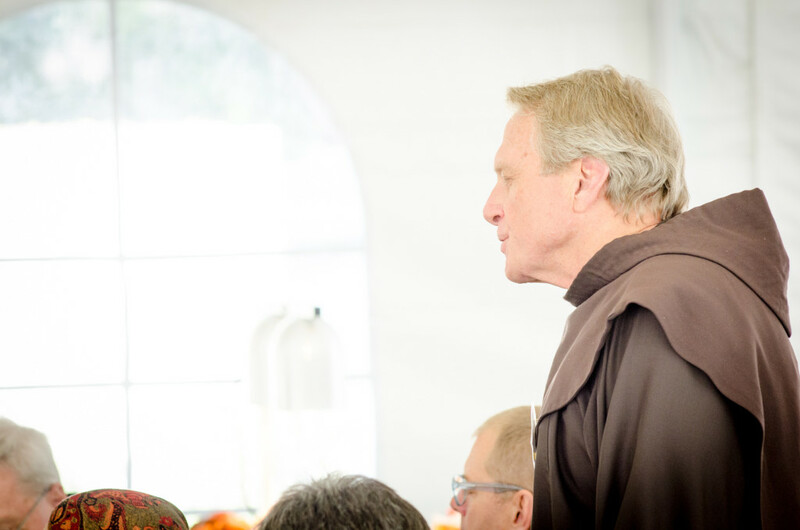 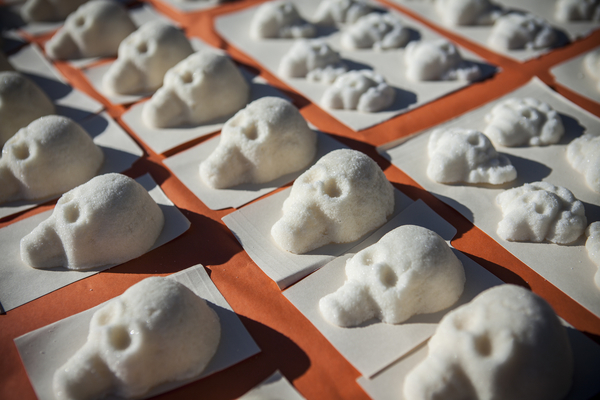 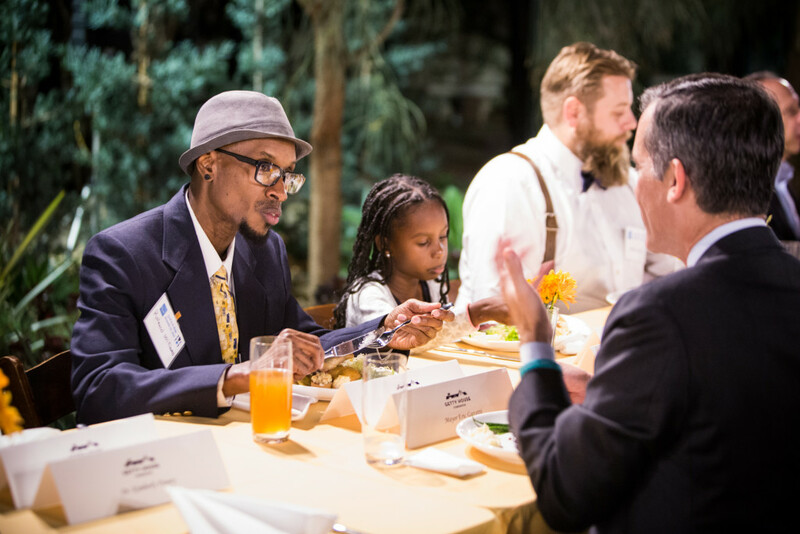 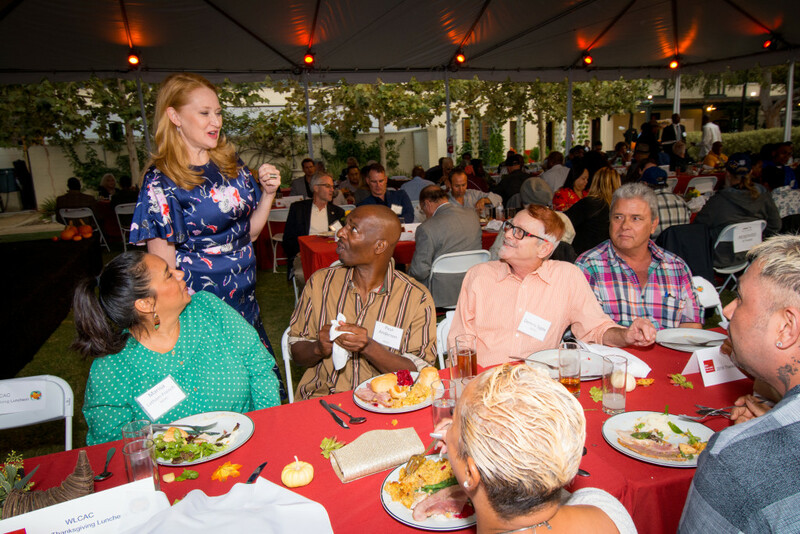 This year, attendees broke bread, joined hands, and shared how they were working together to end the great moral and humanitarian crisis of our time: homelessness. 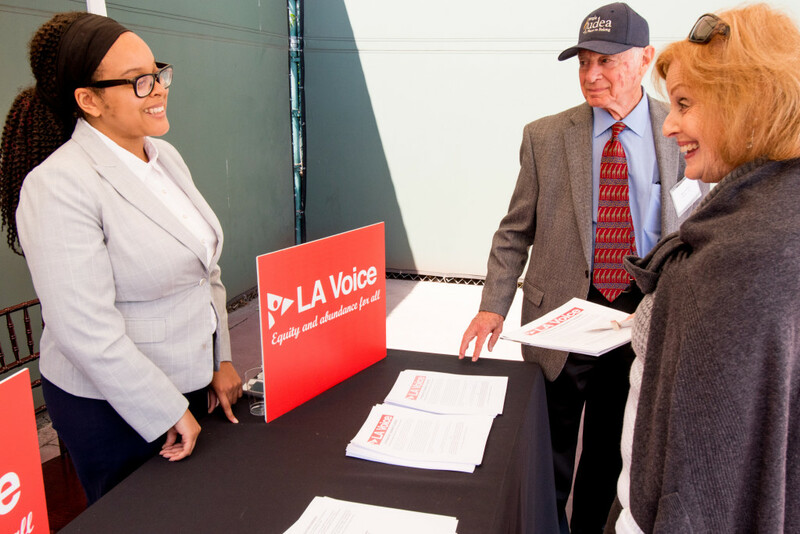 After a panel discussion featuring faith leaders, community advocates, and City staff, attendees participated in a resource fair where they could seek guidance on how to best support the Mayor’s plan to end homelessness. 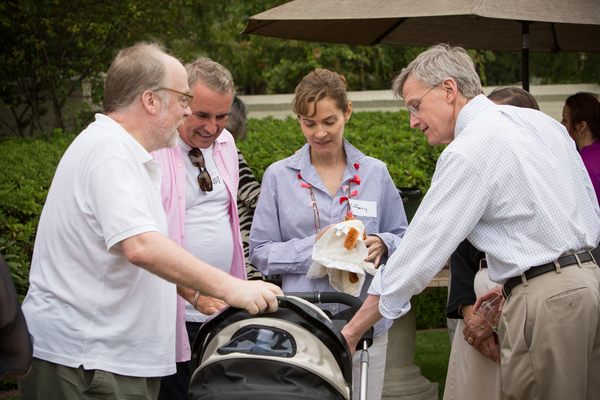 Service providers were on hand to explain how congregations can use their properties as bridge housing or safe parking sites, connect with Neighborhood Councils and Homelessness Liaisons for support in engaging their communities, and lobby state leaders to allocate $1.5 billion to solving homelessness in California, among other actions. 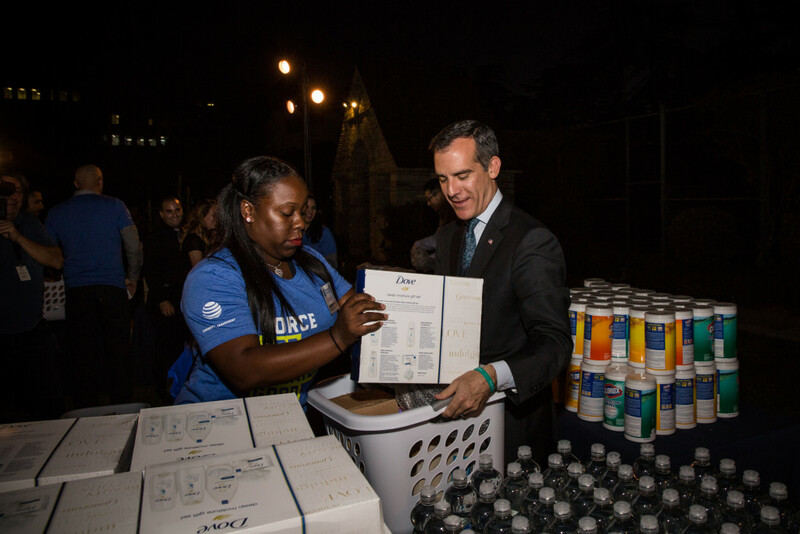 Whether you have one hour or one minute, here’s how you can help. 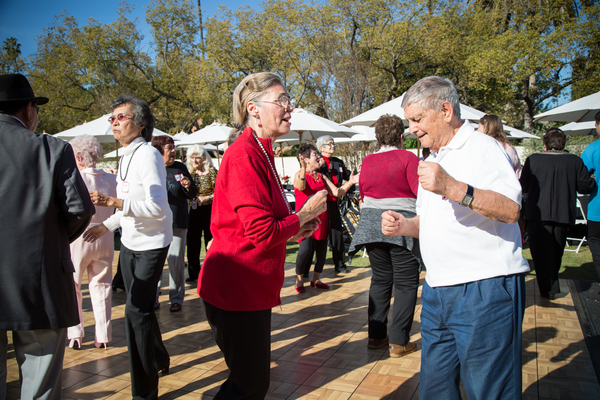 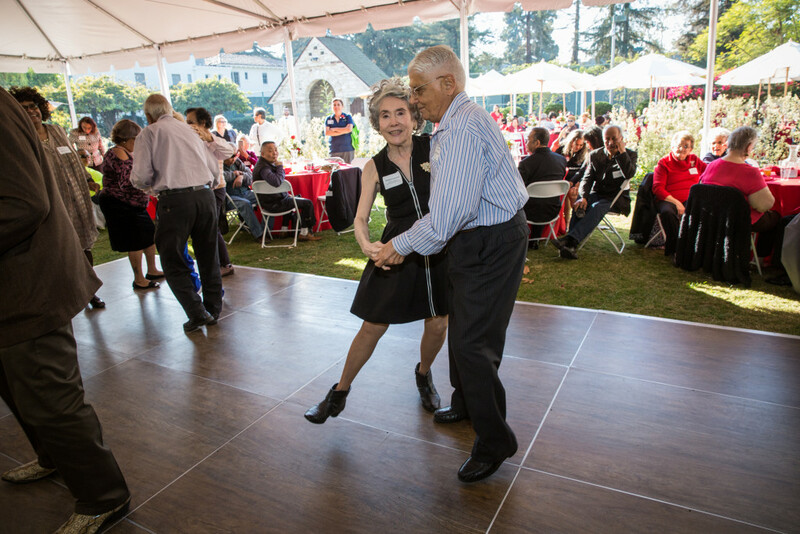 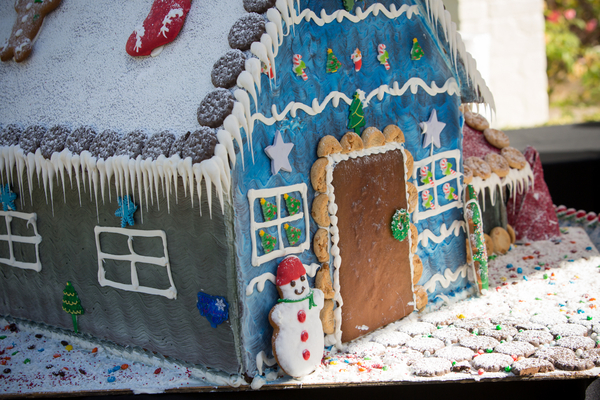 On December 6, we hosted our fifth annual Senior Snow Ball – a festive afternoon full of good food, great company, and impressive dance moves. 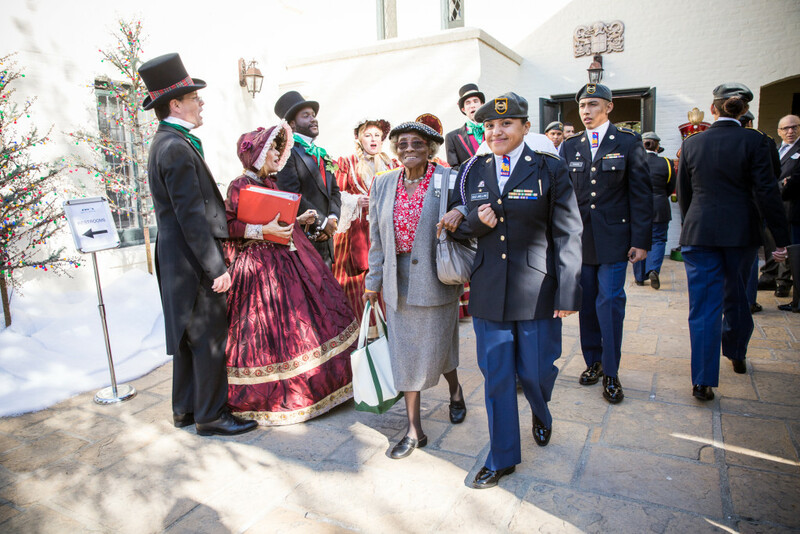 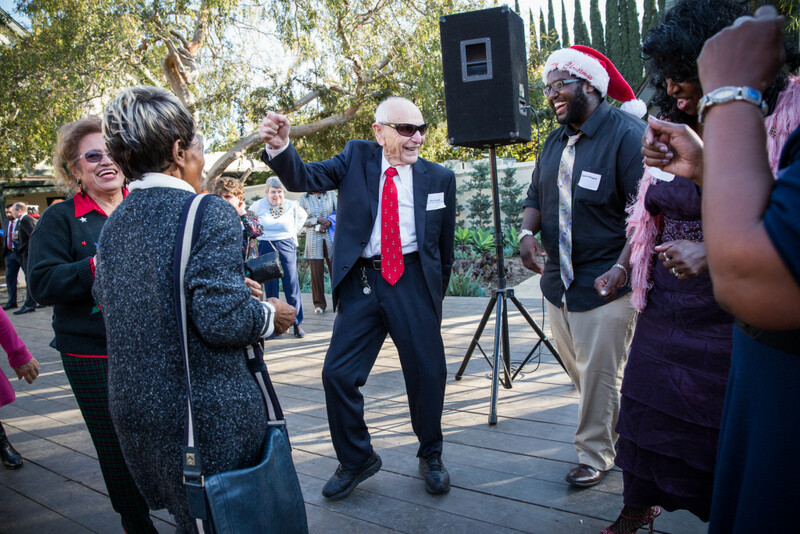 Guests from senior centers throughout Los Angeles gathered to celebrate the holiday season, and Mayor Garcetti and First Lady Amy Elaine Wakeland thanked City Hall docents for their tireless work to share L.A.’s history with future generations. 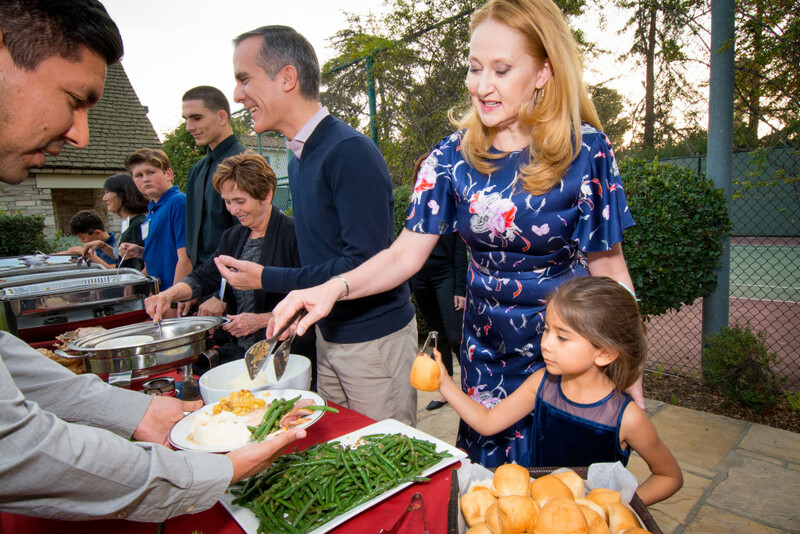 Tomorrow, Americans will gather around the dinner table to count their blessings and give thanks in the company of family and friends. 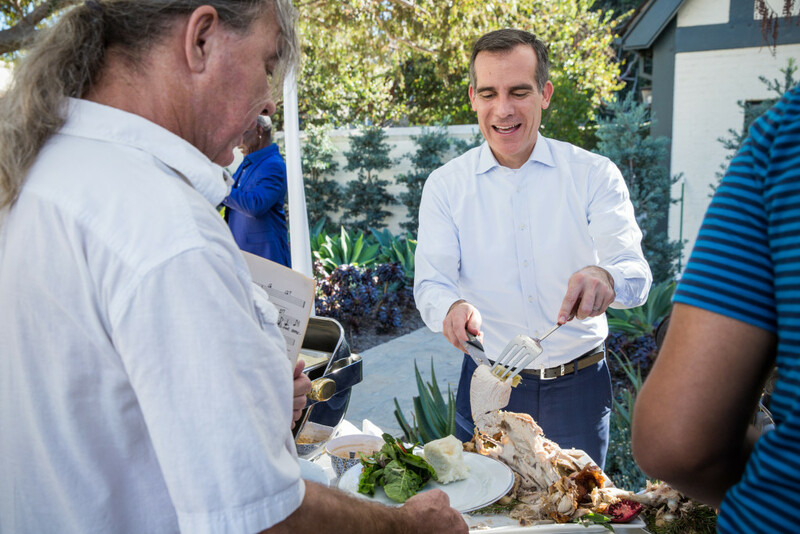 But for Angelenos who are rebuilding their lives after homelessness, Thanksgiving can be an especially difficult time to be separated from their loved ones. 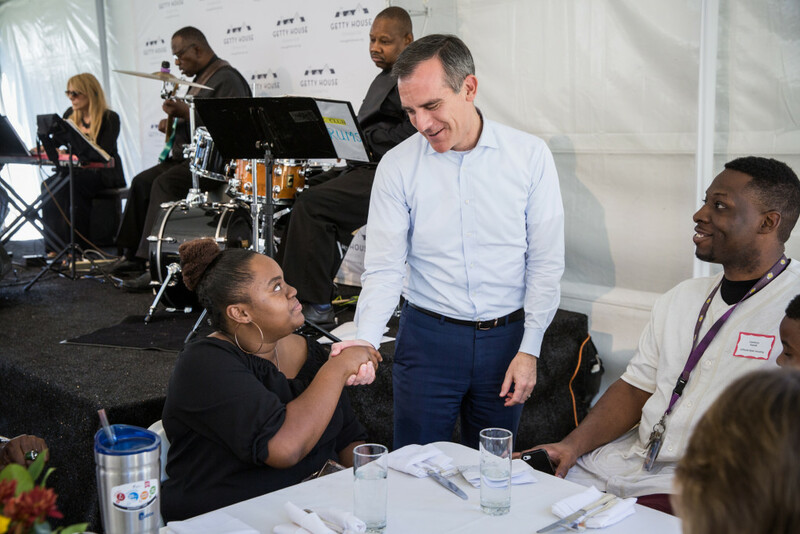 Today, we welcomed some of our formerly homeless neighbors to a feast here at the people’s home — where we broke bread together and expressed gratitude for the food, friendship, and everyday acts of kindness that make L.A. the greatest city in the world. 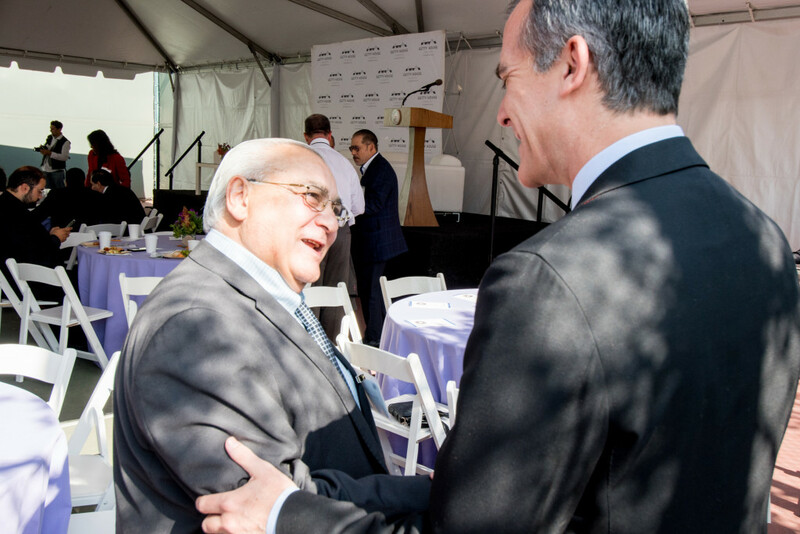 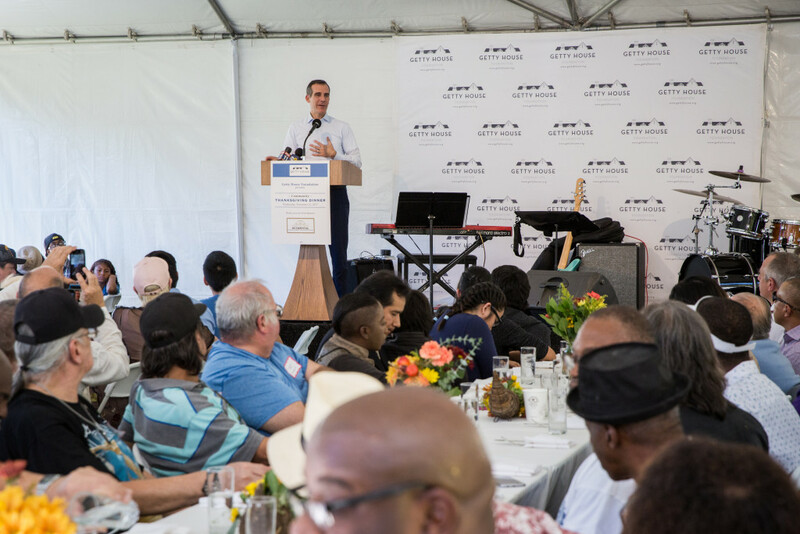 Mayor Eric Garcetti, First Lady Amy Elaine Wakeland, and the Getty House Foundation Board of Directors hosted the Fourth Annual National Day of Prayer Breakfast at Getty House. 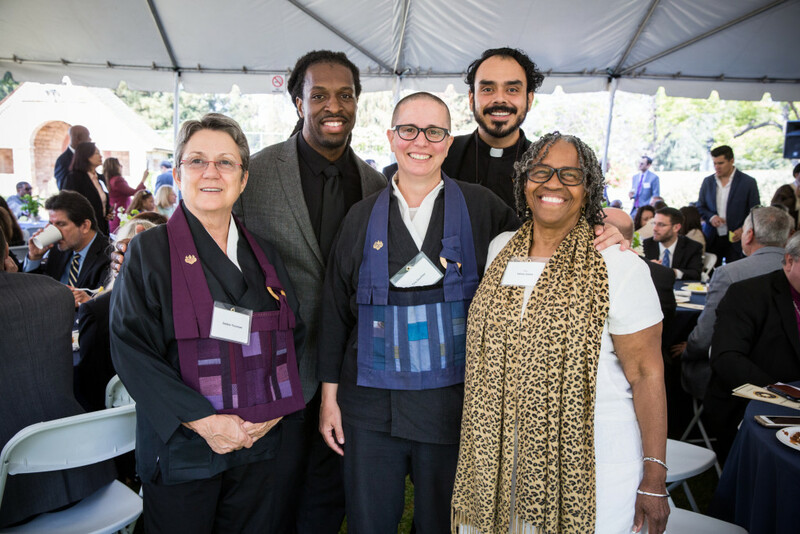 More than 170 faith leaders from 40 denominations and sects gathered to celebrate this special day and to offer blessings and prayers for all Angelenos. 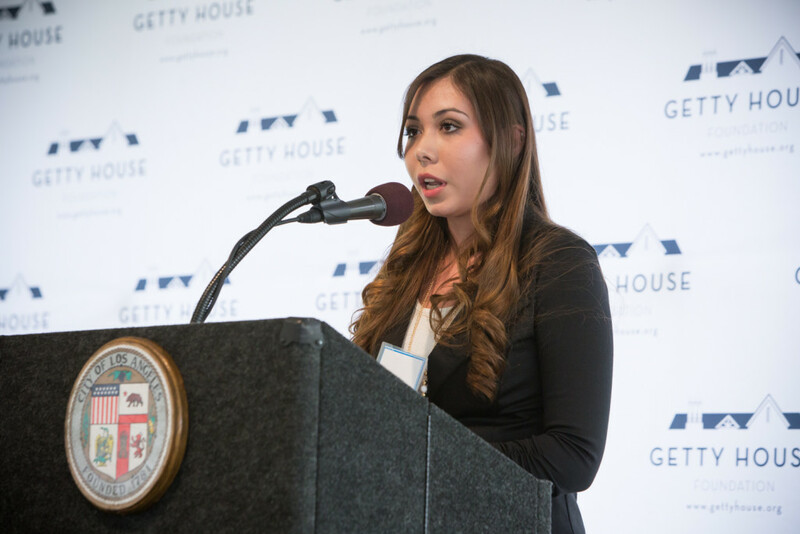 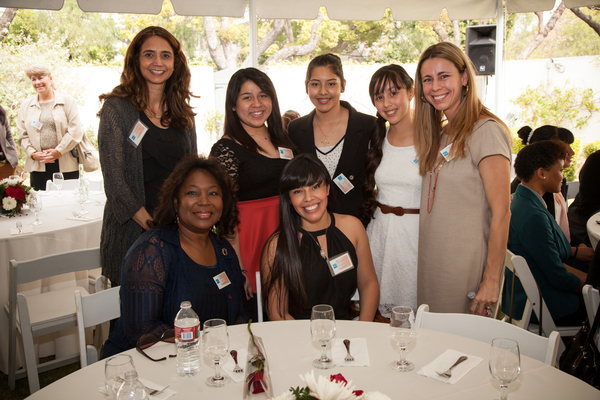 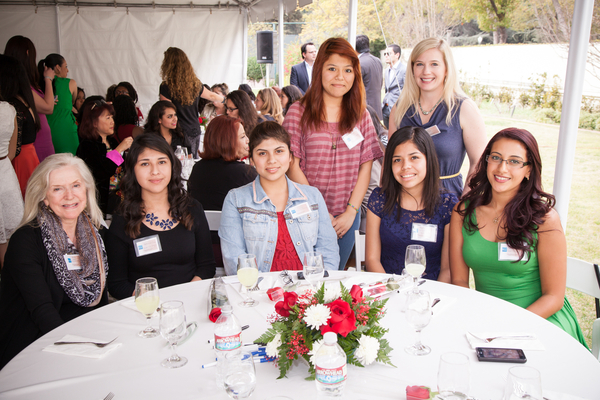 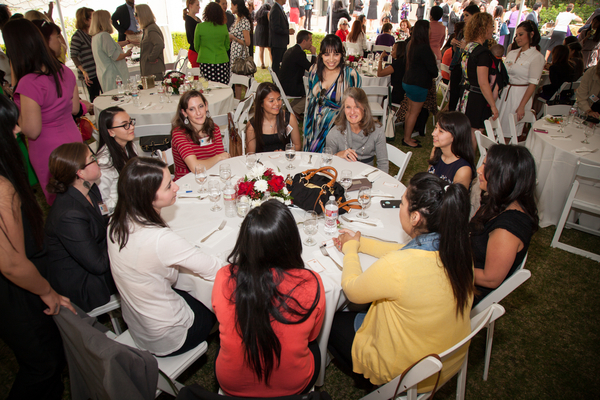 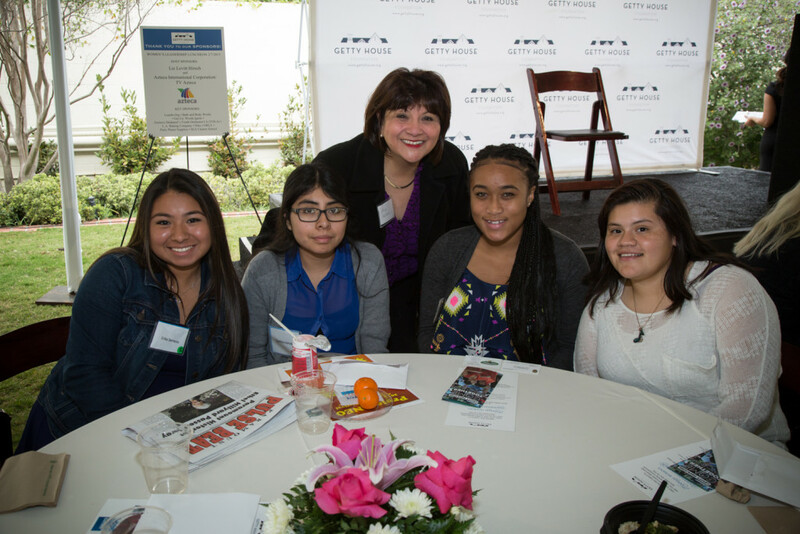 In honor of the birthdays of both Rosa Parks and Susan B. Anthony, Mayor Garcetti, First Lady Amy Elaine Wakeland, and the Getty House Foundation Board of Directors, hosted their annual mentoring luncheon for high school students from all over Los Angeles to network with accomplished women from various professions. 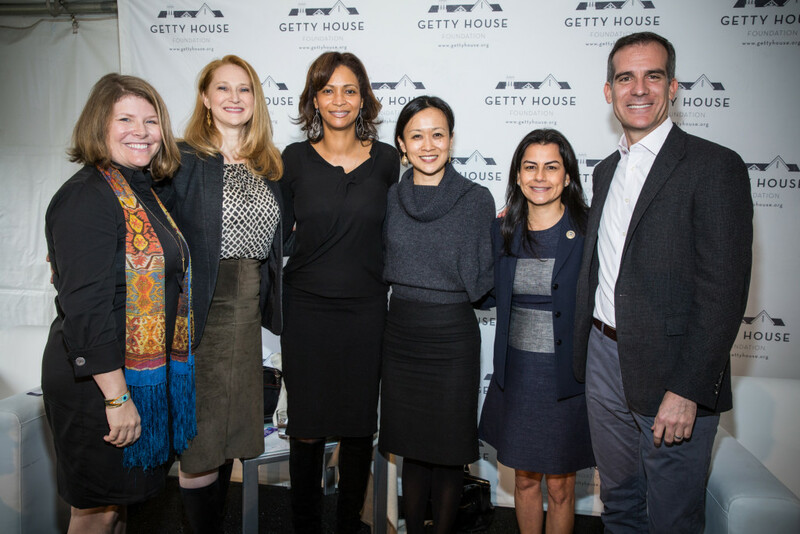 First Lady Amy Elaine Wakeland led a panel discussion in which Congresswoman Nannette Diaz Barragan, Brookfield Propereties Senior Vice President Bea Hsu, Los Angeles Department of Transportation General Manager Seleta Reynolds, and Los Angeles World Airports Chief Executive Officer Deborah Flint discussed their career paths and the importance of mentorship. 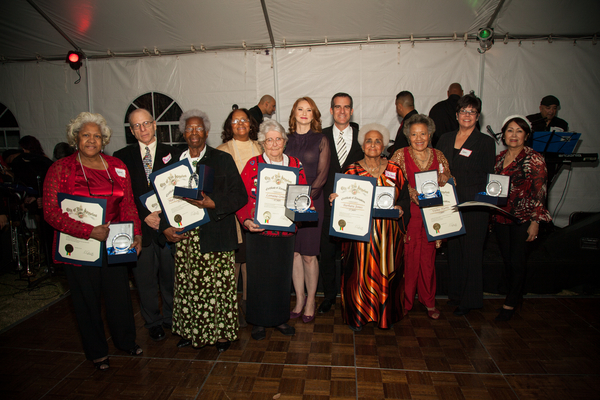 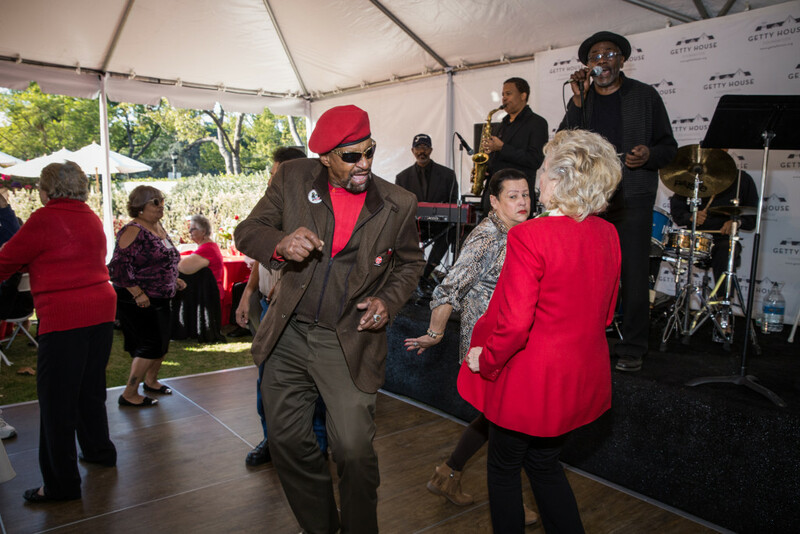 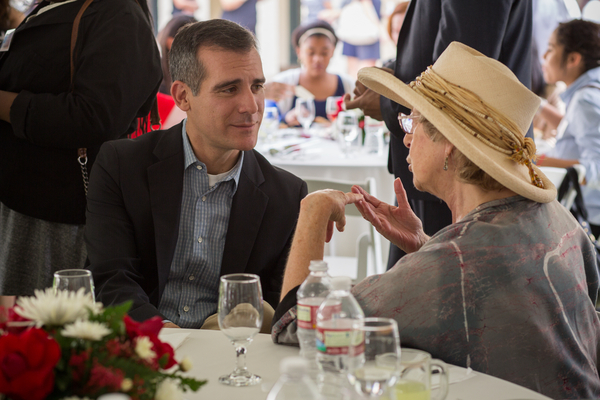 Mayor Eric Garcetti, First Lady Amy Elaine Wakeland, and the Getty House Foundation Board of Directors hosted their annual Senior “Snow Ball” where they welcomed guests from senior centers throughout the City of Los Angeles to celebrate the winter holiday season. 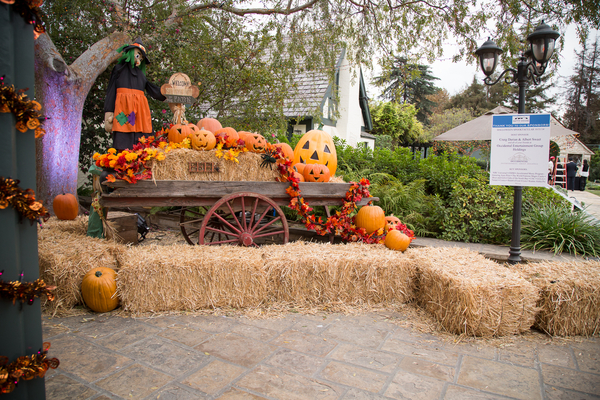 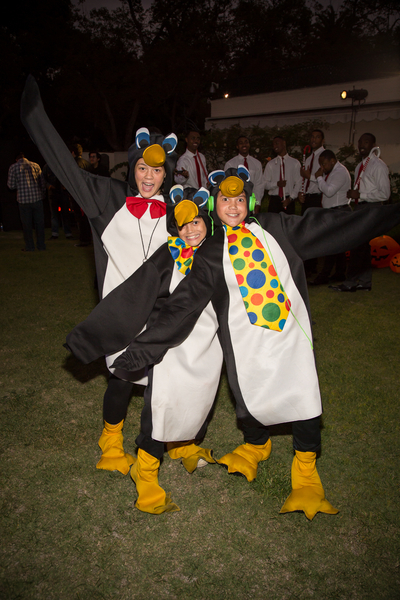 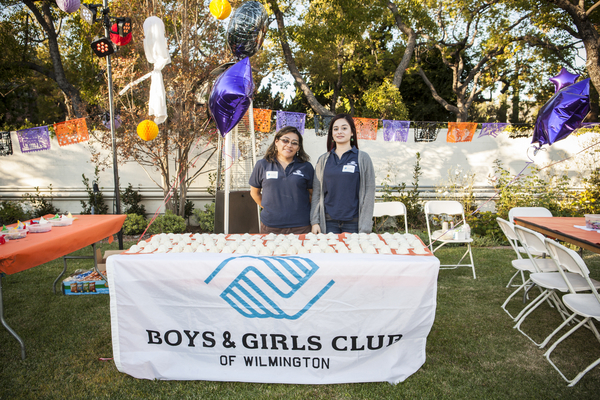 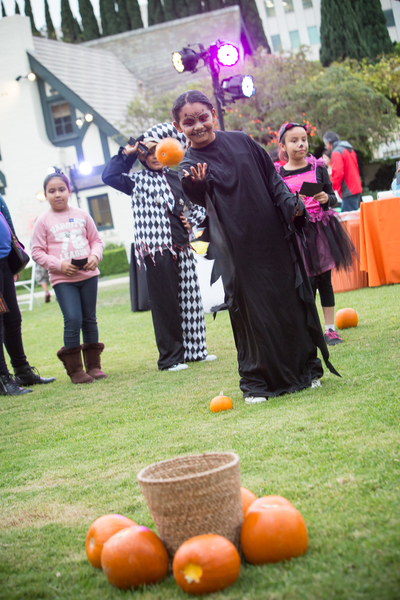 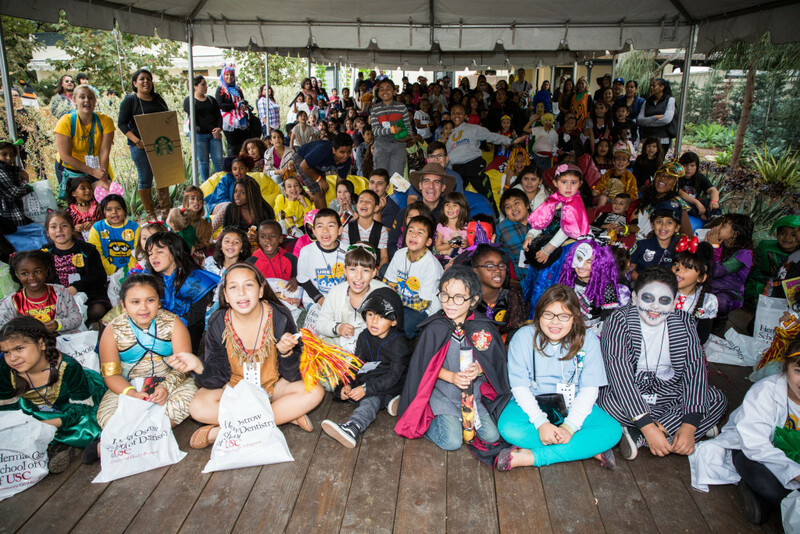 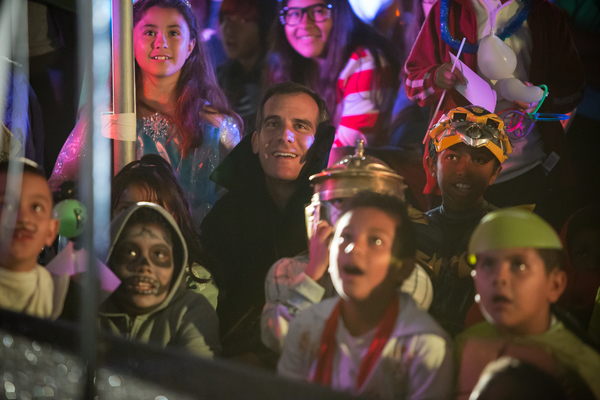 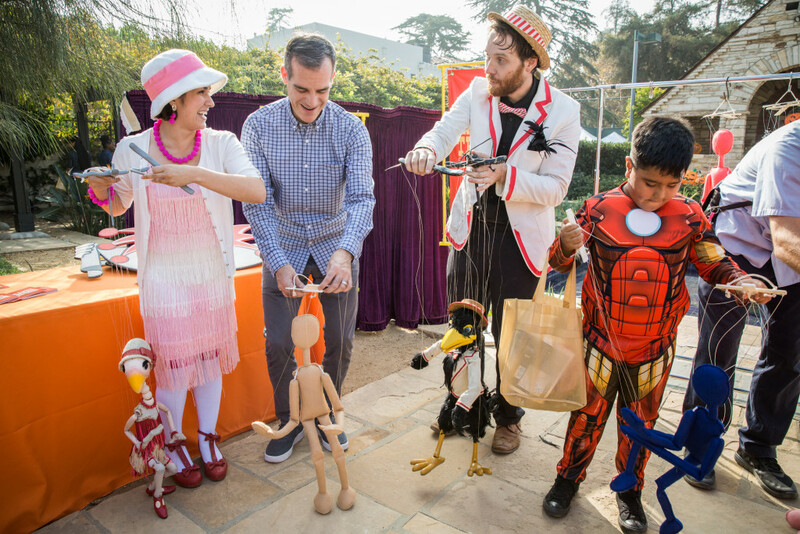 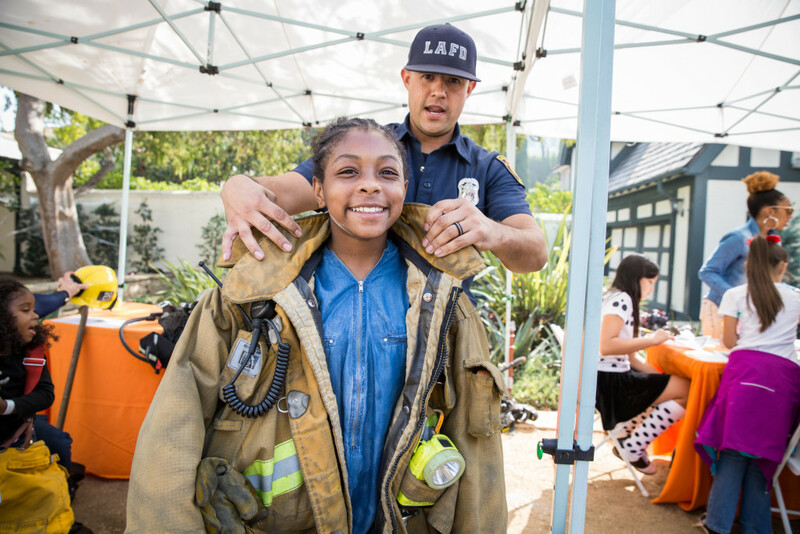 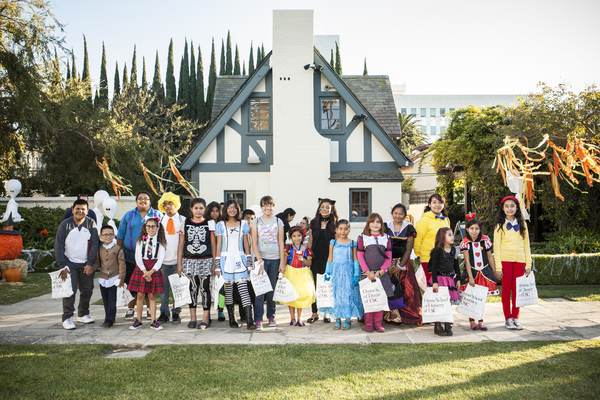 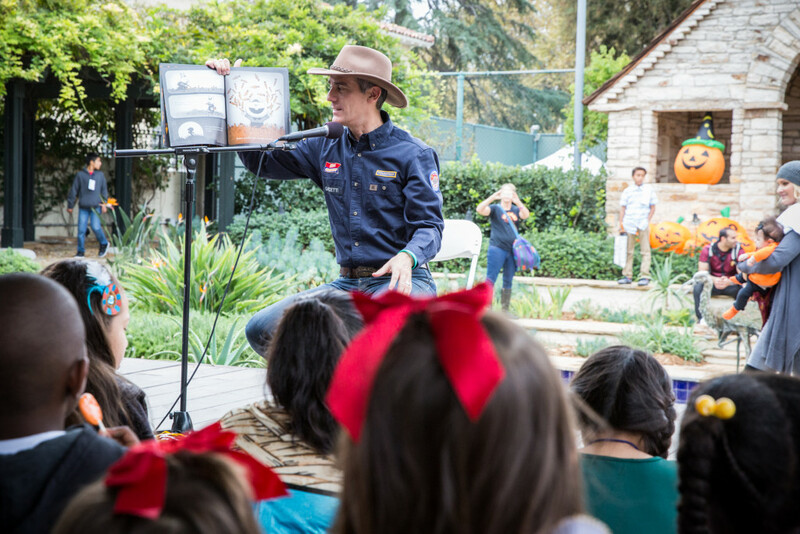 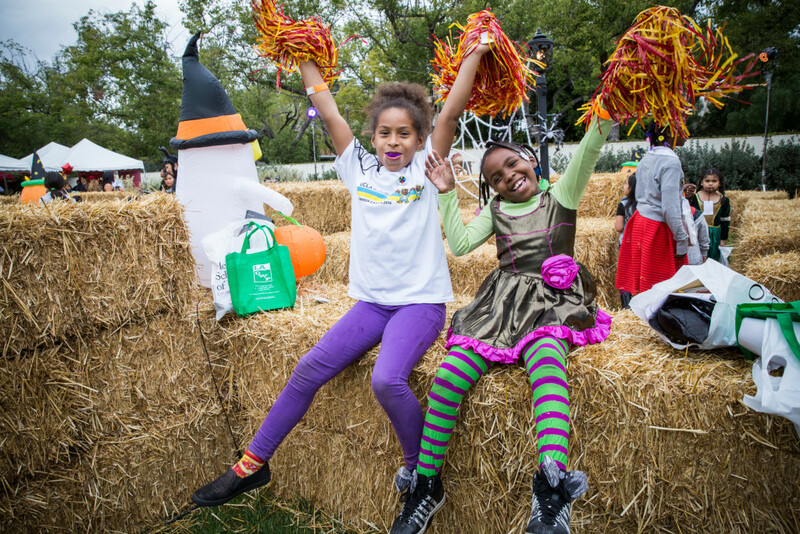 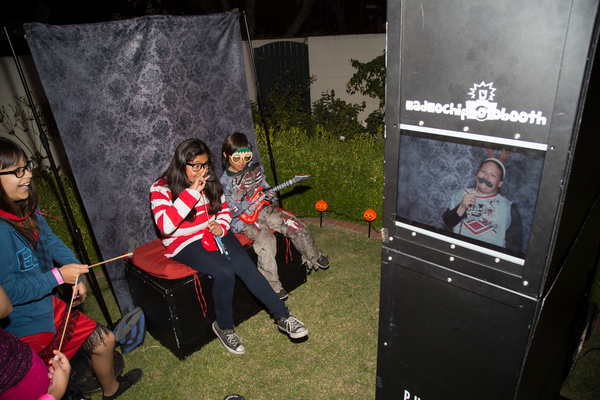 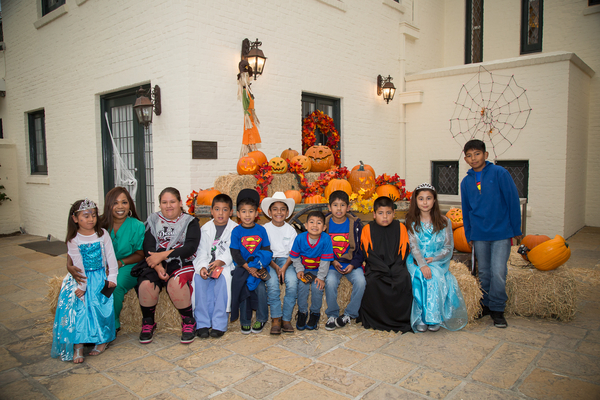 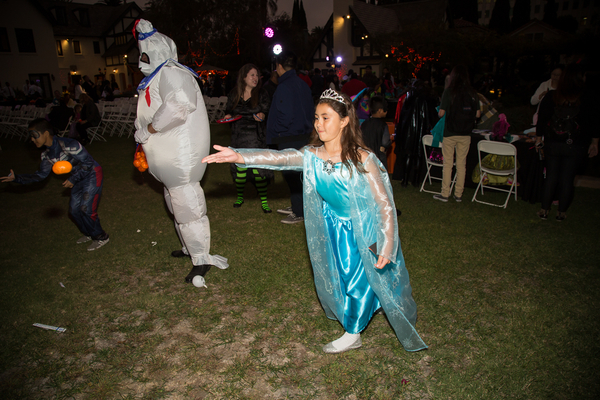 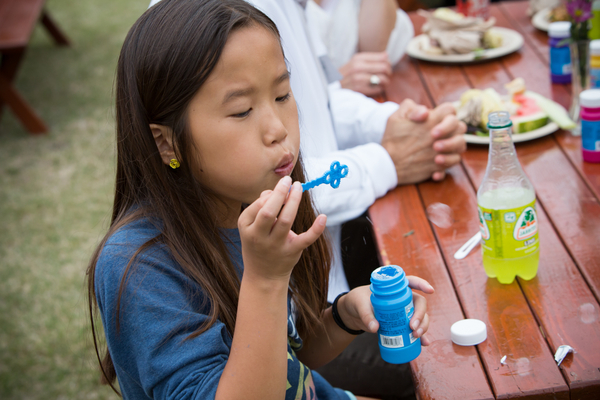 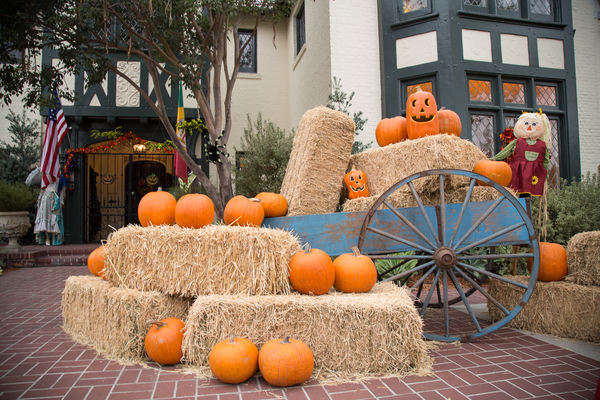 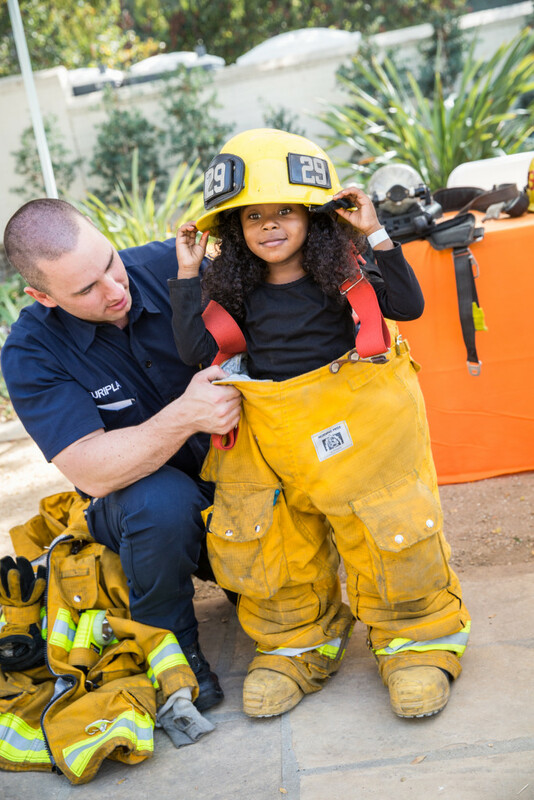 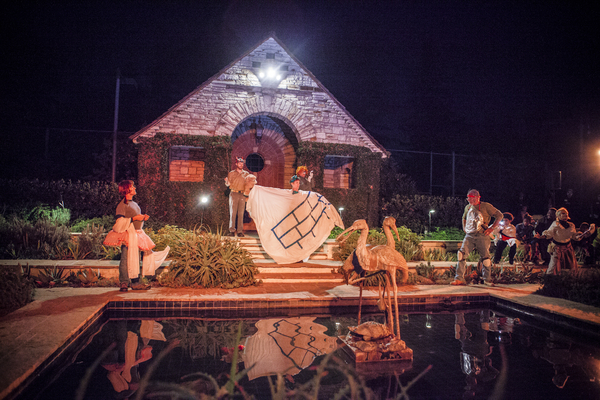 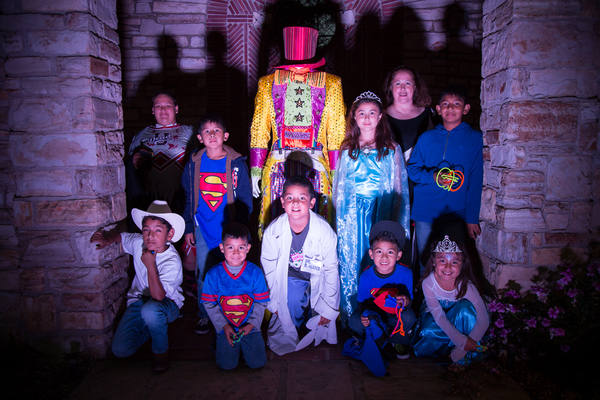 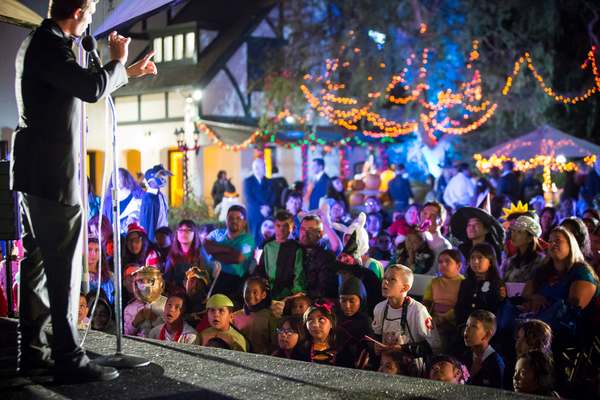 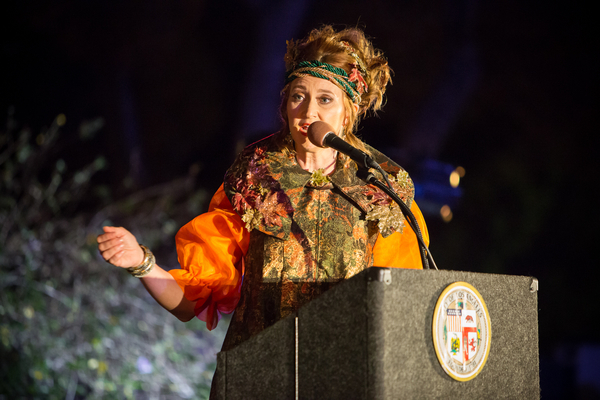 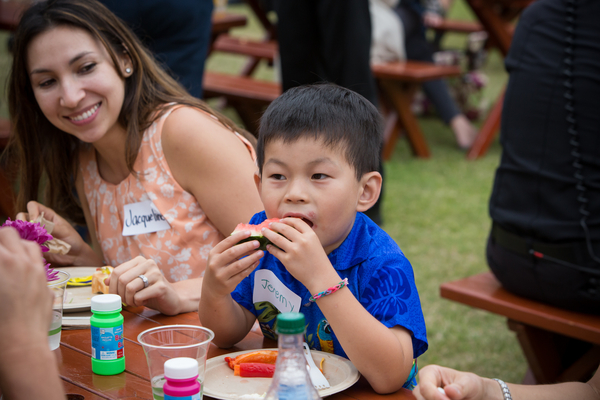 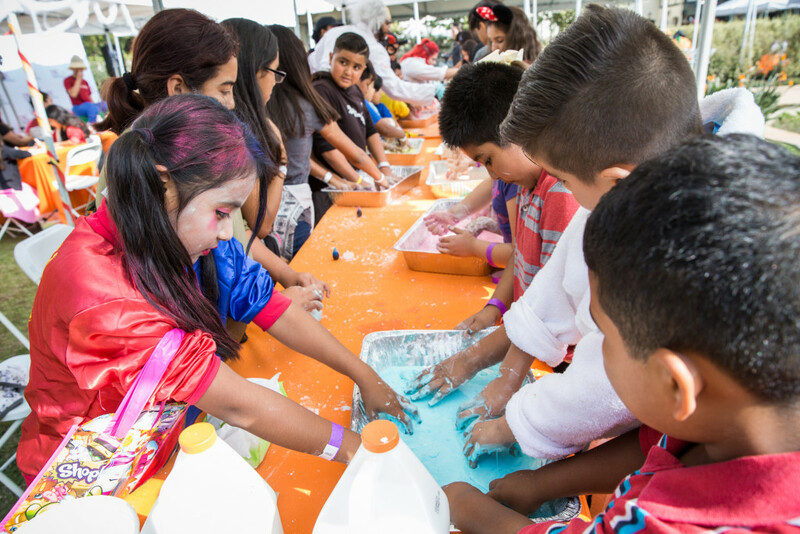 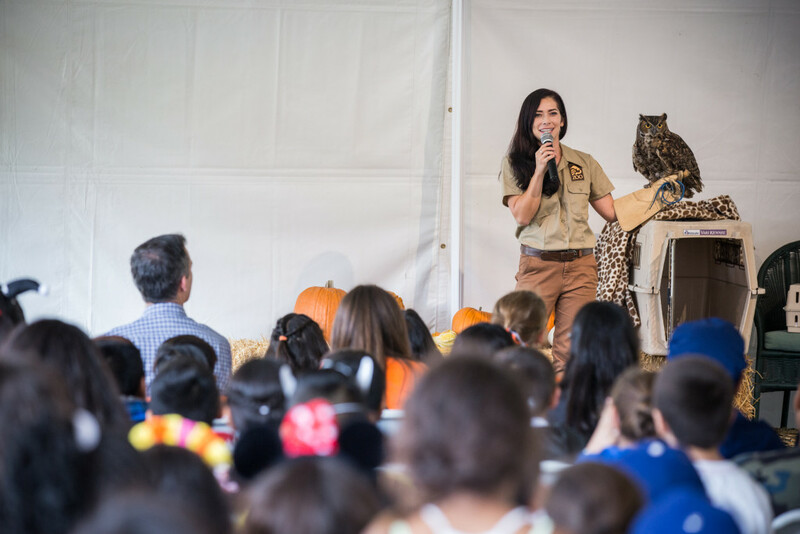 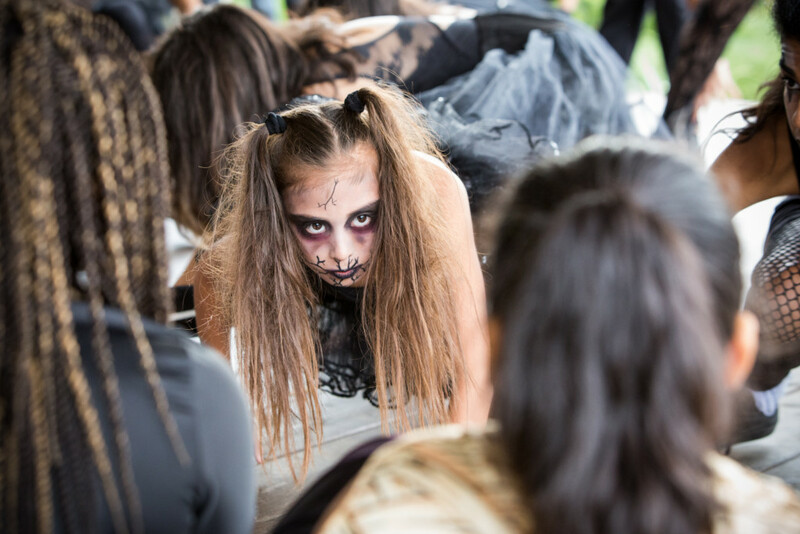 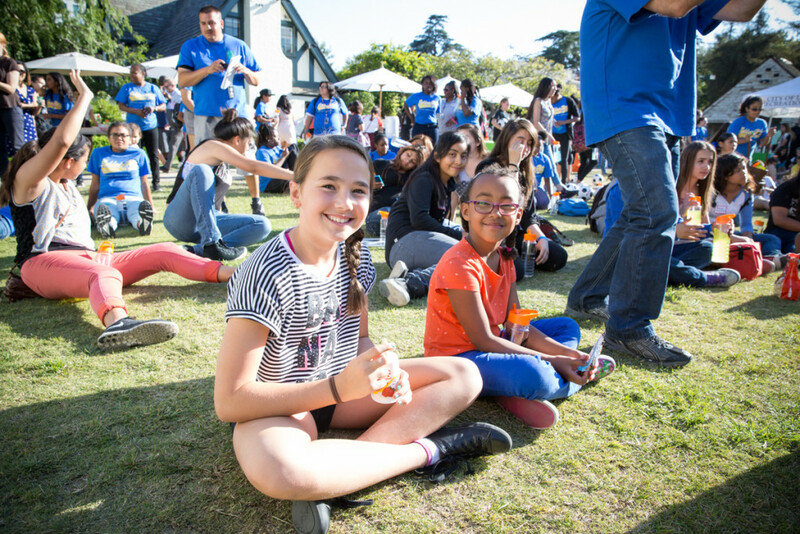 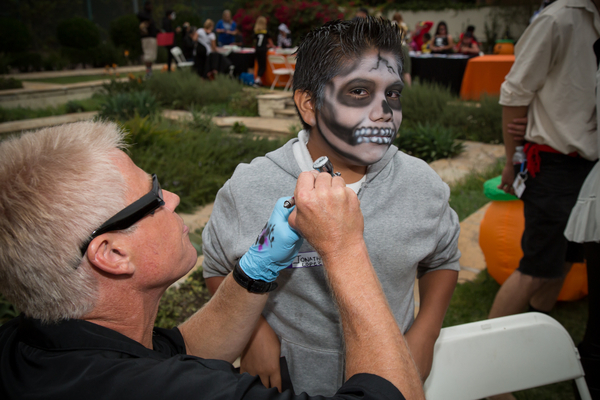 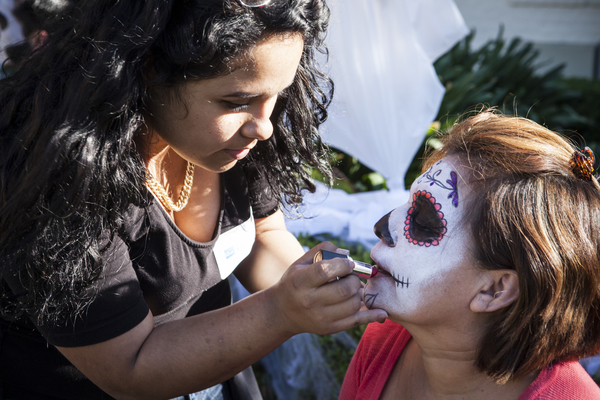 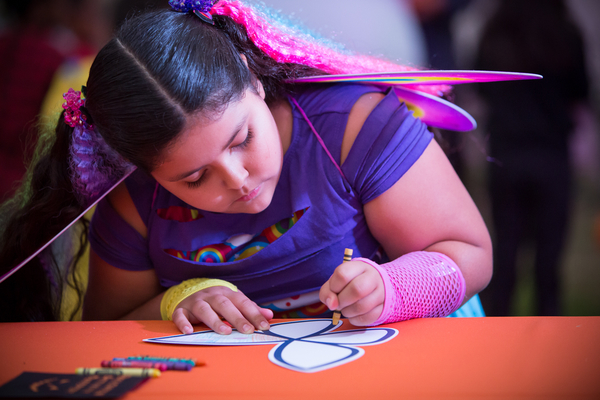 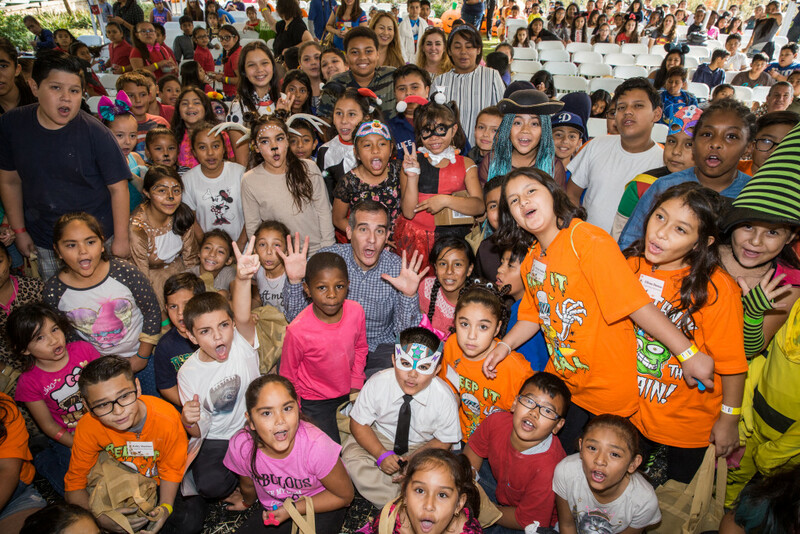 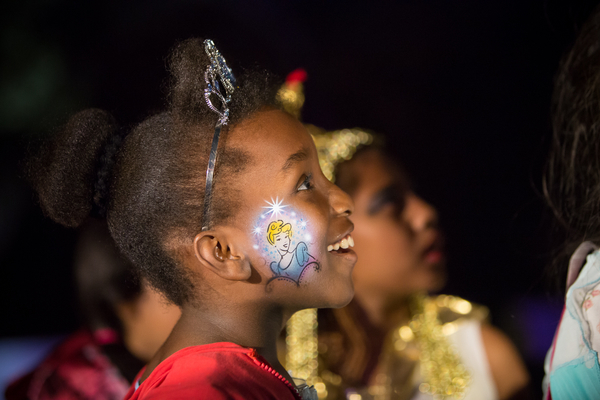 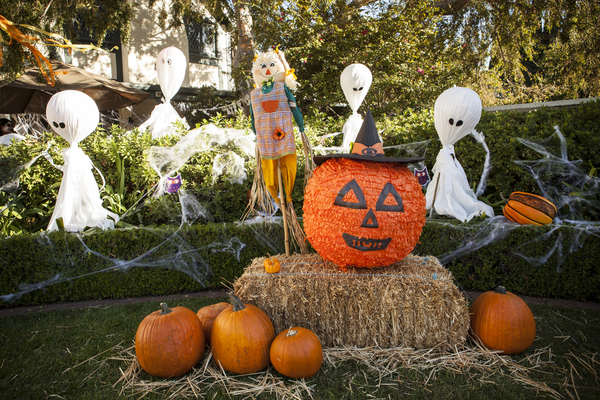 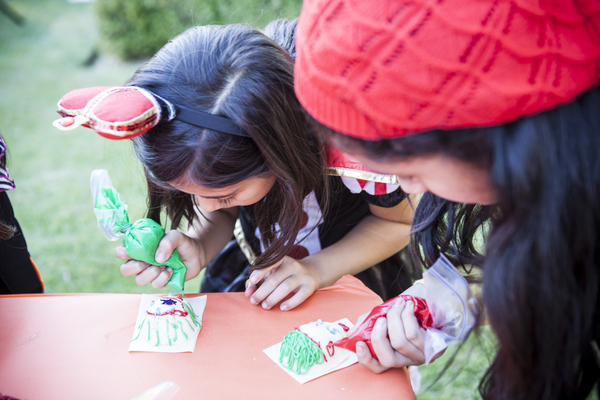 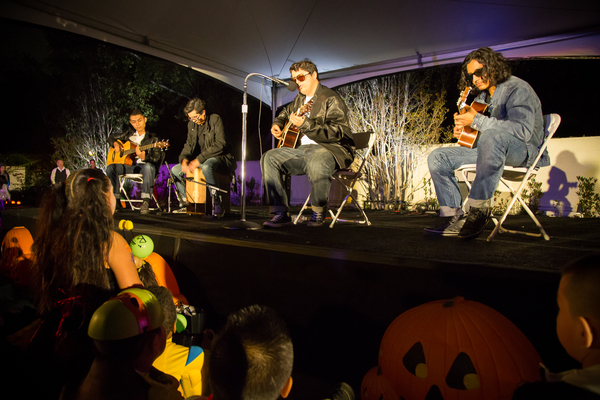 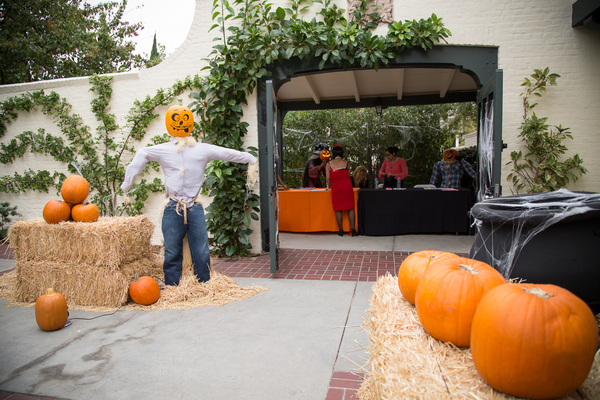 Mayor Eric Garcetti, First Lady Amy Elaine Wakeland, and the Getty House Foundation Board of Directors welcomed 300 children from all over Los Angeles to the Getty House Halloween Spooktacular for a safe and fun Halloween party. 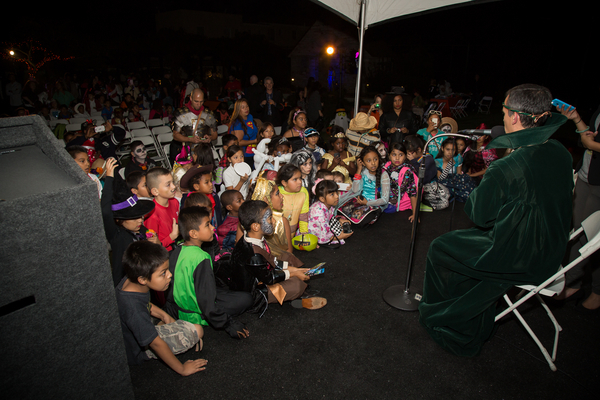 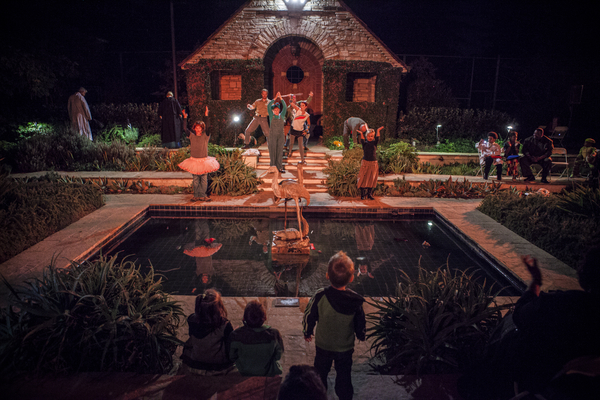 The children enjoyed live dance performances, a Halloween maze, arts and crafts stations, and storytime with the Mayor. 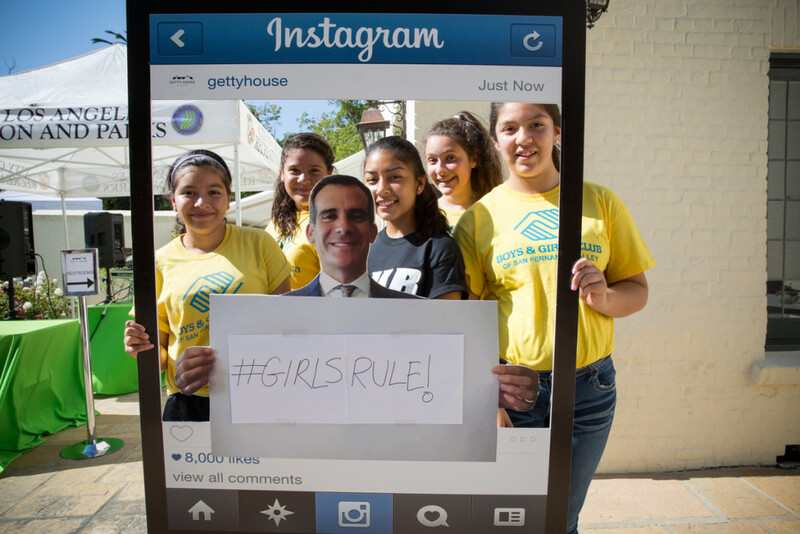 Mayor Eric Garcetti, First Lady Amy Elaine Wakeland, and the Getty House Foundation Board of Directors hosted their annual sports clinic for girls in celebration of the landmark legislation known as Title IX, which ended gender discrimination in public education and federally assisted programs and is best known for its impact on high school and collegiate athletics. 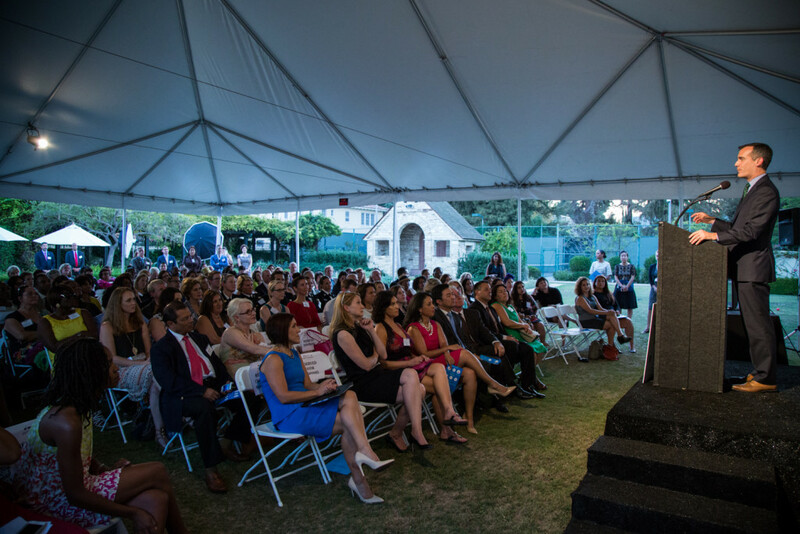 The event kicked off with remarks from Renata Simril, the President and CEO of LA84 Foundation, and Olympian Janet Evans. 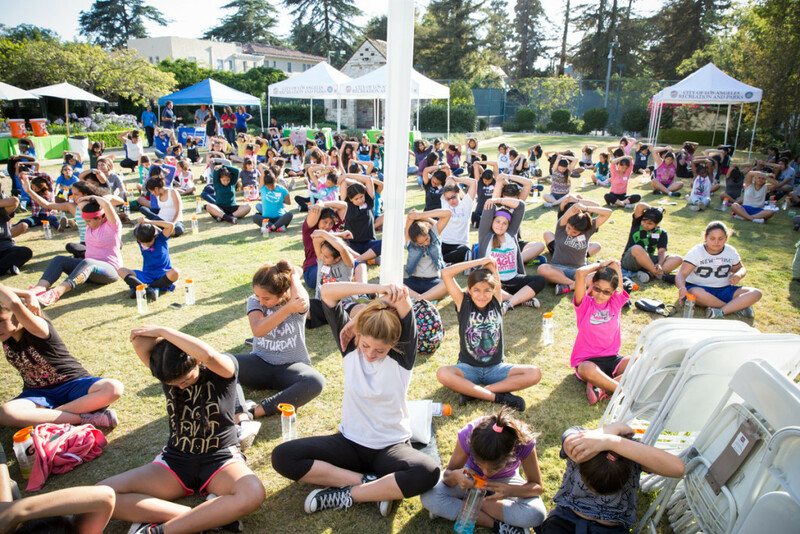 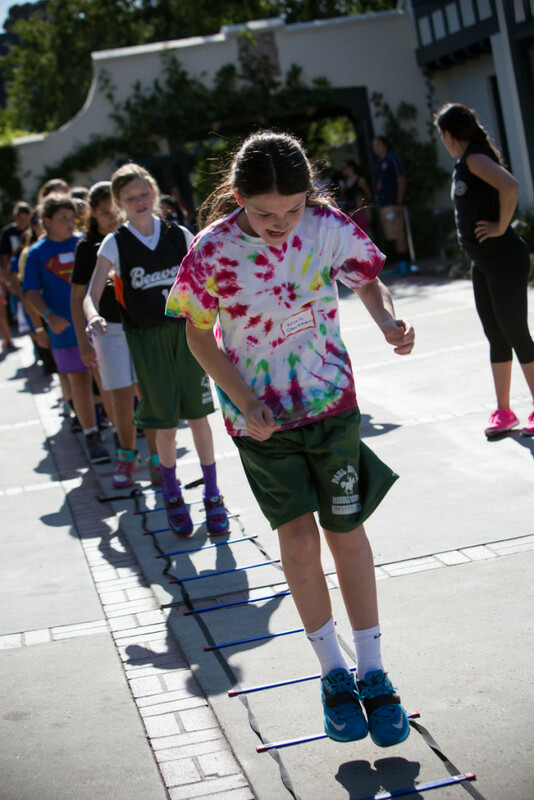 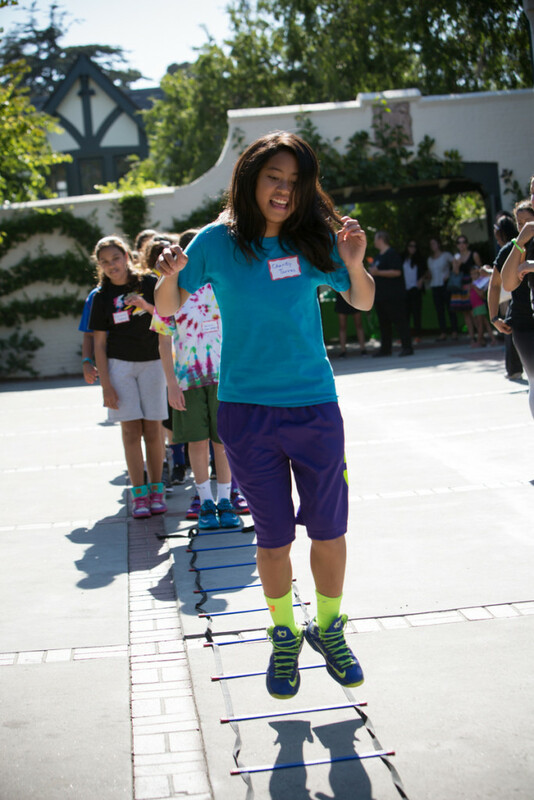 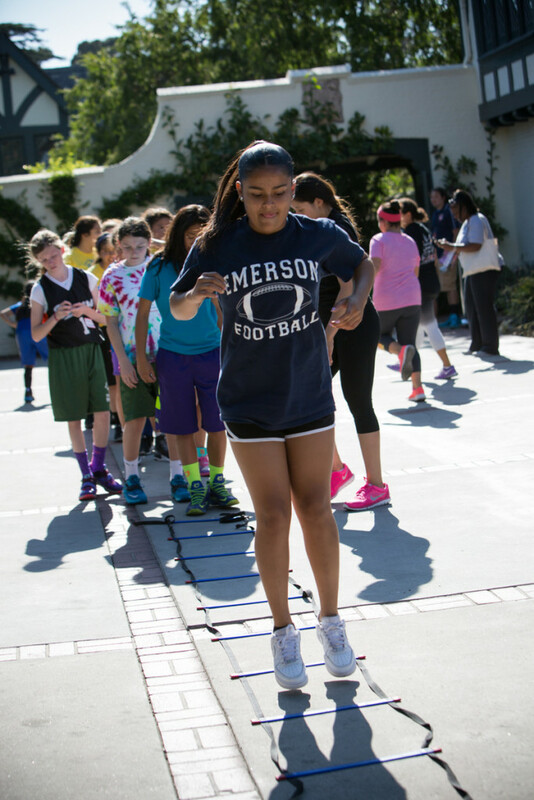 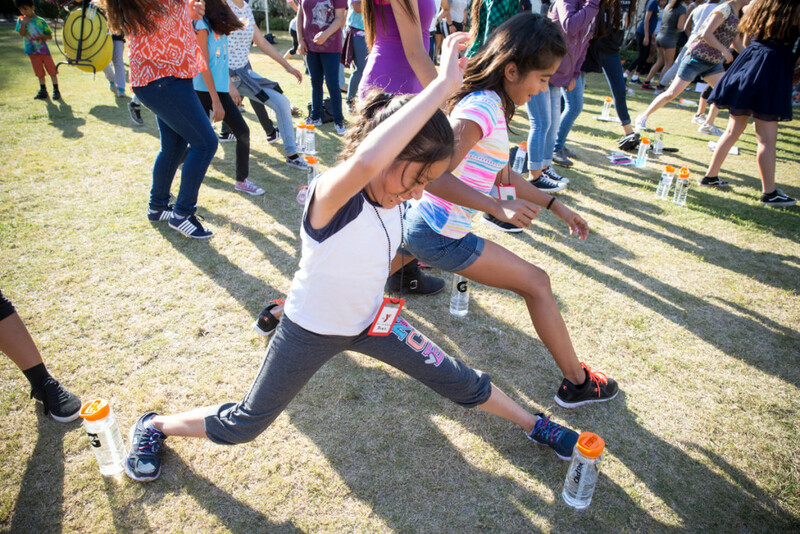 Two hundred girls participated in a ten-part obstacle course followed by a stretch and cool down. 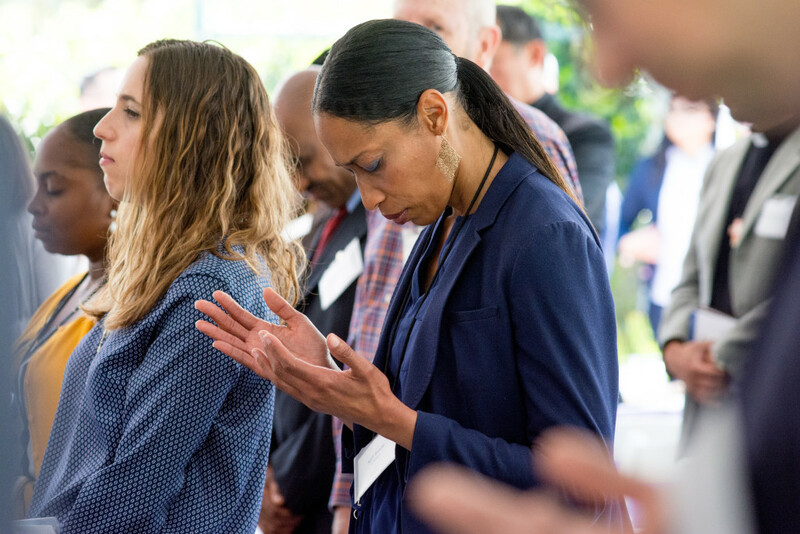 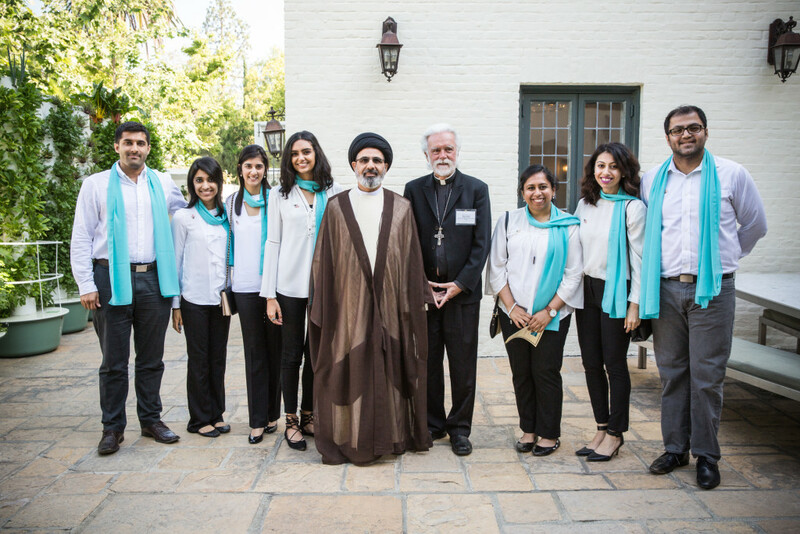 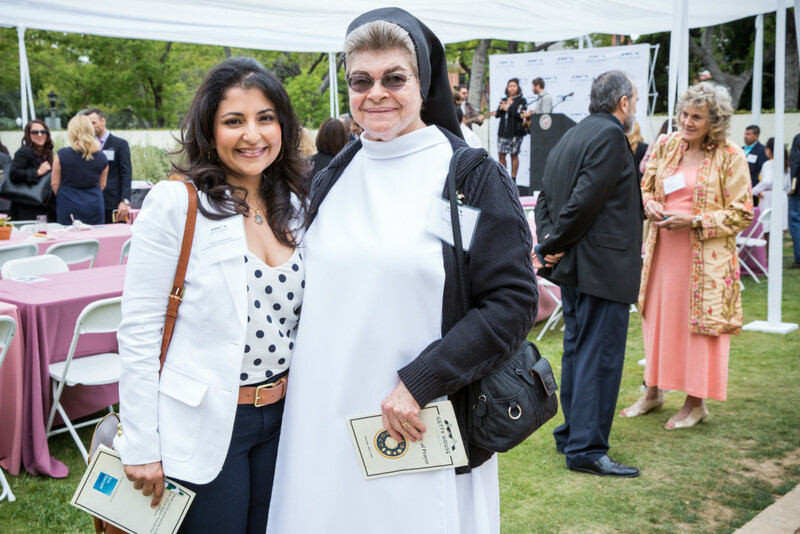 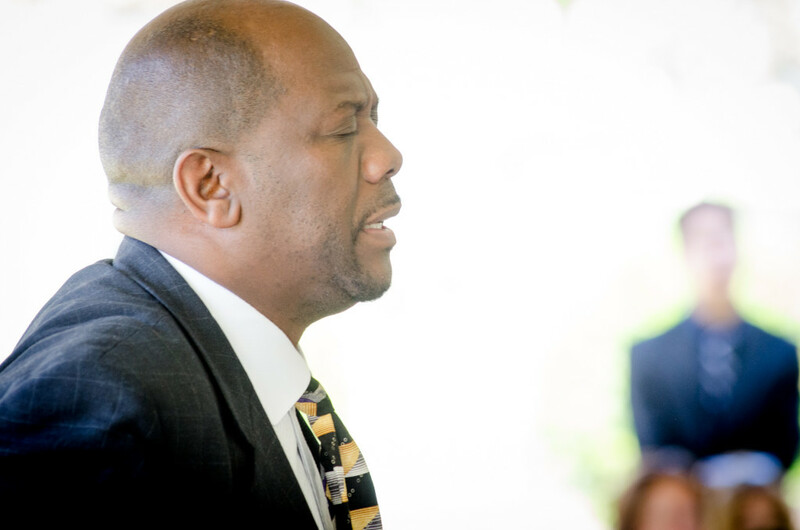 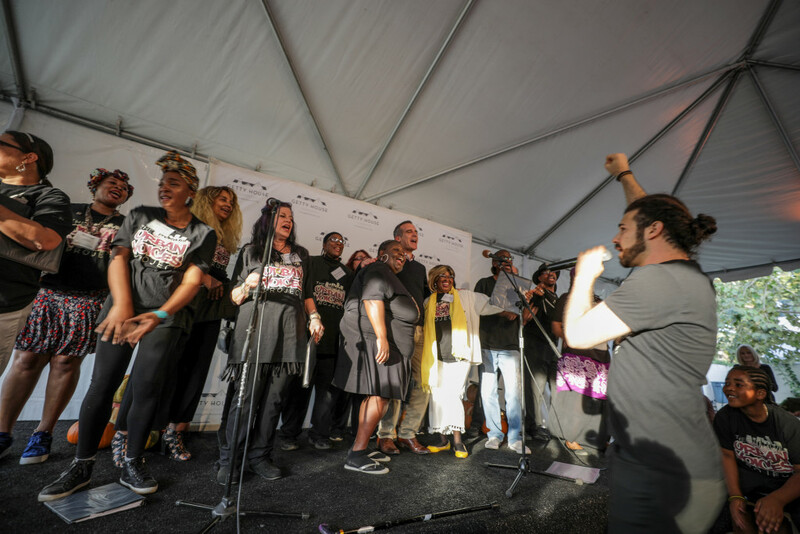 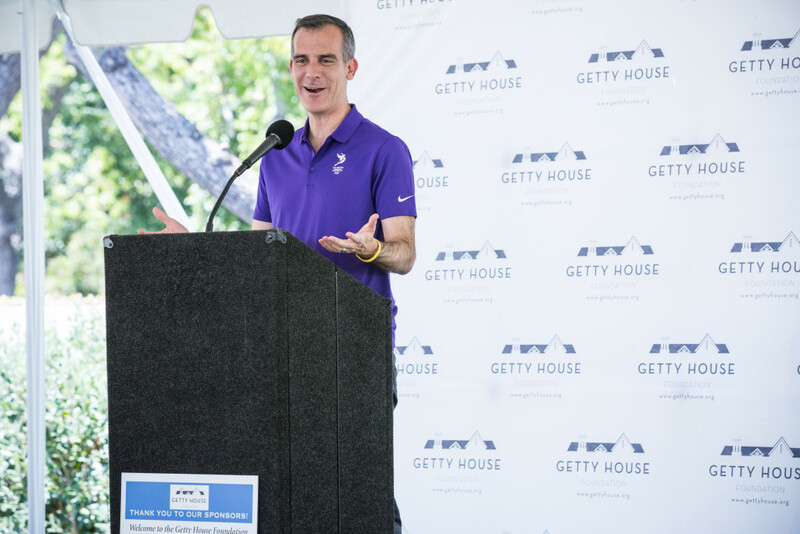 Mayor Eric Garcetti, First Lady Amy Elaine Wakeland, and the Getty House Foundation Board of Directors hosted the third annual National Day of Prayer Breakfast at Getty House. 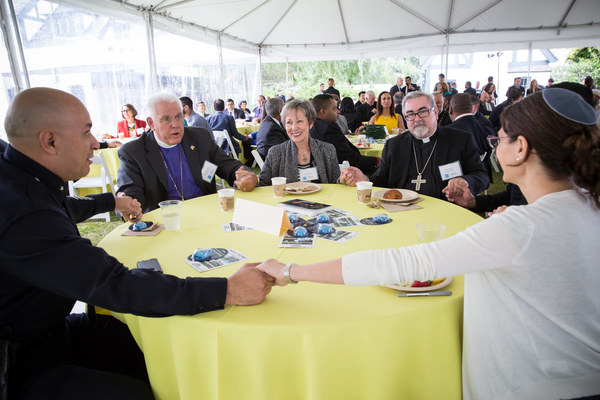 Faith leaders from all over the city gathered to celebrate this day and to pray together for the people of Los Angeles. 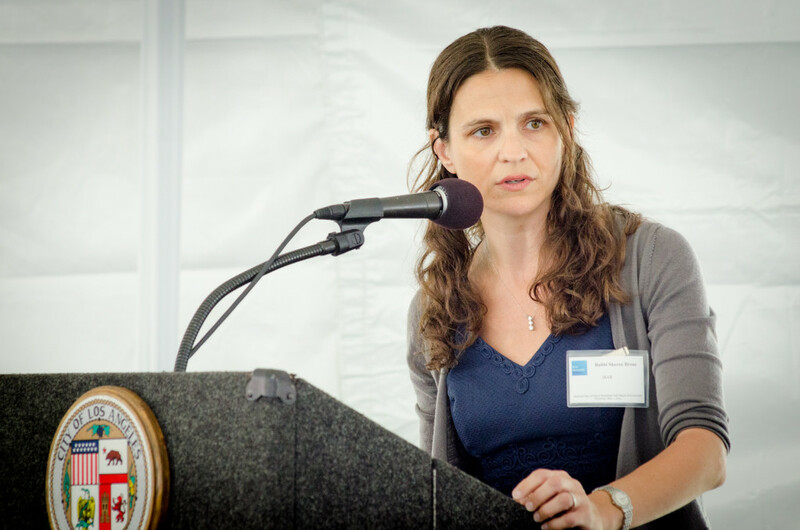 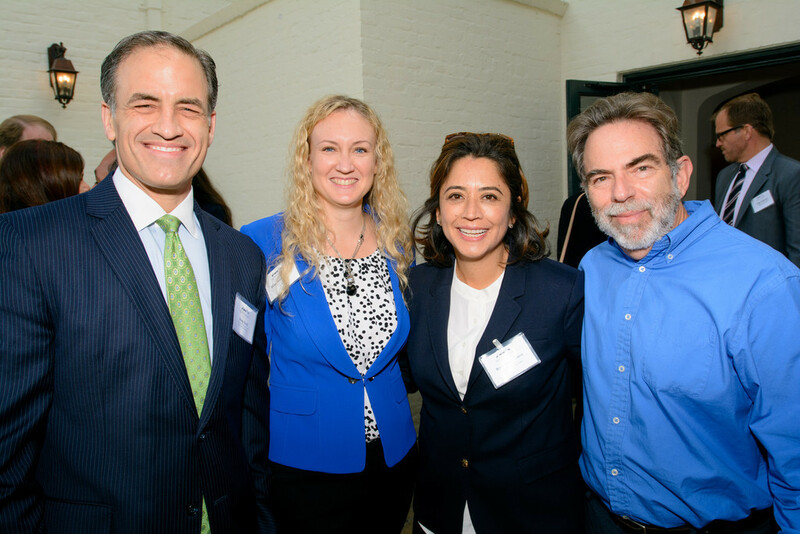 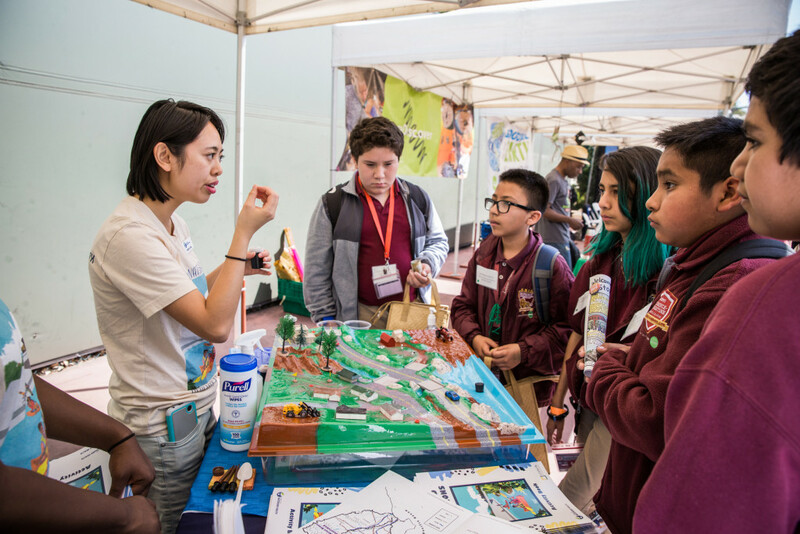 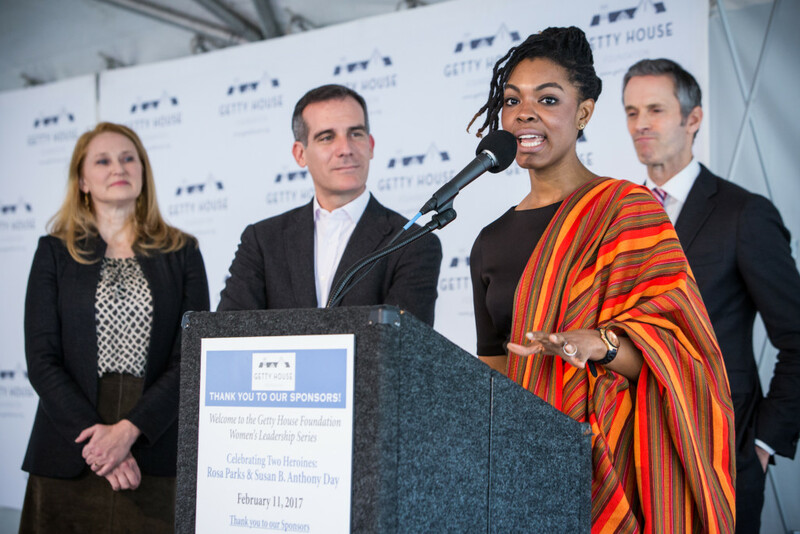 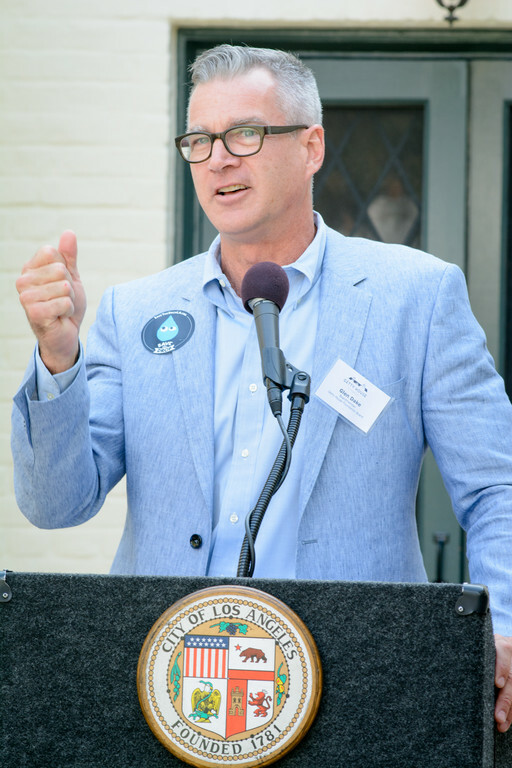 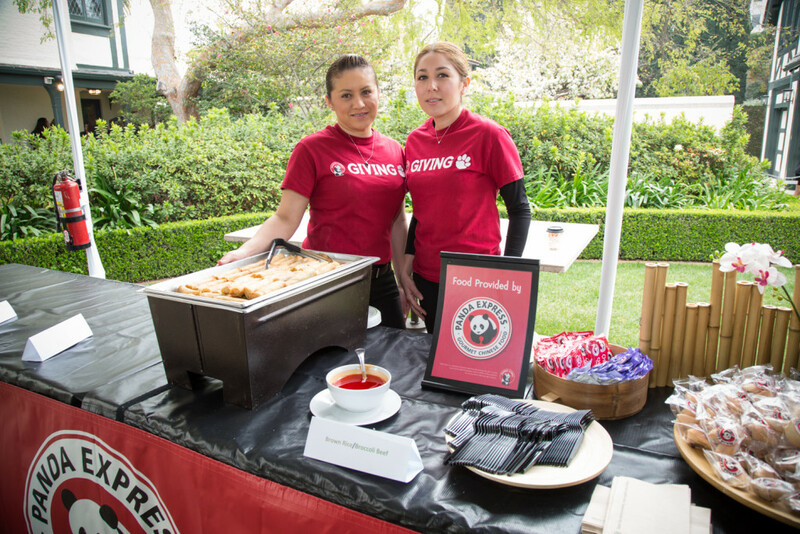 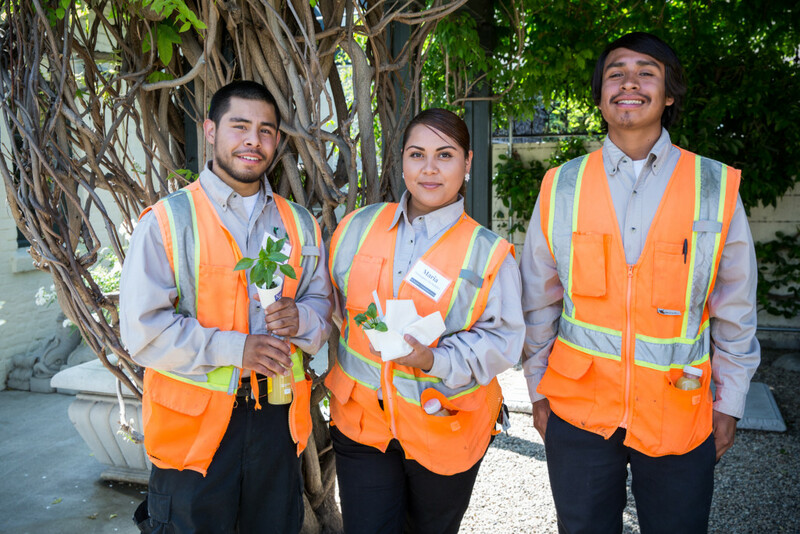 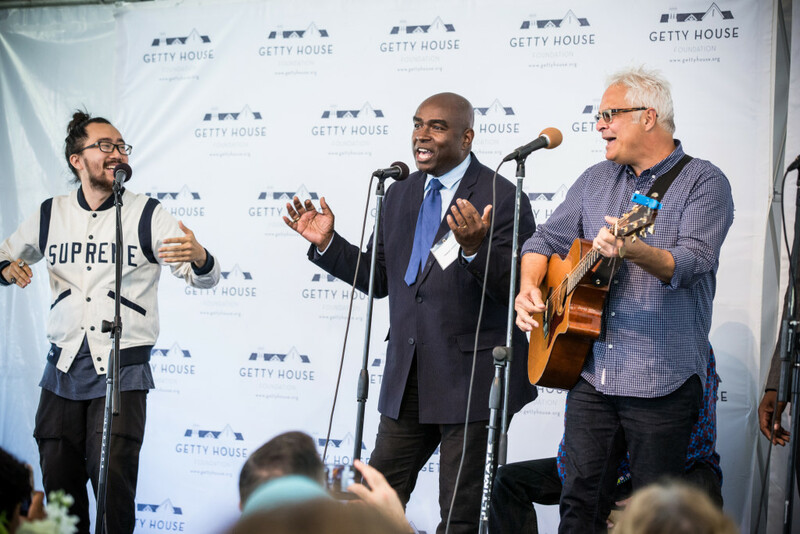 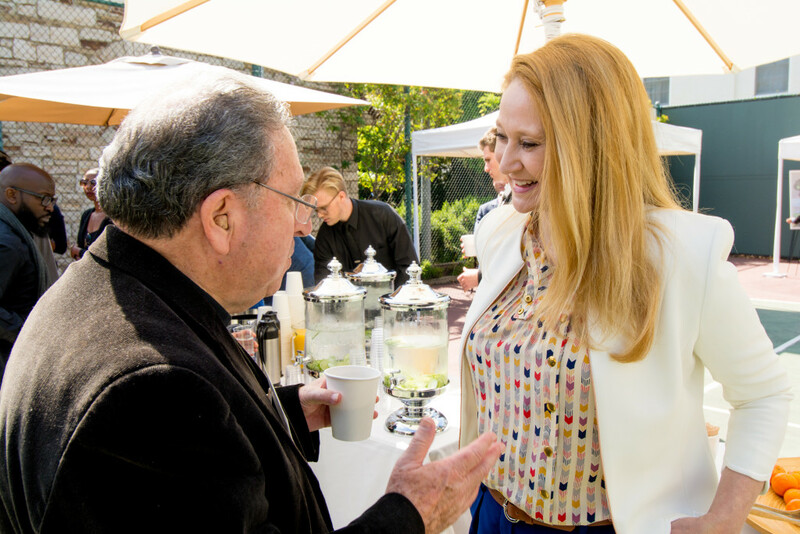 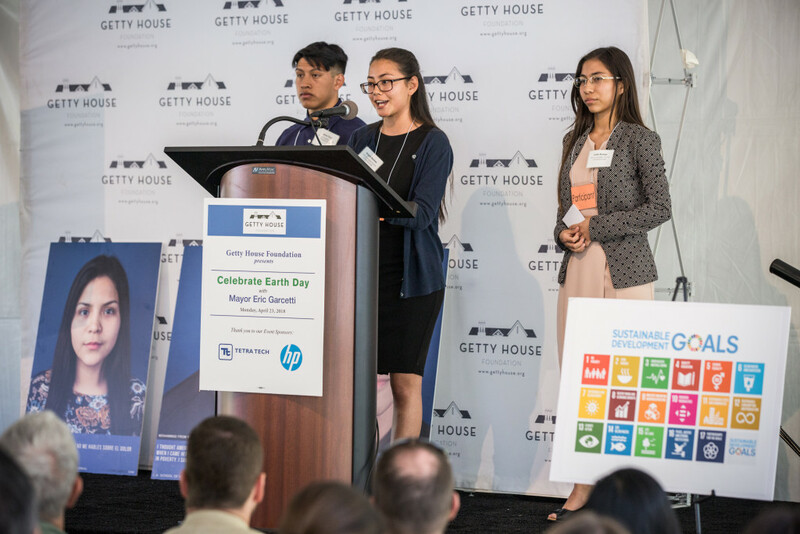 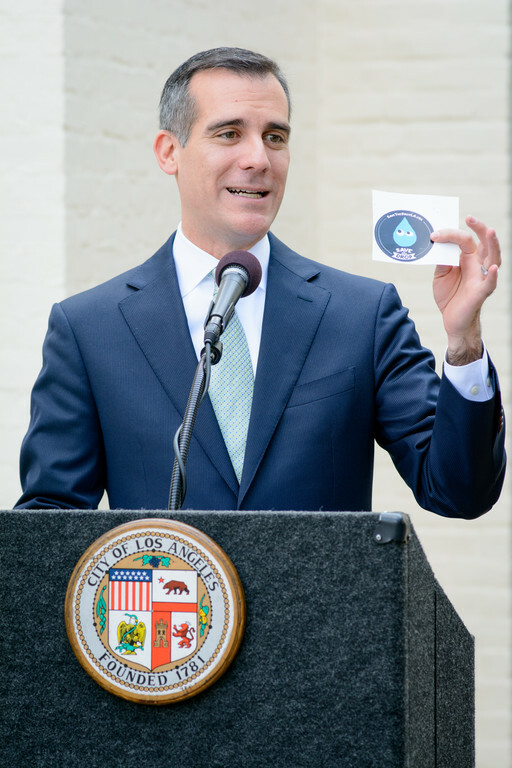 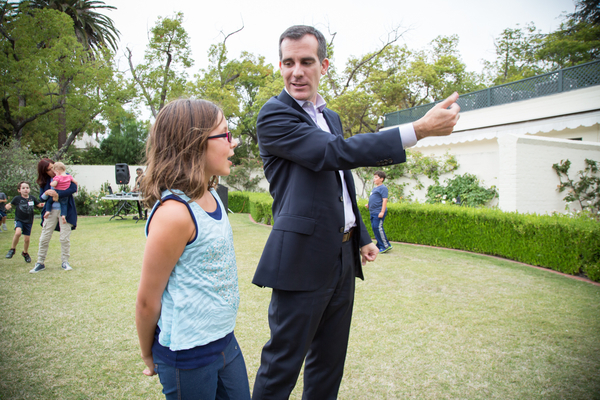 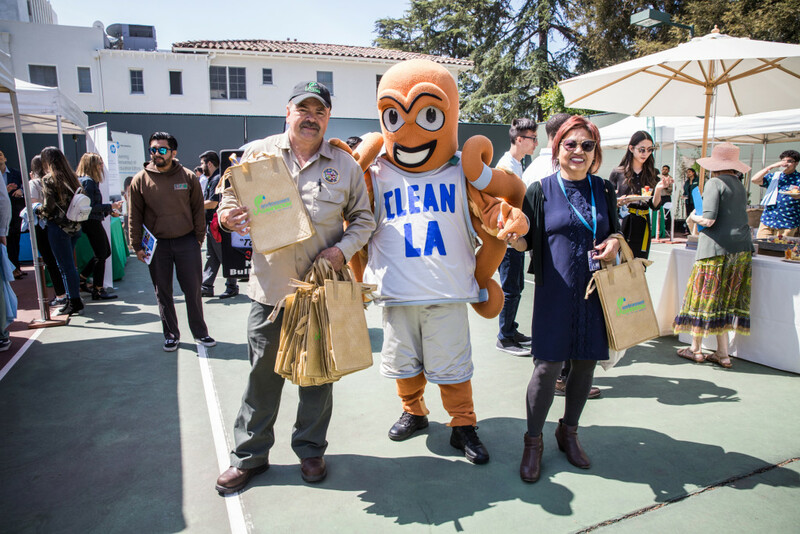 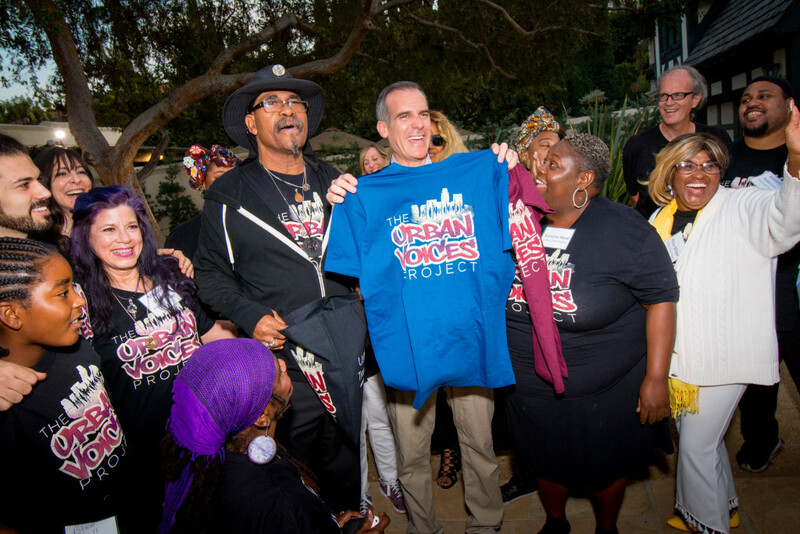 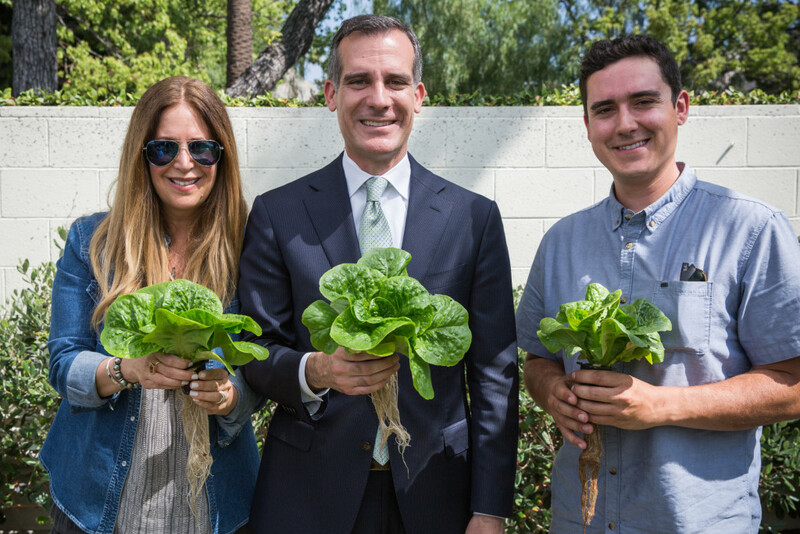 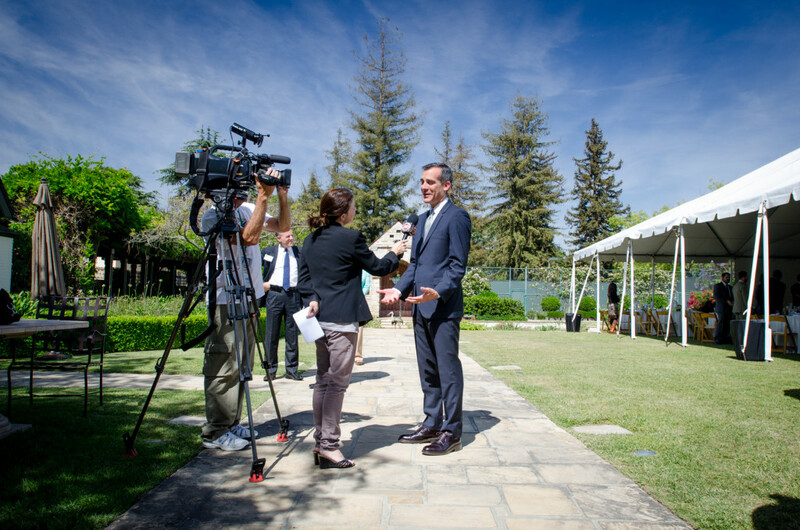 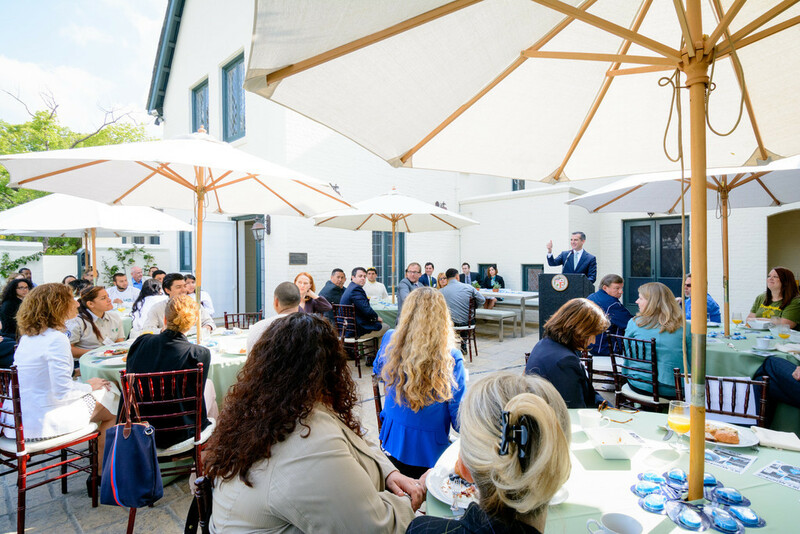 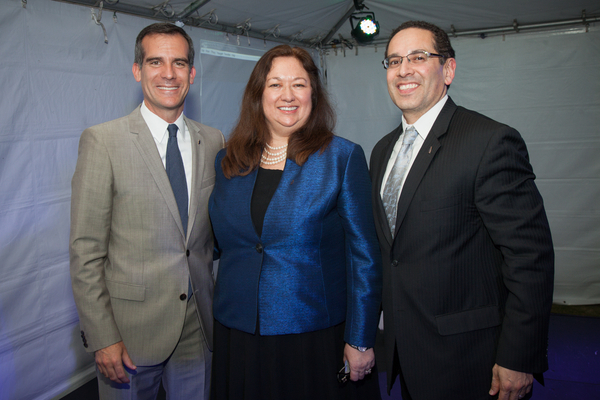 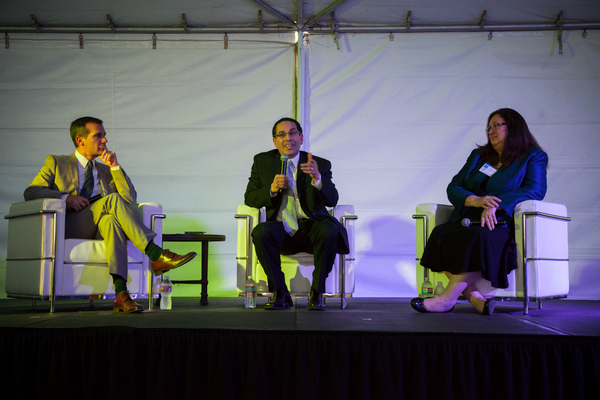 Mayor Eric Garcetti, First Lady Amy Elaine Wakeland, and the Getty House Foundation Board of Directors hosted the third annual Earth Day breakfast at Getty House. 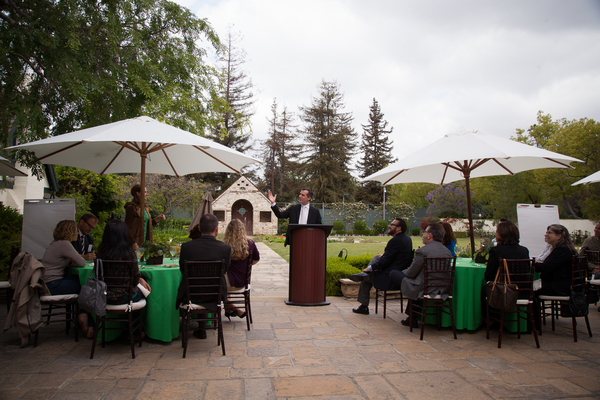 The Mayor and the First Lady unveiled the newly renovated Getty House gardens. 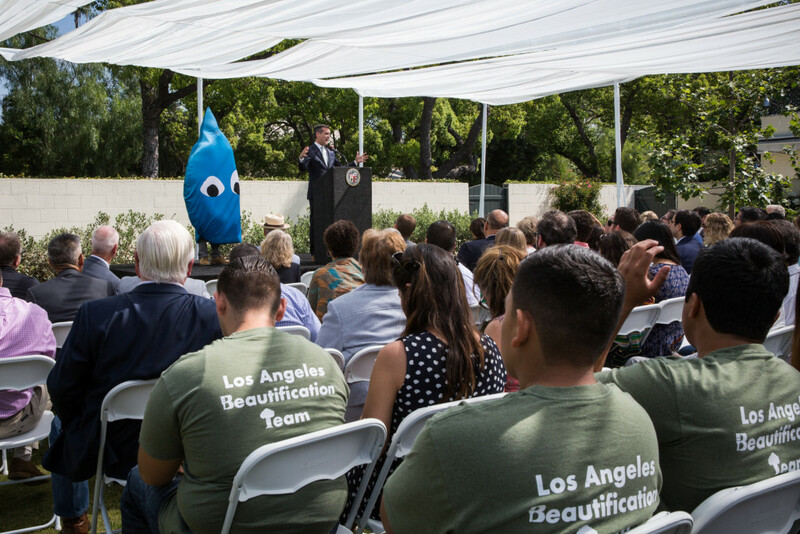 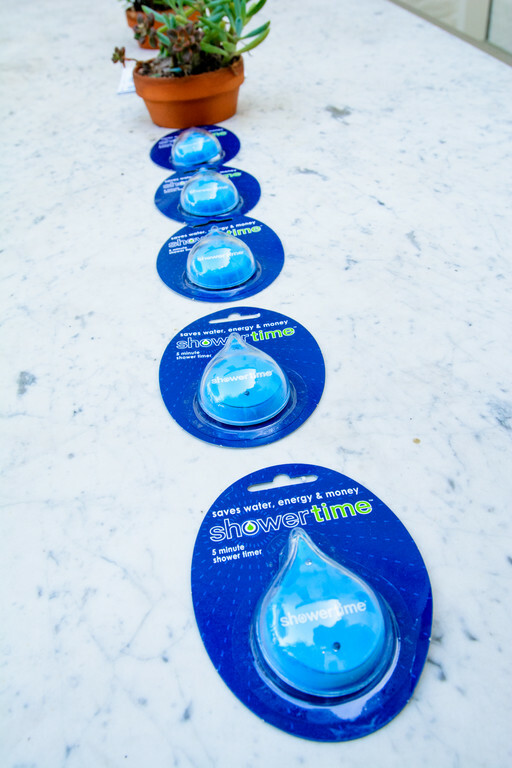 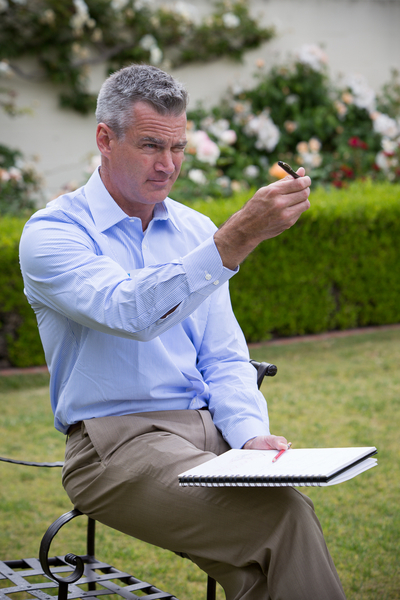 The gardens now consume substantially less water than before due to the replacement of water-intensive landscaping with California-friendly plants. 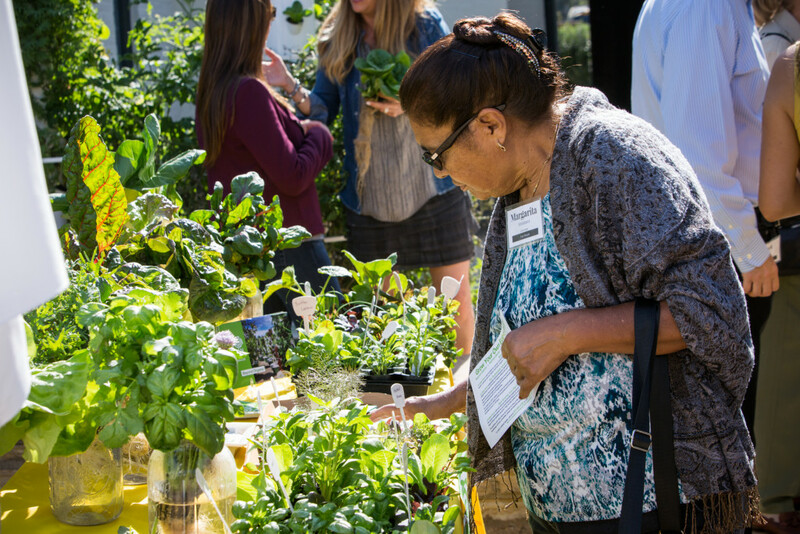 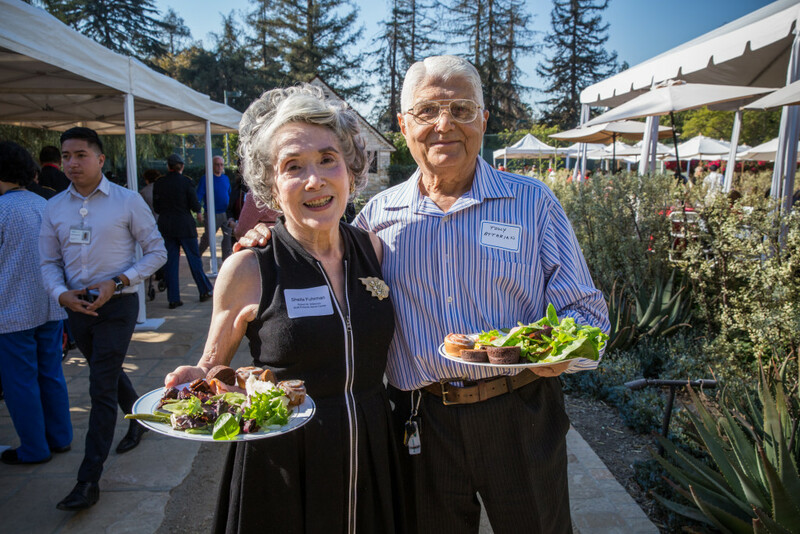 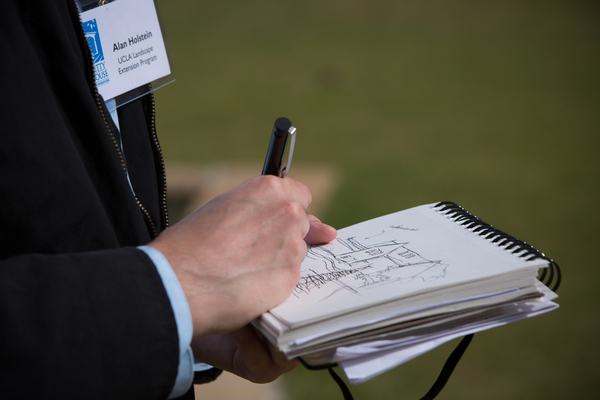 Guests enjoyed the gardens, compared the new and old garden designs, and interacted with community organizations to learn how to make changes to “green” their own homes. 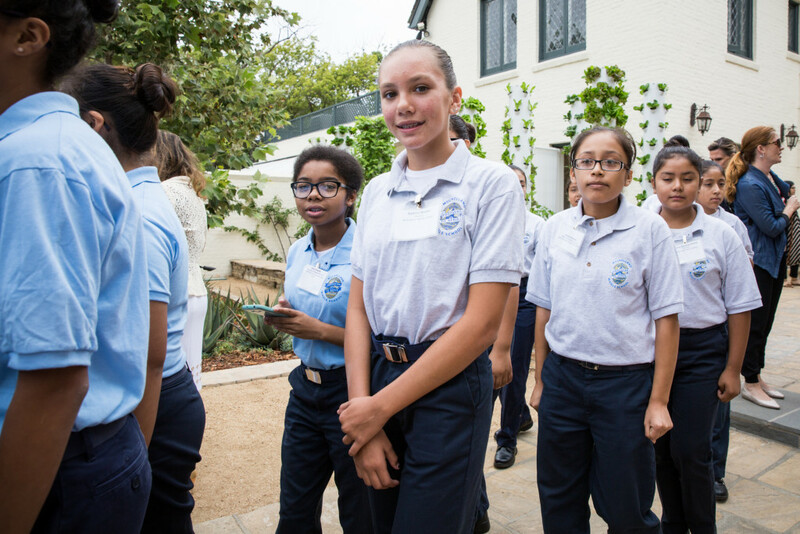 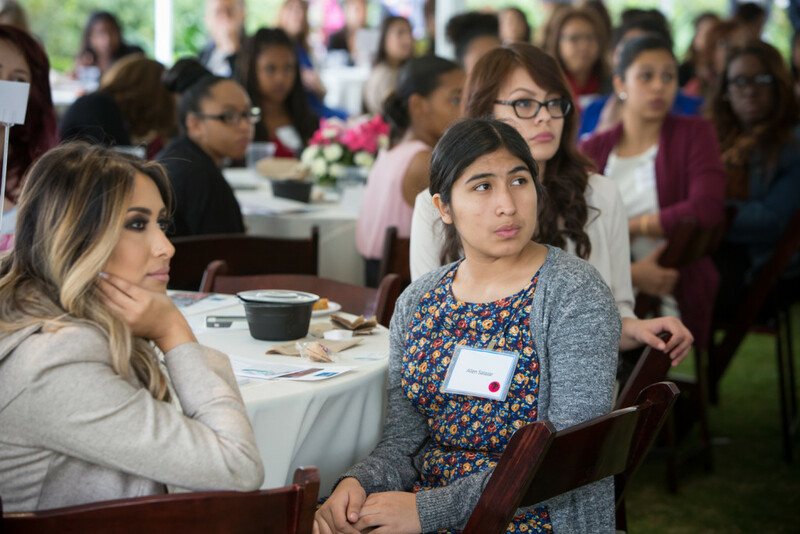 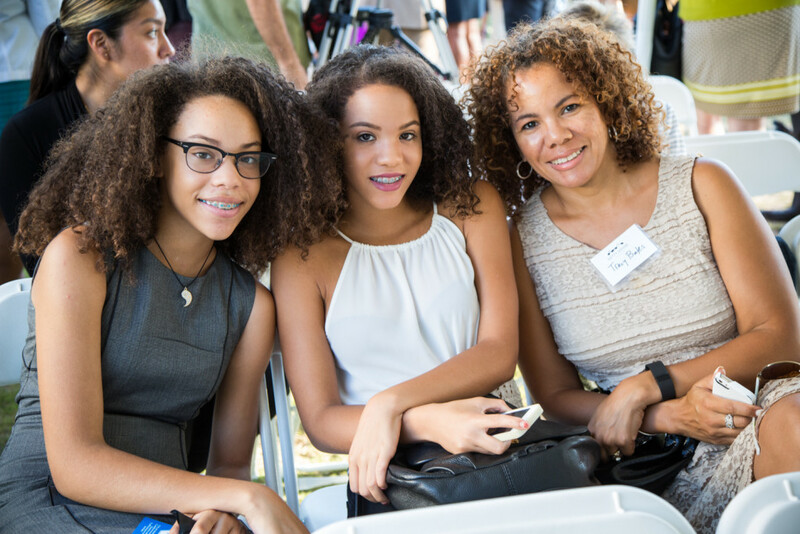 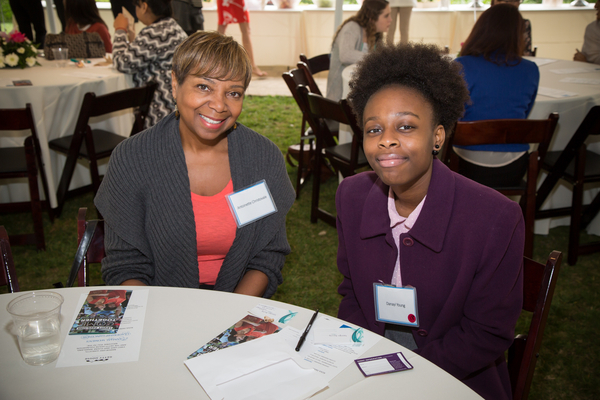 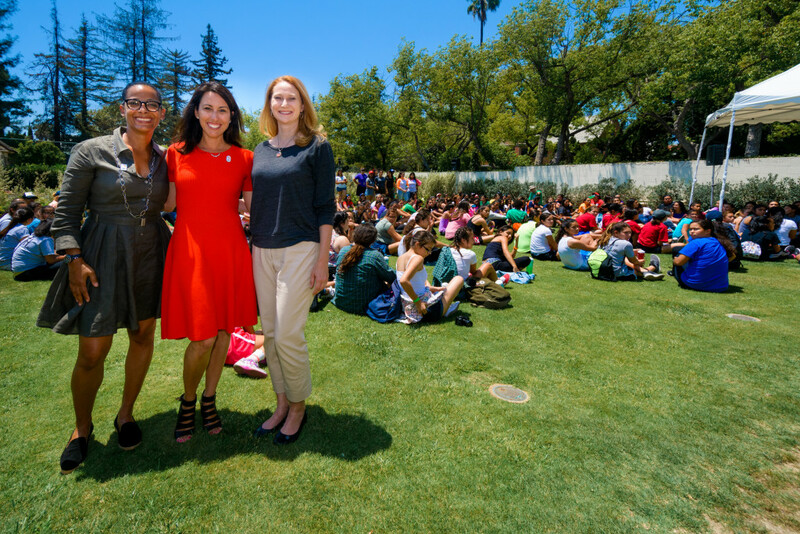 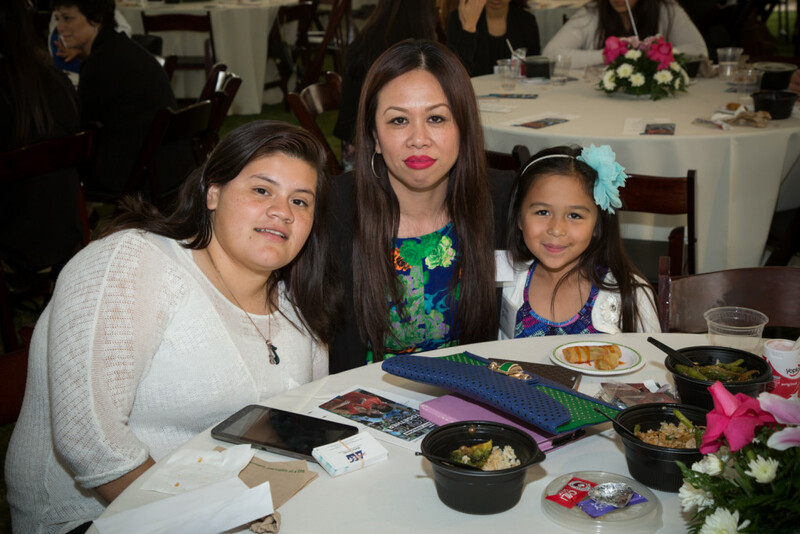 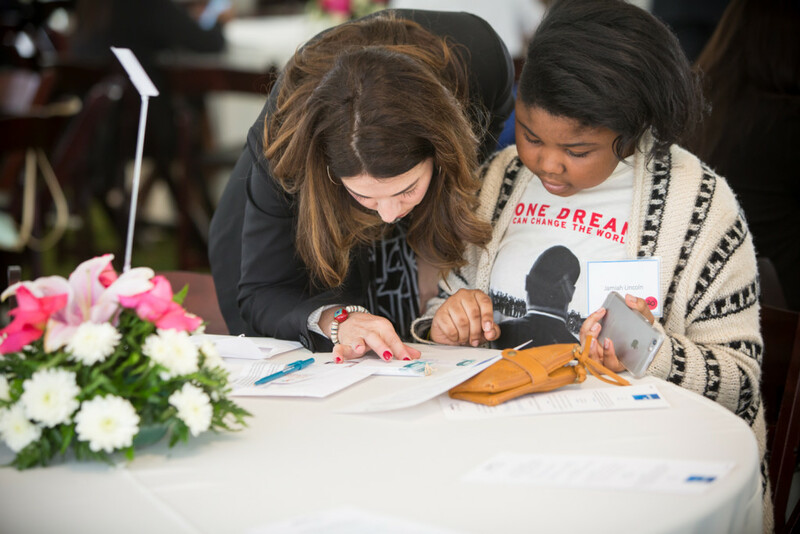 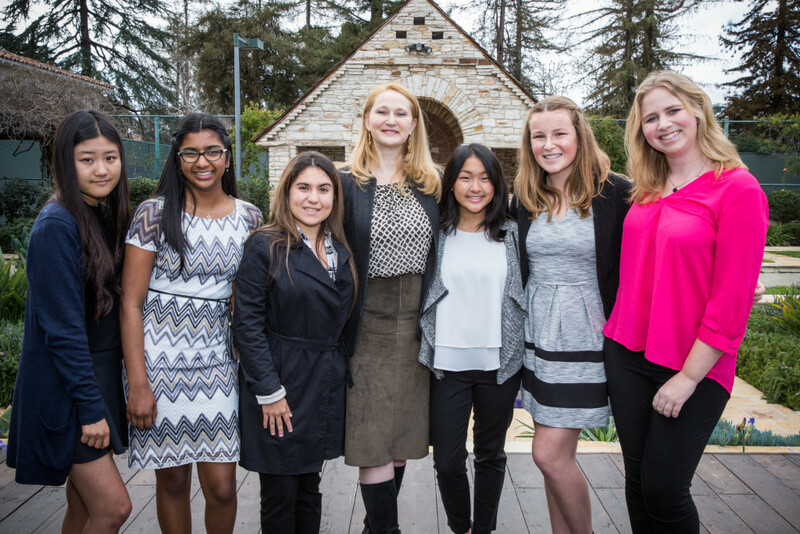 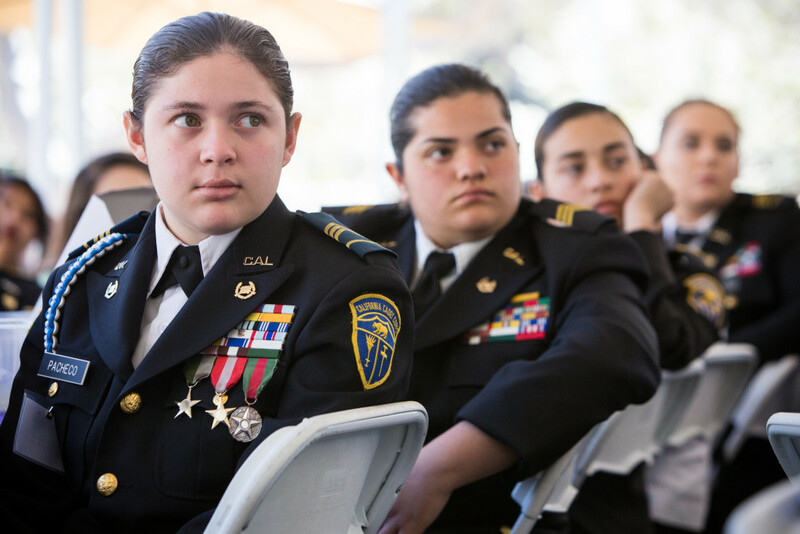 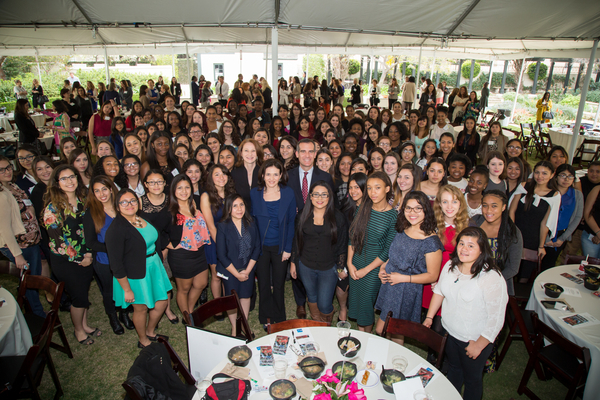 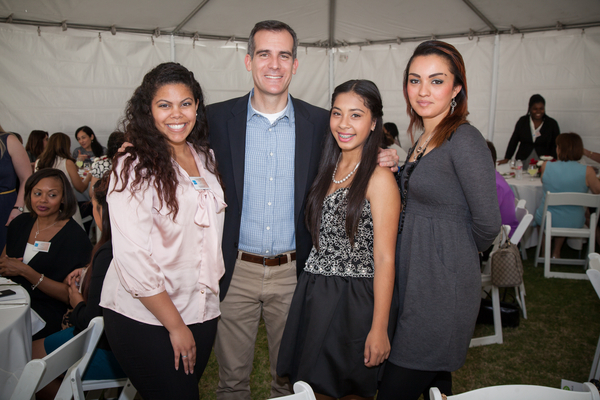 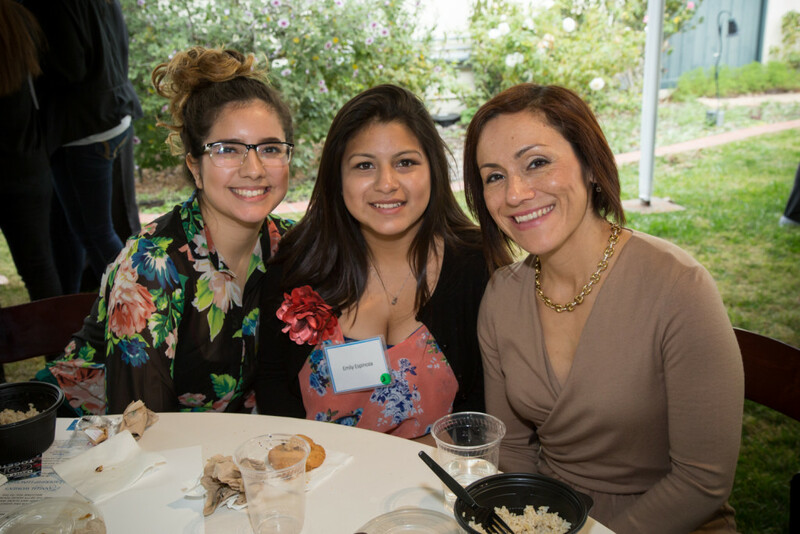 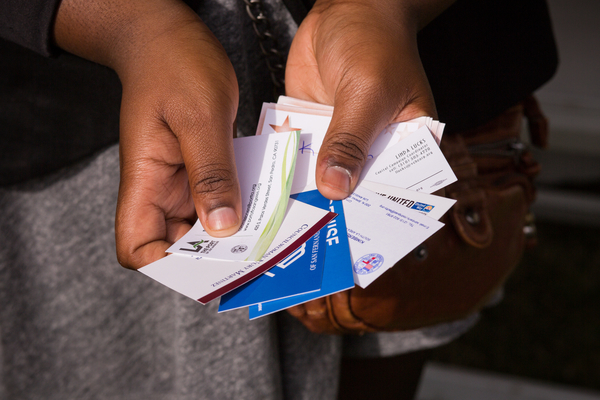 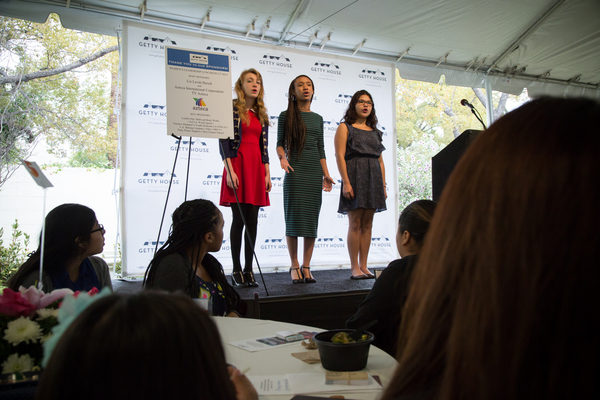 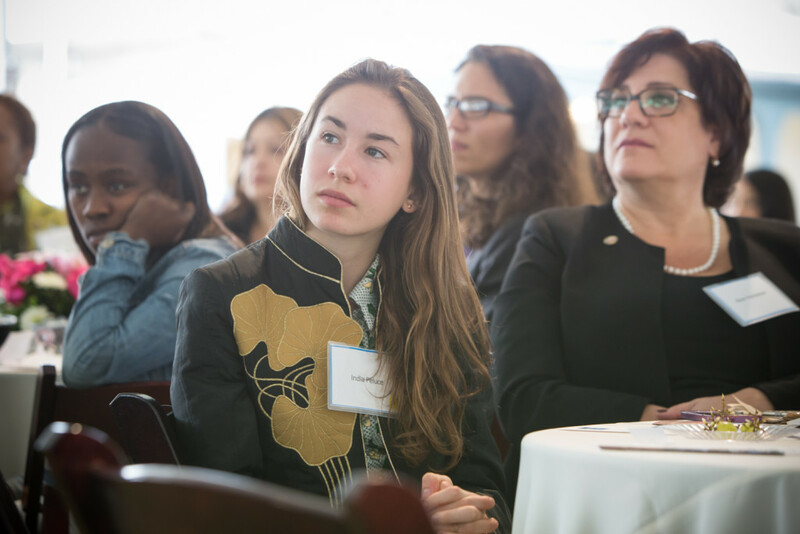 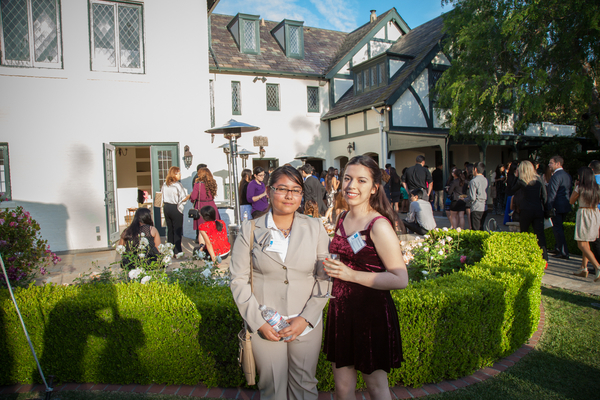 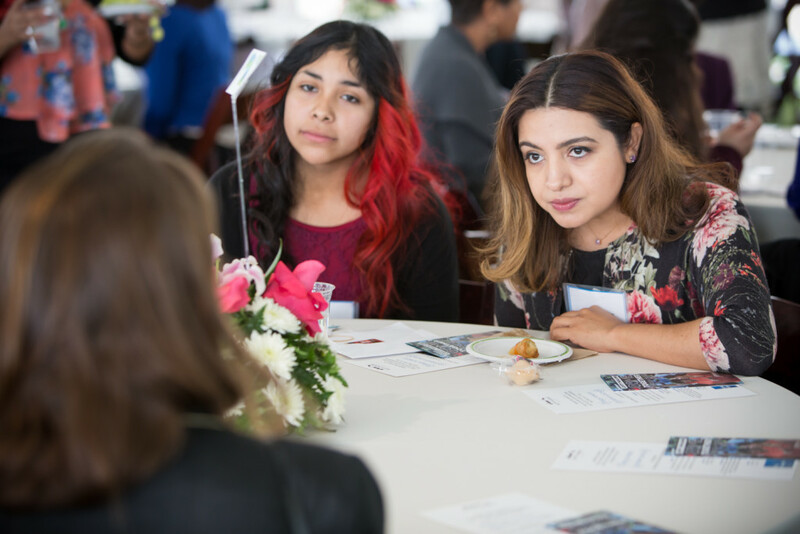 In honor of the birthdays of both Rosa Parks and Susan B. Anthony, Mayor Garcetti, First Lady Amy Elaine Wakeland and the Getty House Foundation Board of Directors hosted their annual mentoring luncheon for high school students from all over Los Angeles to network with accomplished women from various professions. 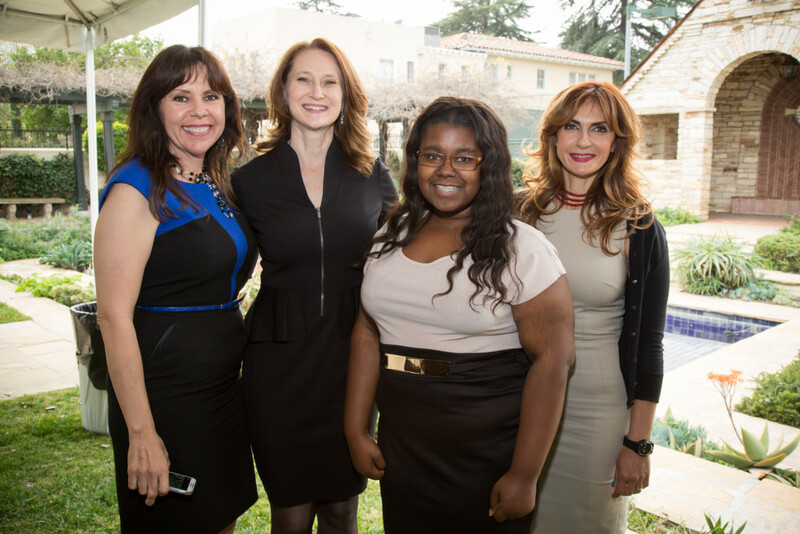 Los Angeles Unified School District Superintendent Michelle King was the featured keynote speaker. 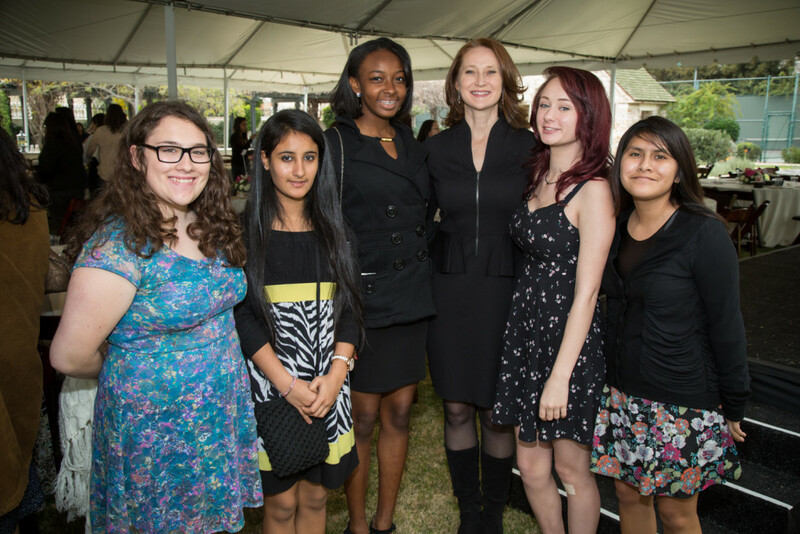 Students asked Superintendent King questions about her career path, her role as Superintendent, and her vision for the future of LAUSD. 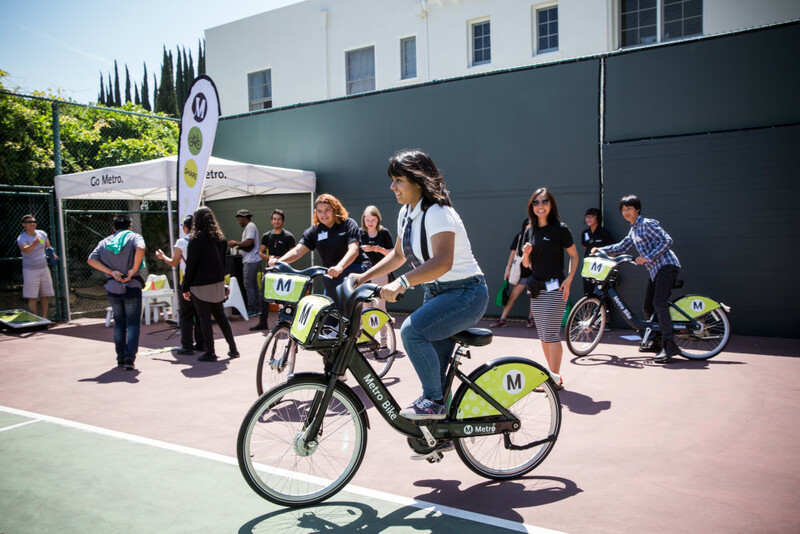 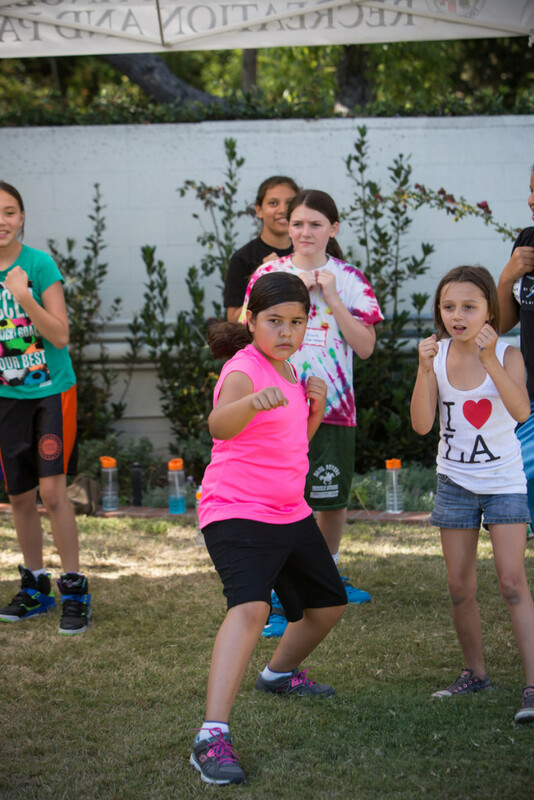 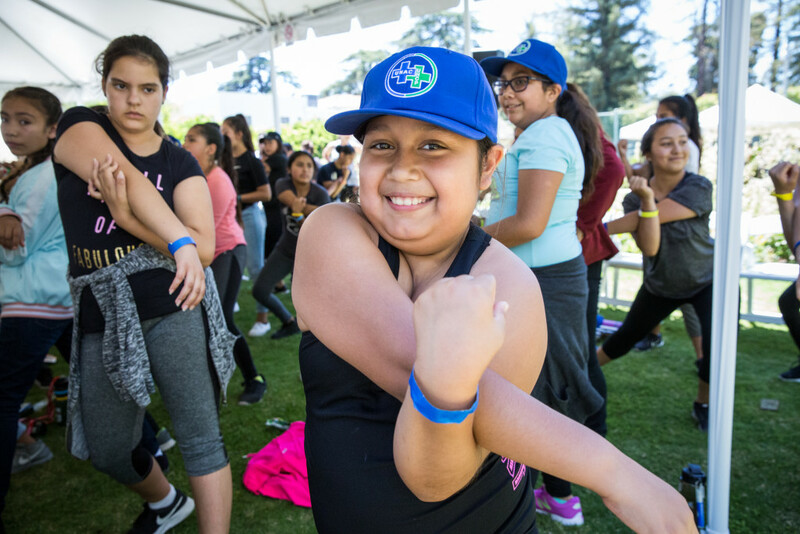 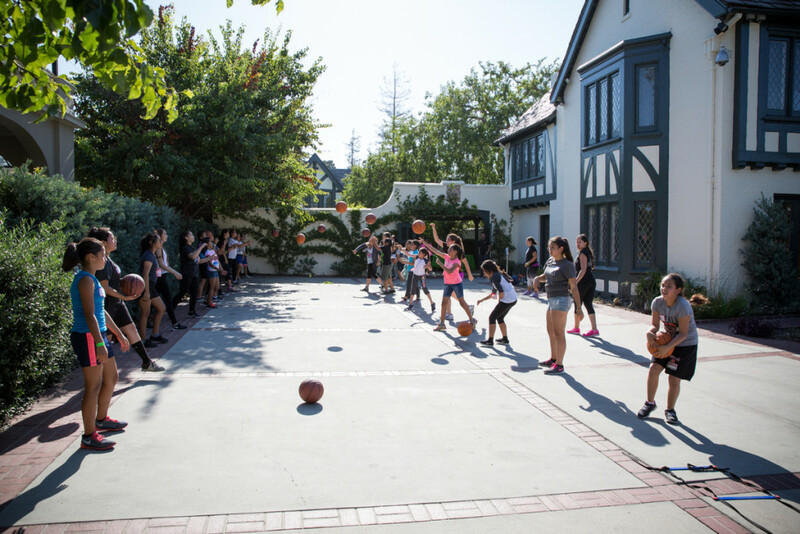 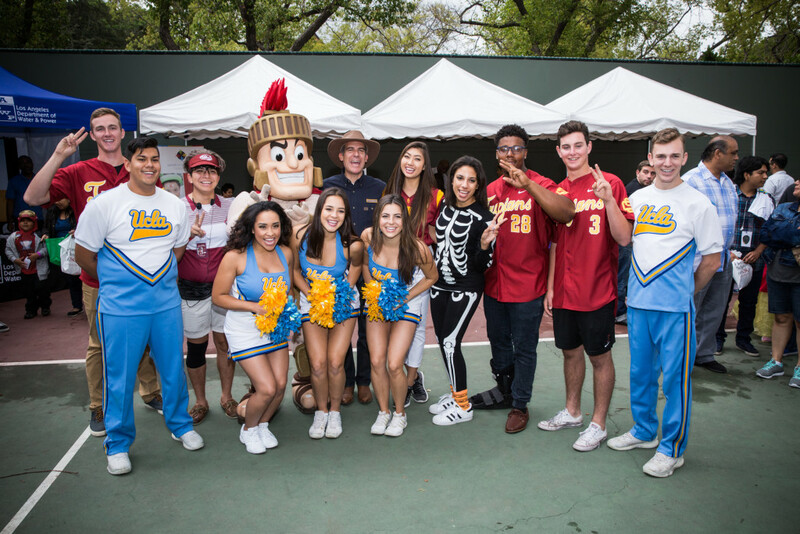 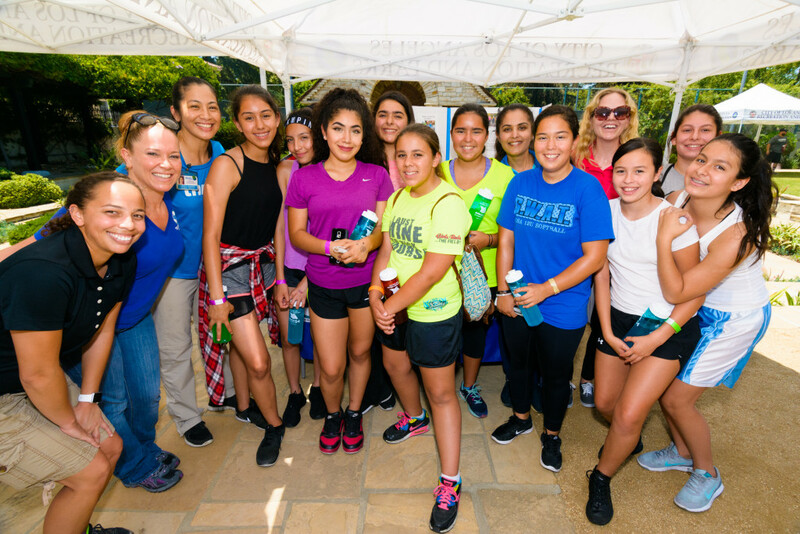 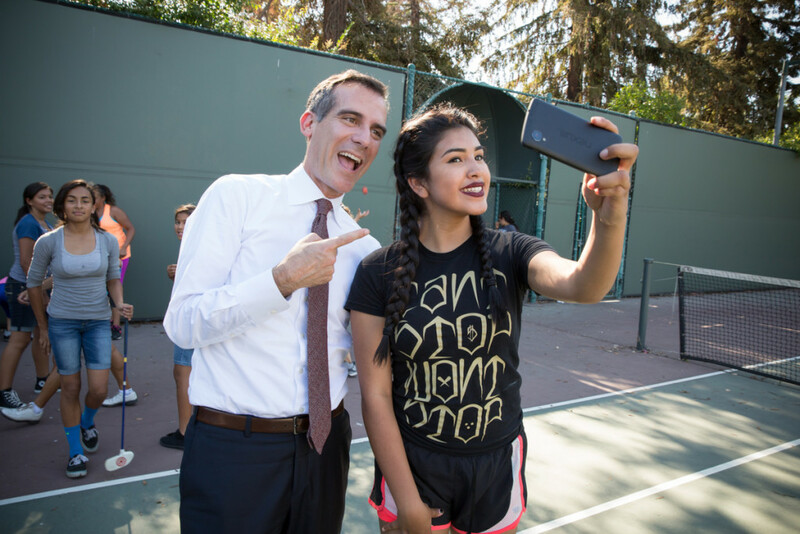 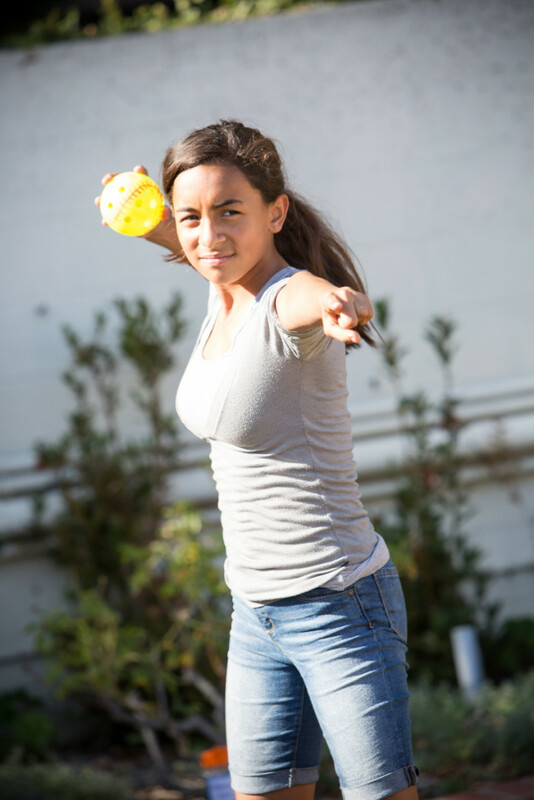 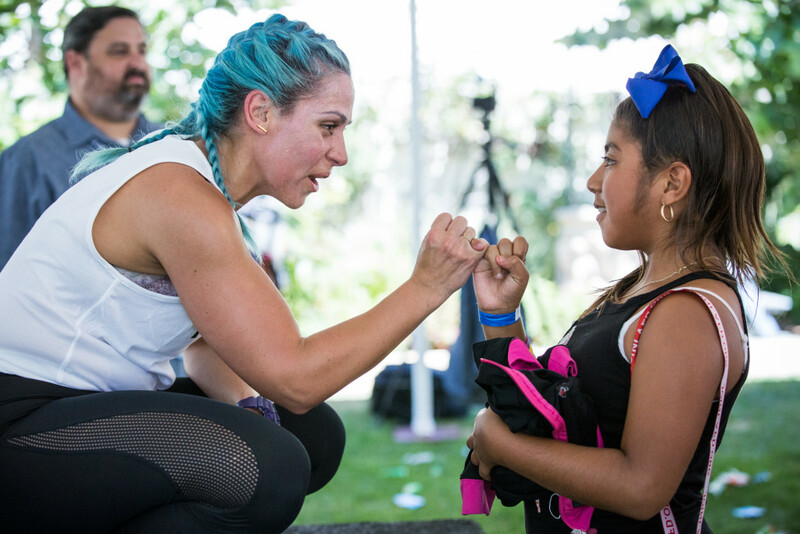 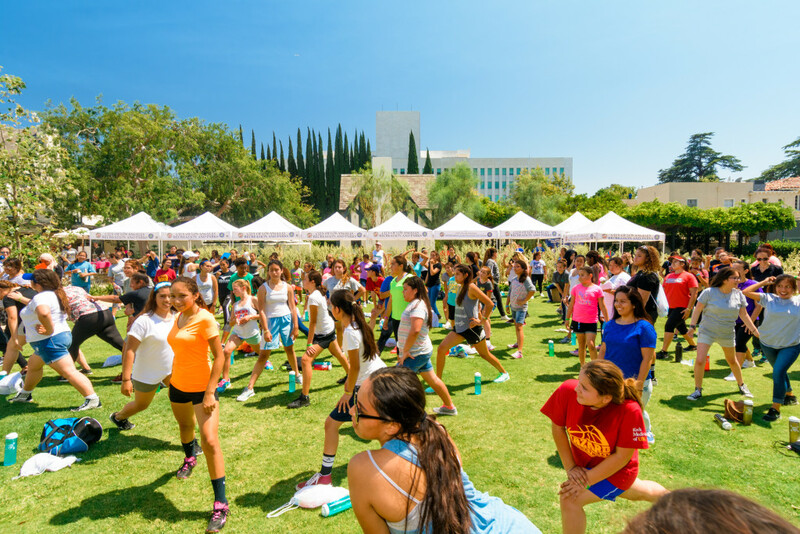 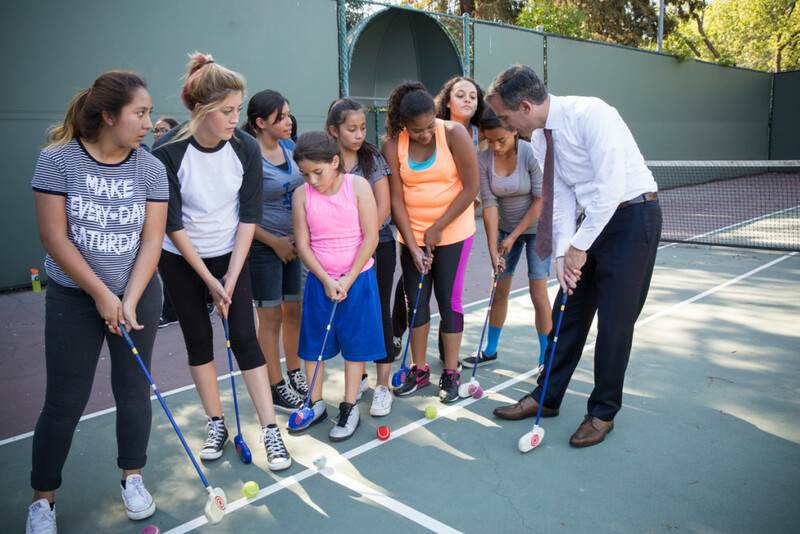 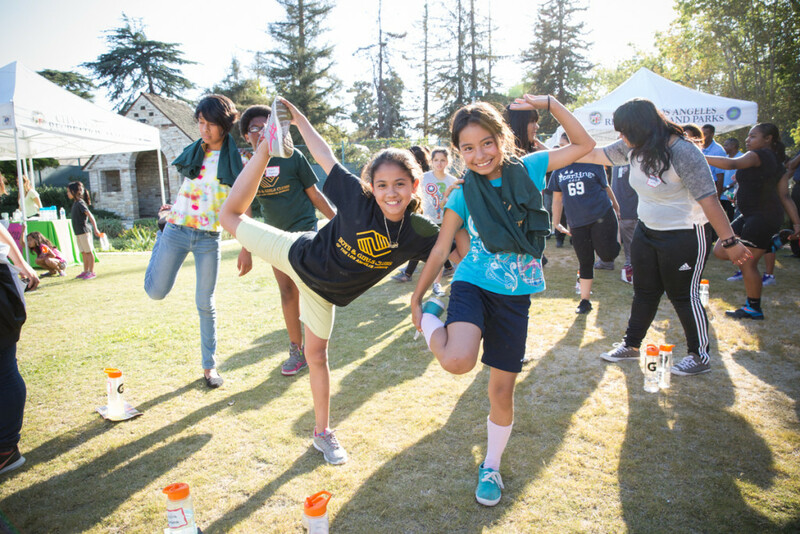 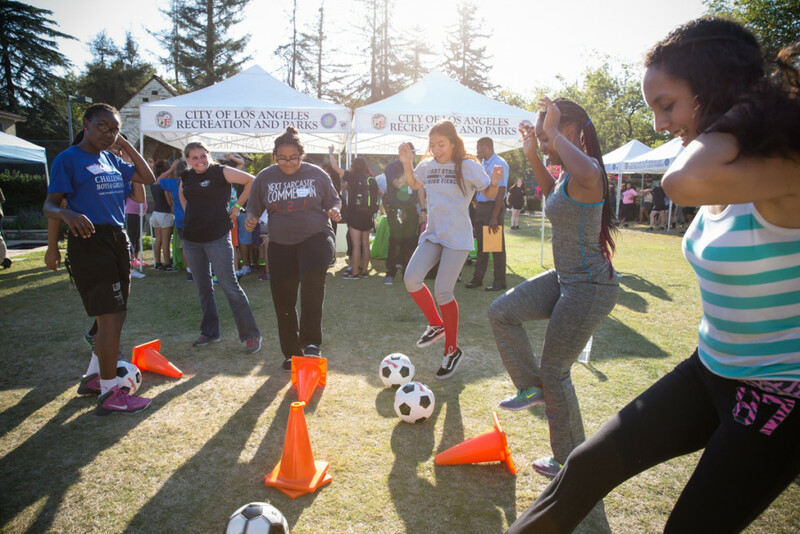 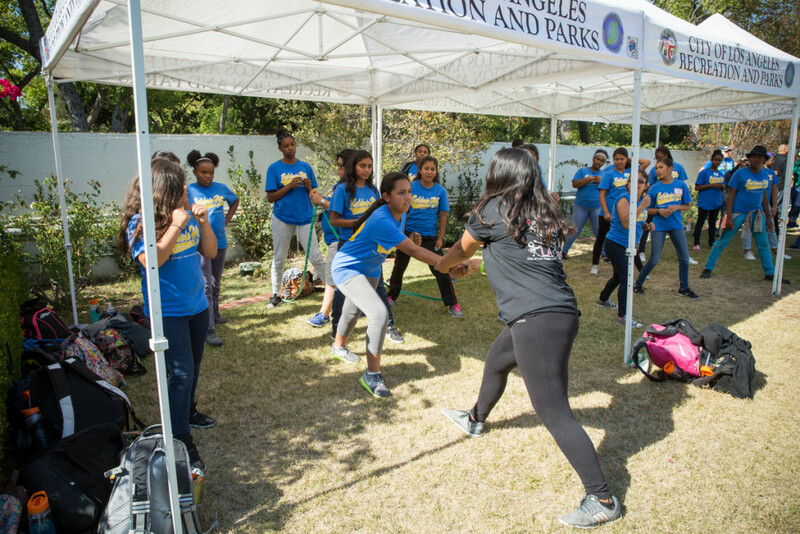 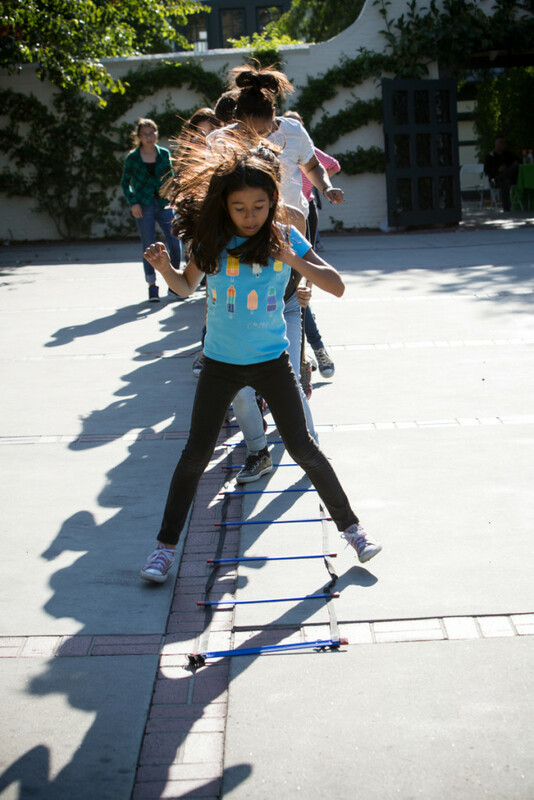 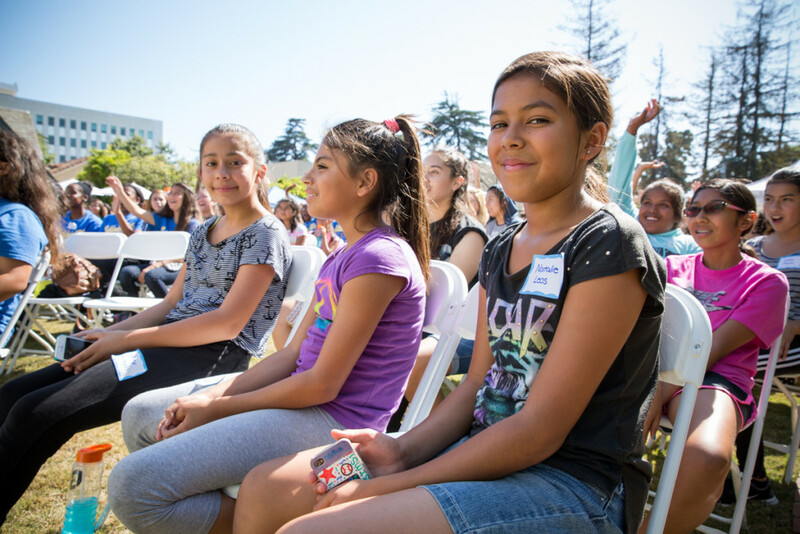 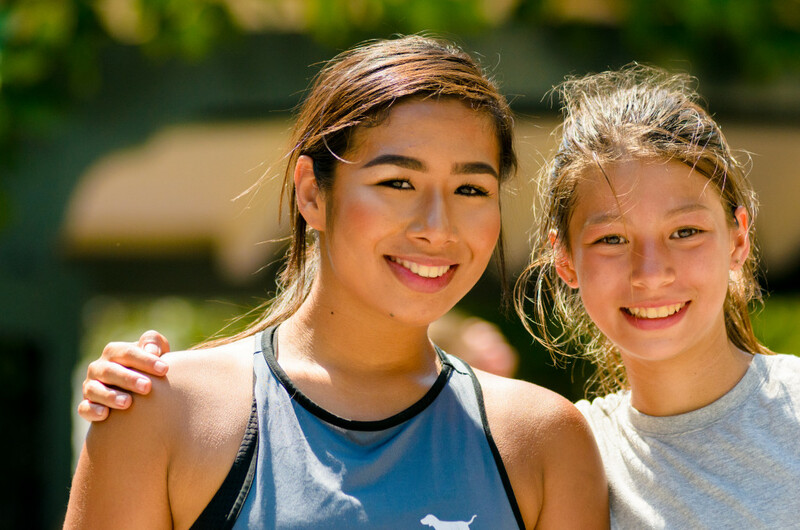 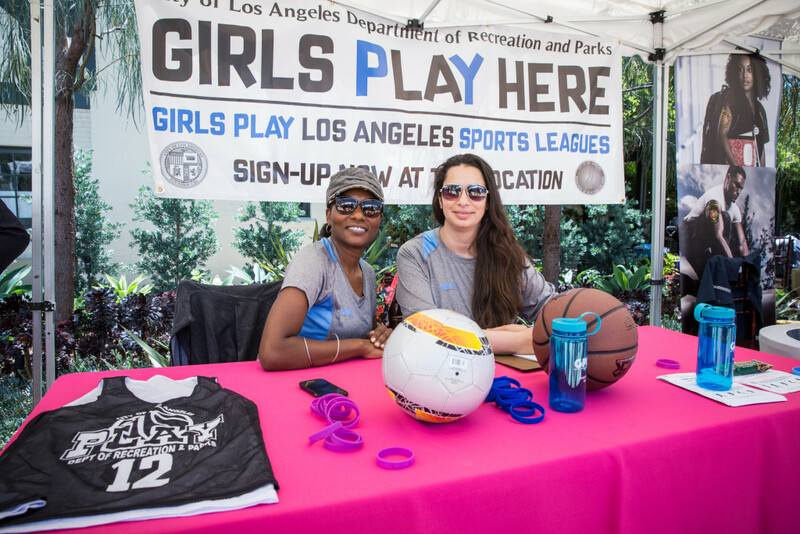 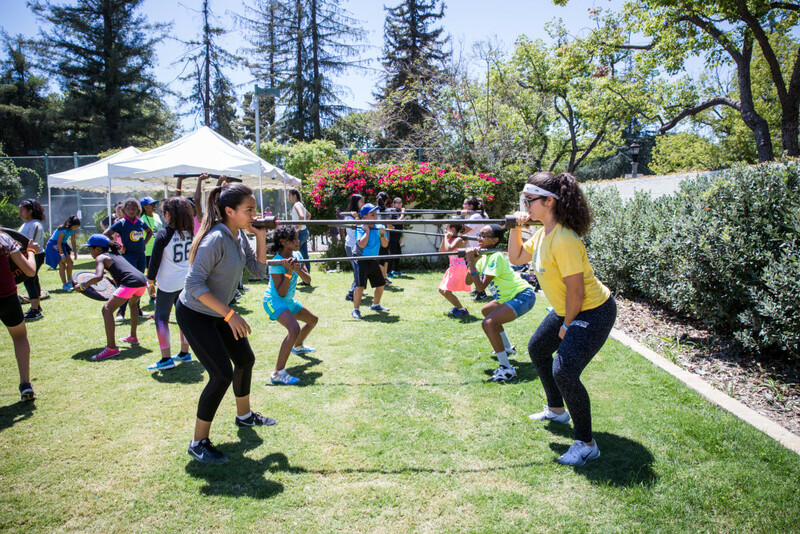 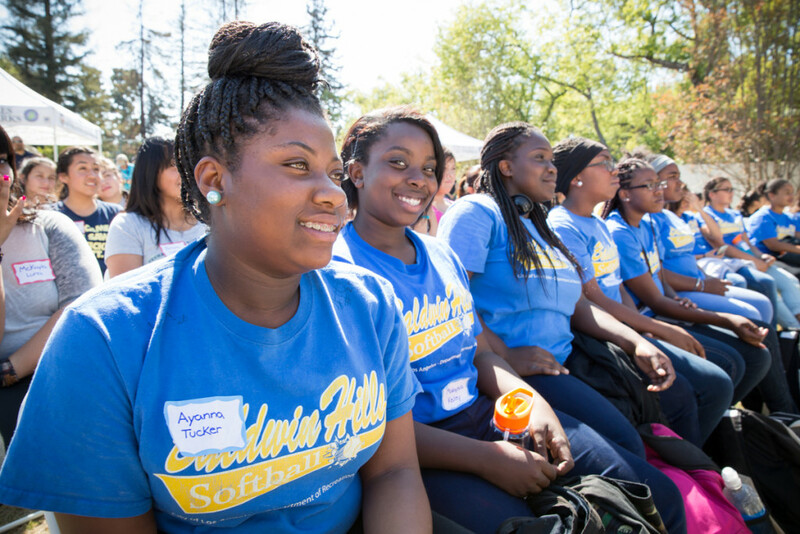 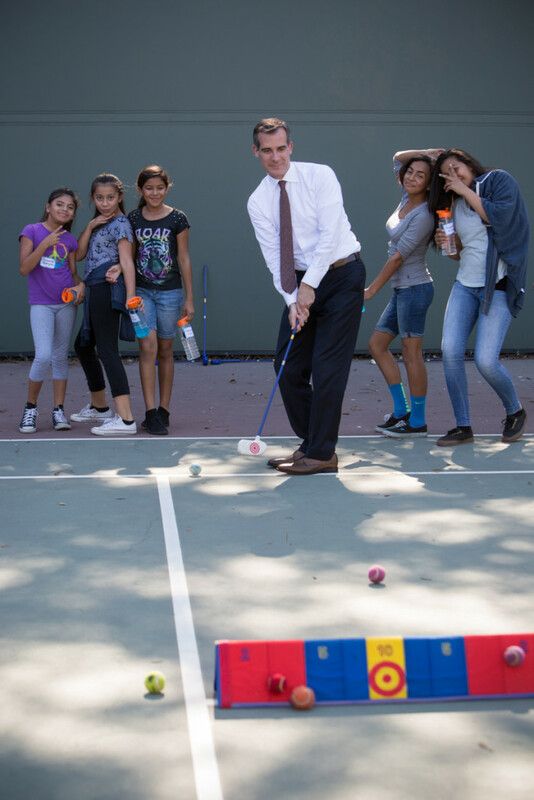 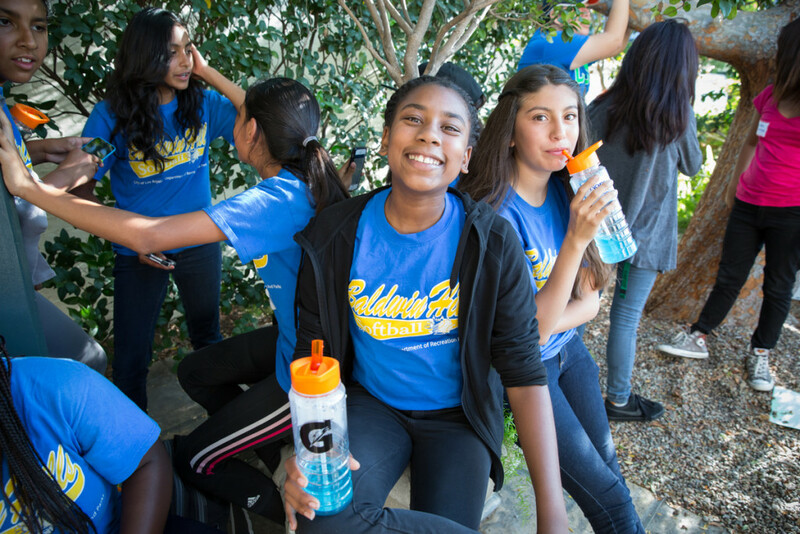 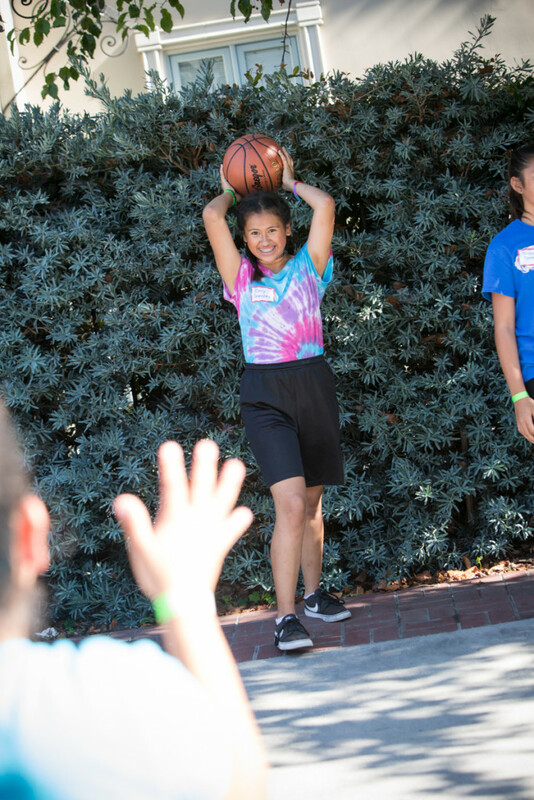 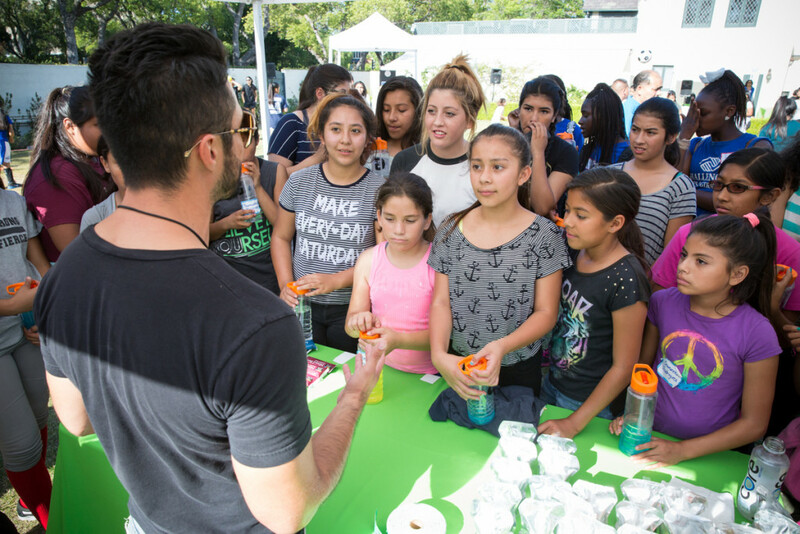 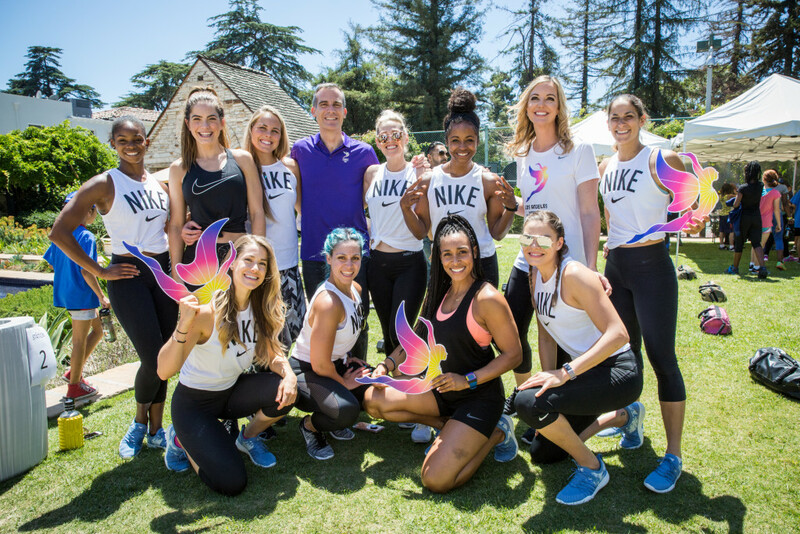 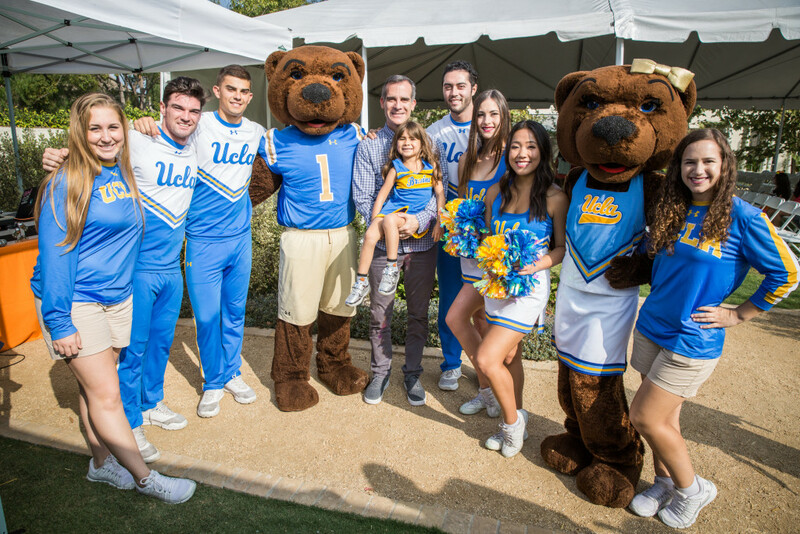 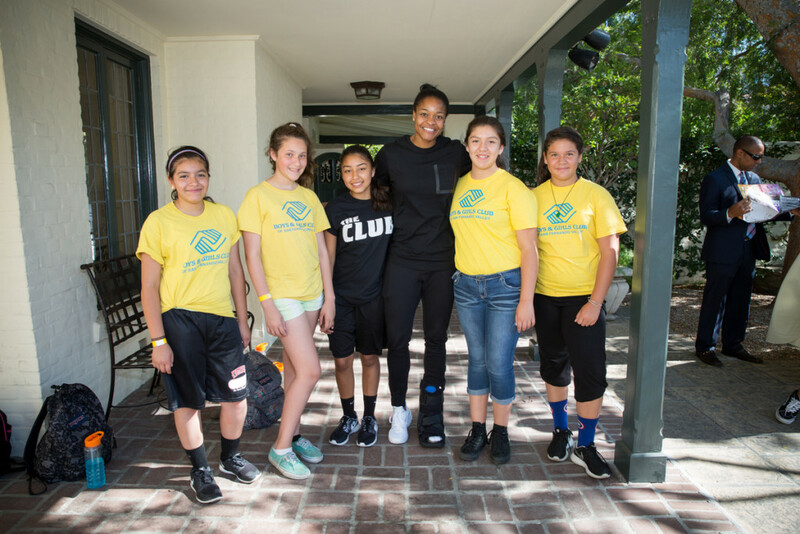 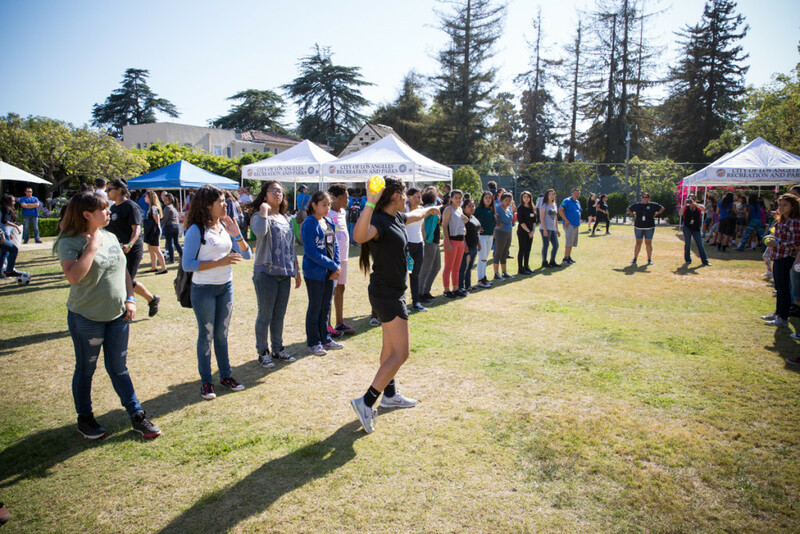 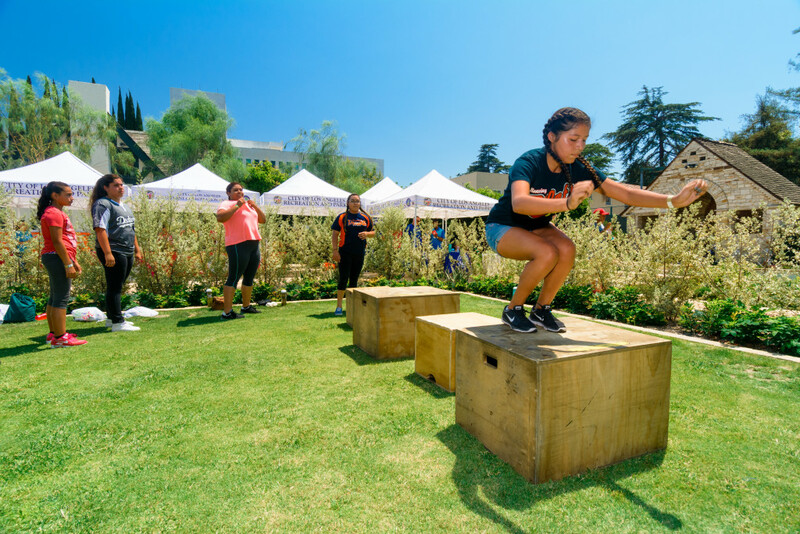 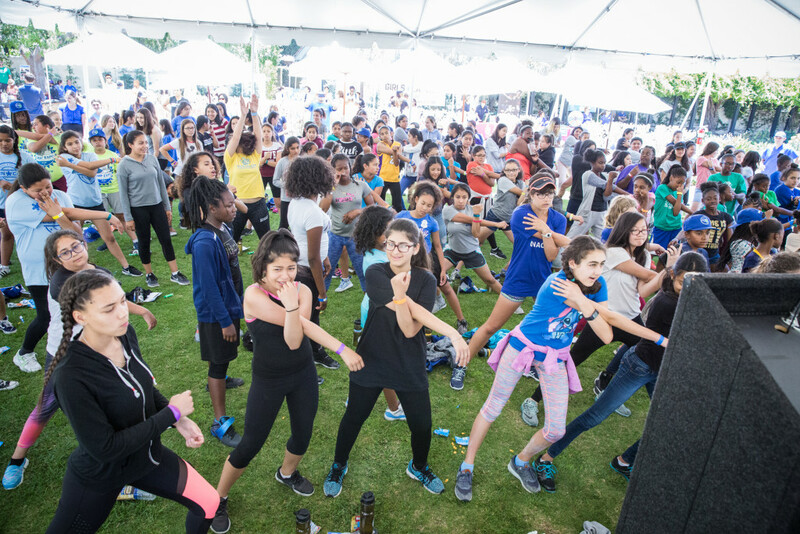 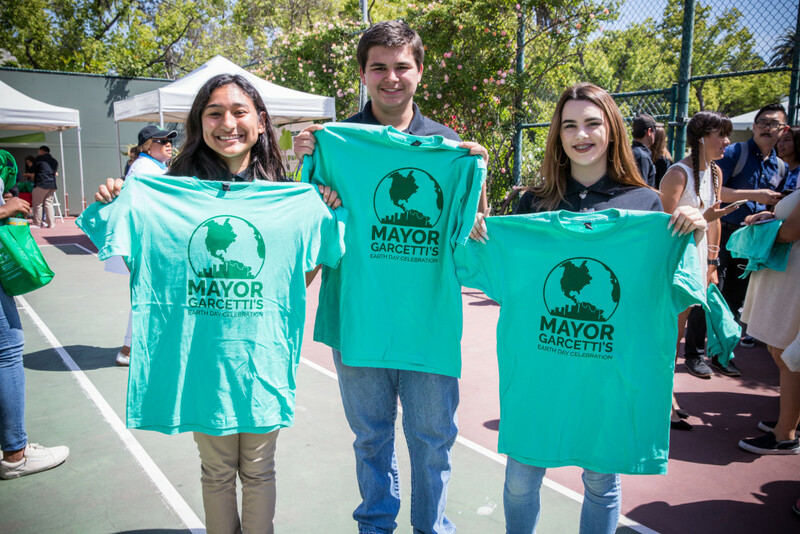 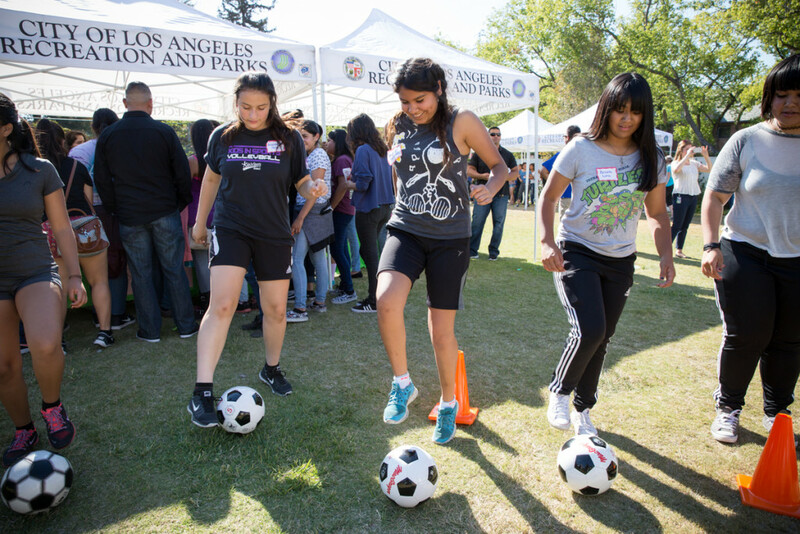 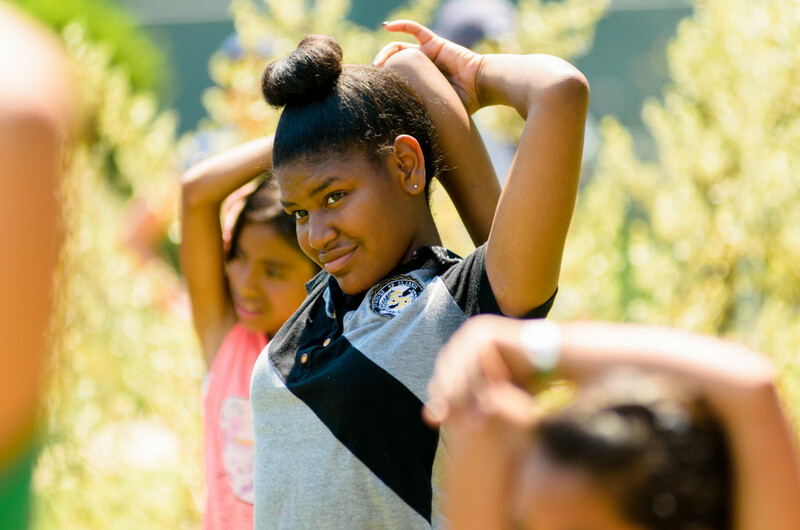 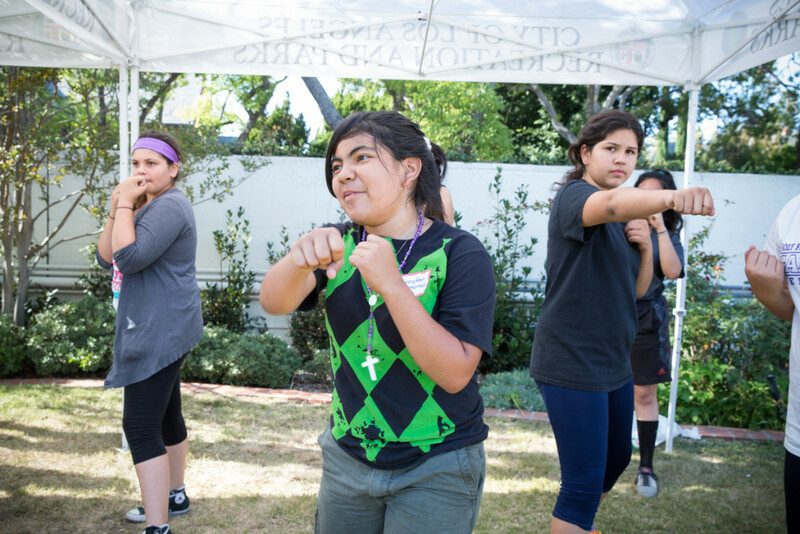 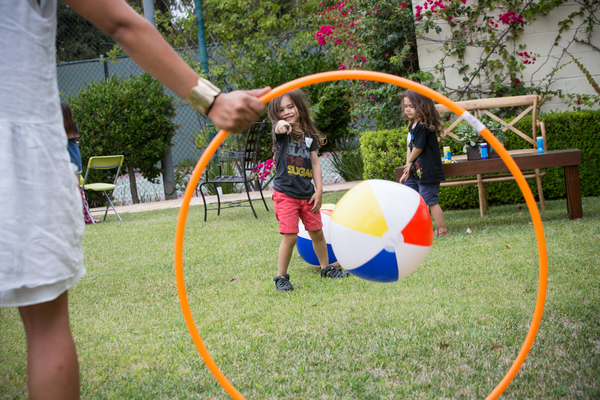 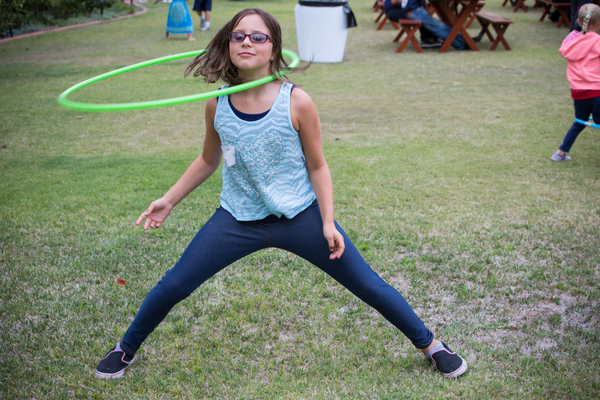 Mayor Eric Garcetti, First Lady Amy Elaine Wakeland, and the Getty House Foundation Board of Directors hosted a Girls’ Sports Clinic in honor Title IX Day, marking the 43rd anniversary of the groundbreaking legislation’s passage. 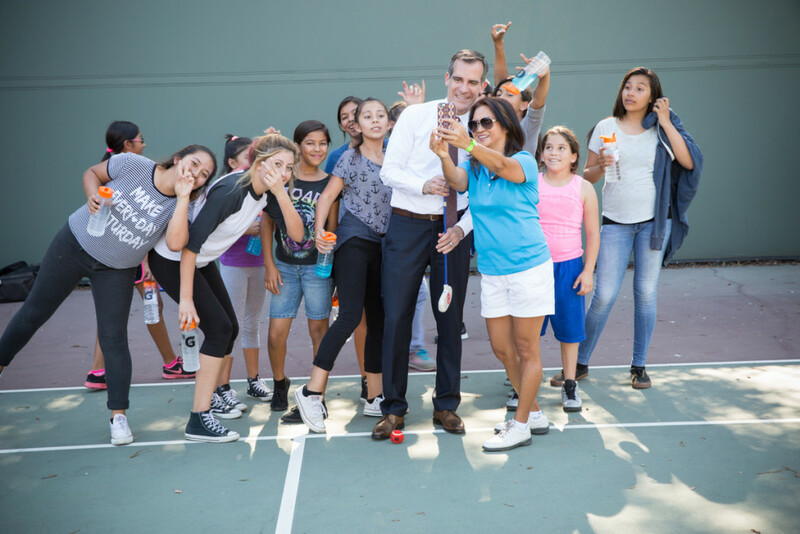 The Mayor and the First Lady spoke to the girls about the importance of Title IX, the advances women have made because of this legislation, and sports resources available through the Los Angeles Department of Recreation and Parks. 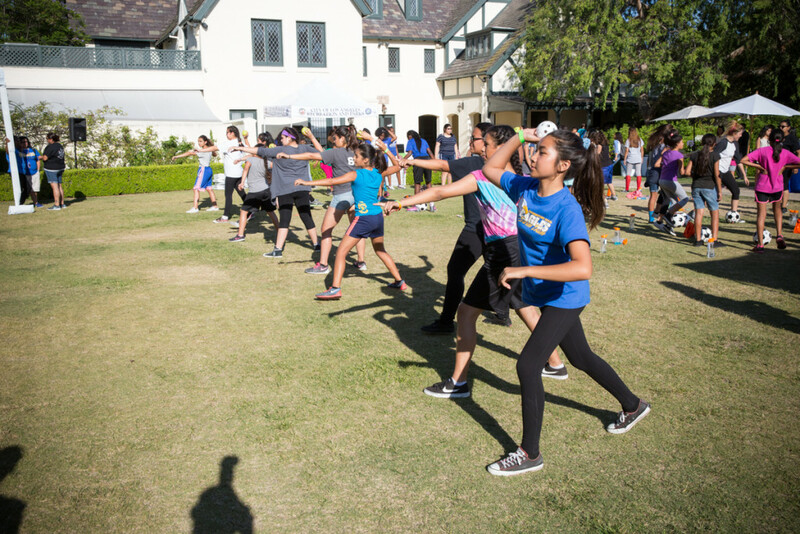 The sports clinic featured circuit stops where girls learned self-defense, basketball training, golf putting, soccer drills, softball stances, and stretching techniques. 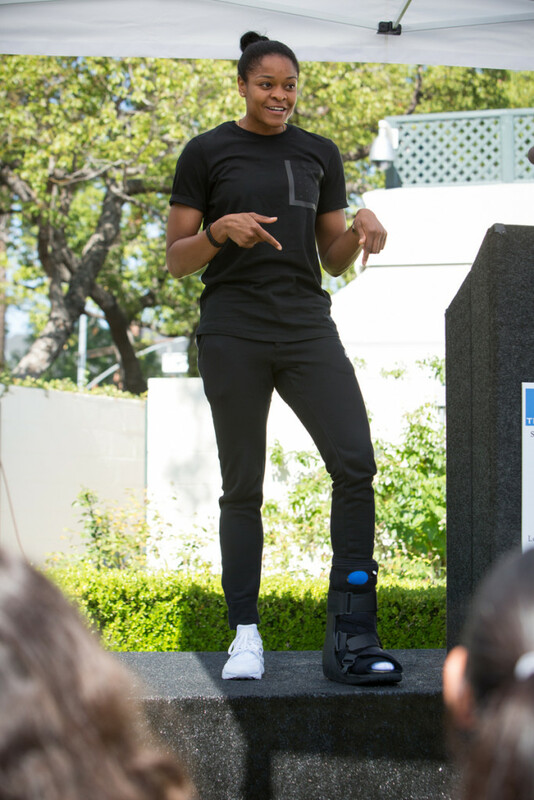 Alana Beard, from the WNBA’s Los Angeles Sparks, joined the event and spoke to the girls about her start in sports and pushing through adversity. 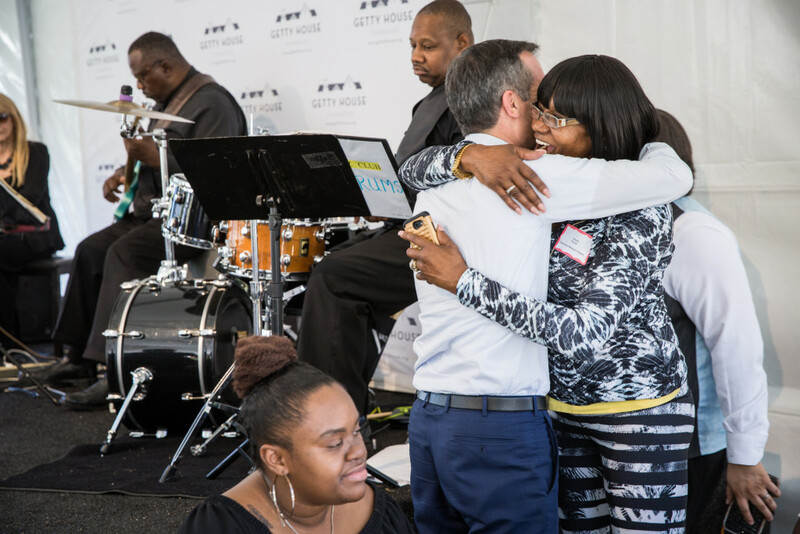 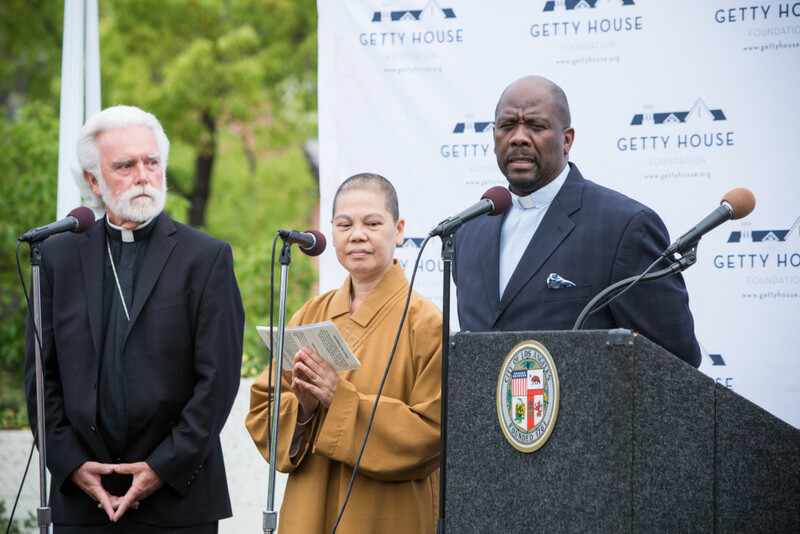 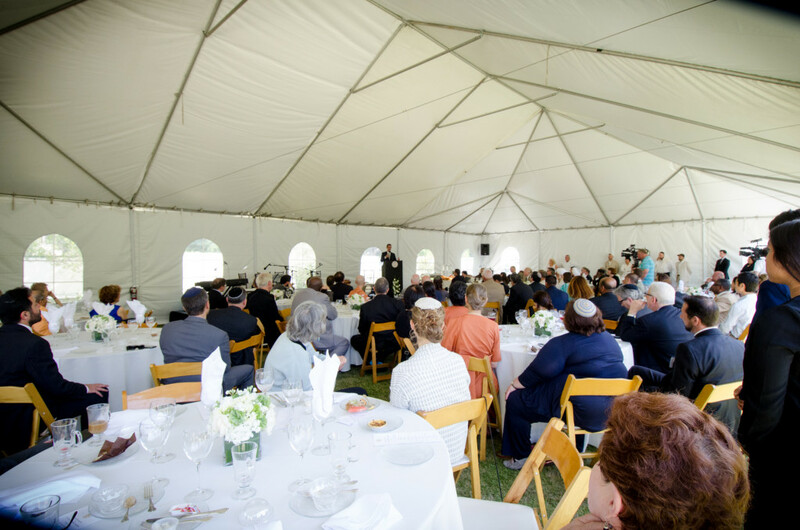 Mayor Garcetti, First Lady Amy Elaine Wakeland, and the Getty House Foundation Board of Directors hosted the second annual National Day of Prayer Breakfast at Getty House. 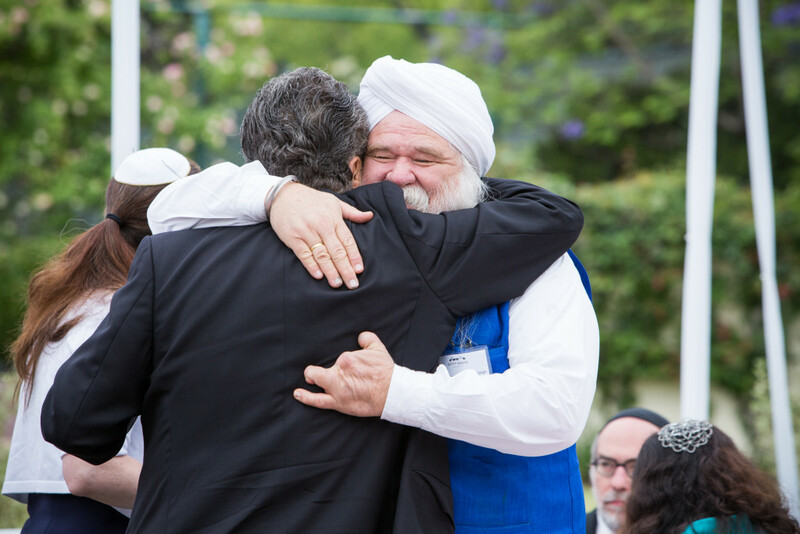 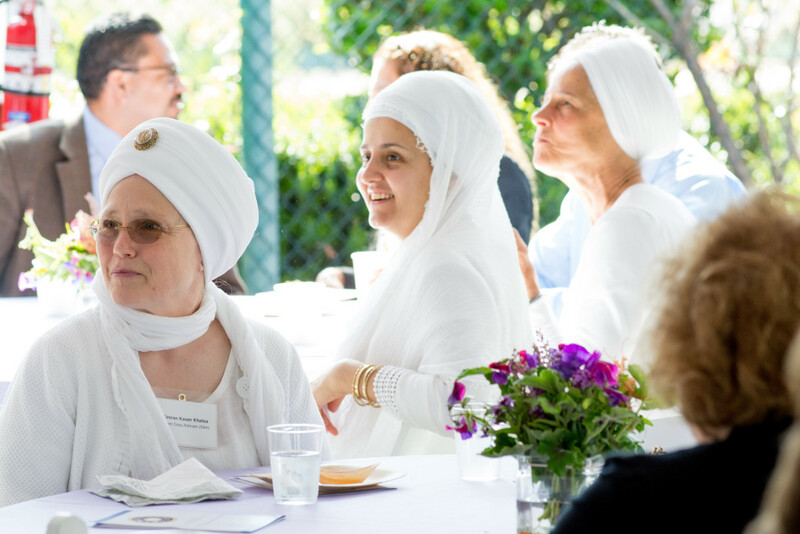 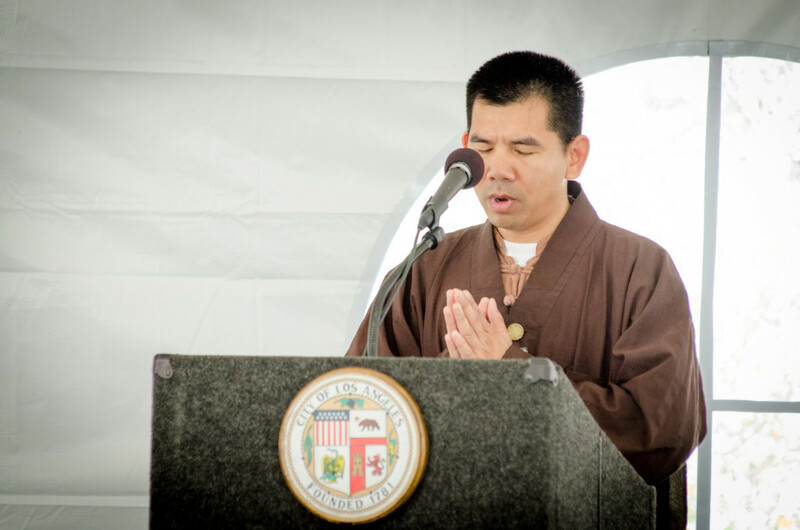 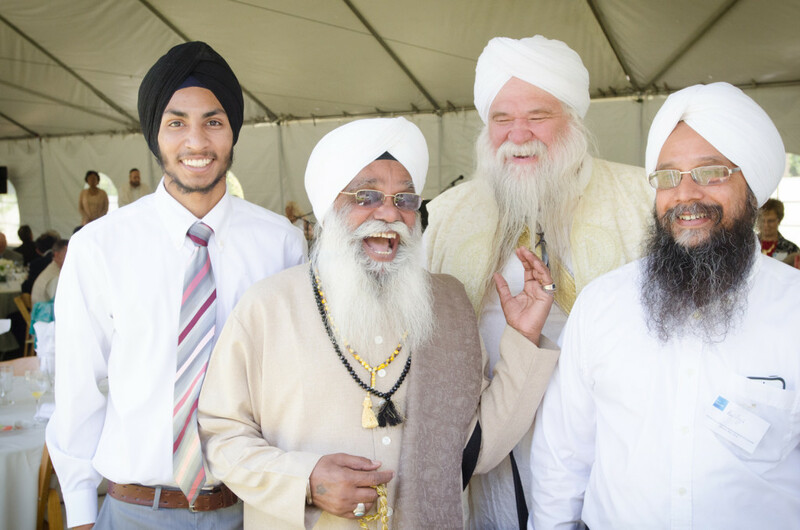 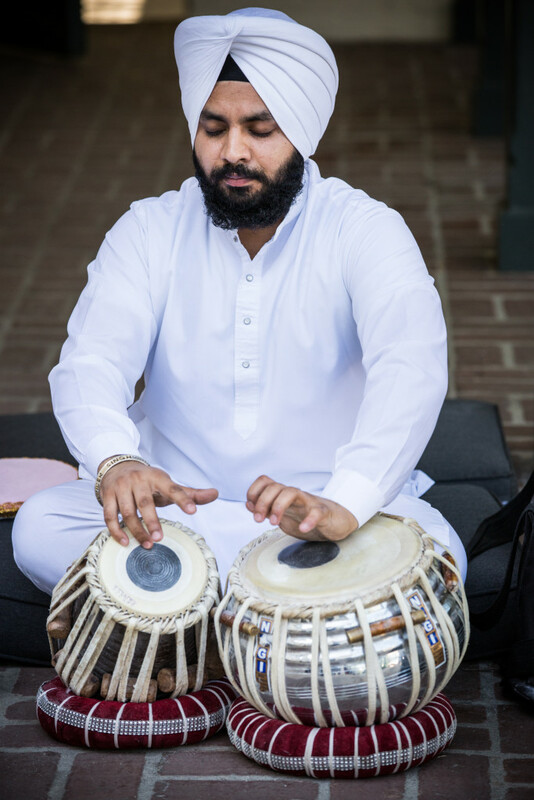 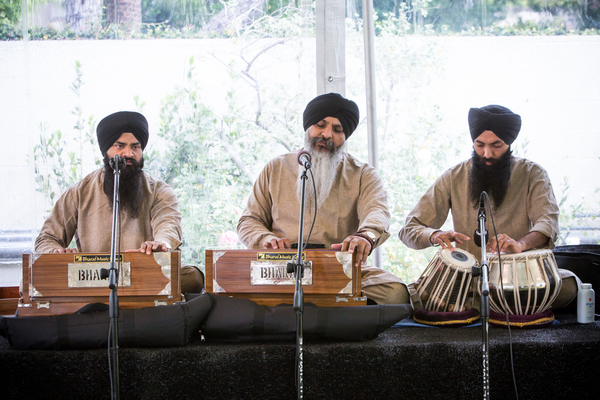 Leaders from all faiths gathered to celebrate this national holiday and to offer blessings and prayers to the residents of the City of Los Angeles. 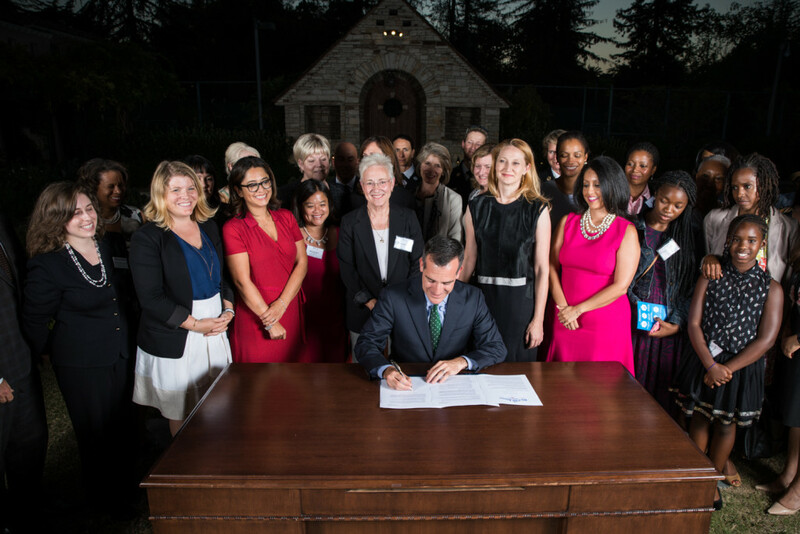 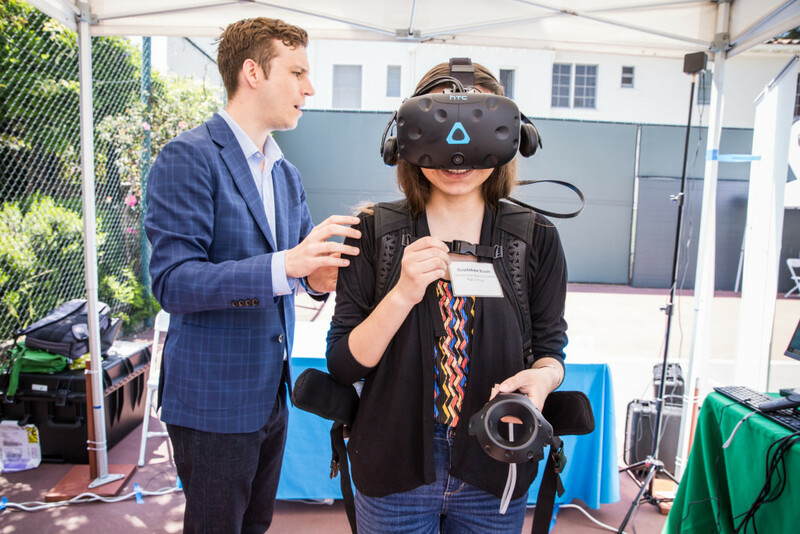 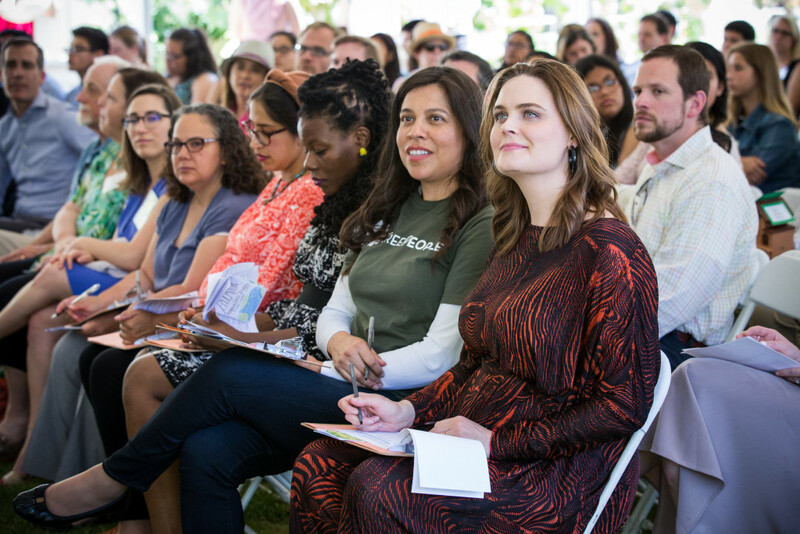 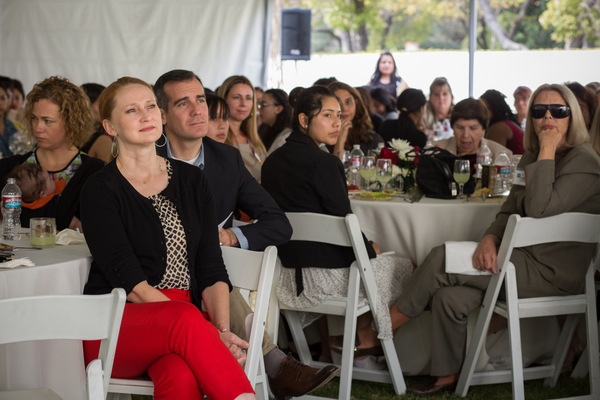 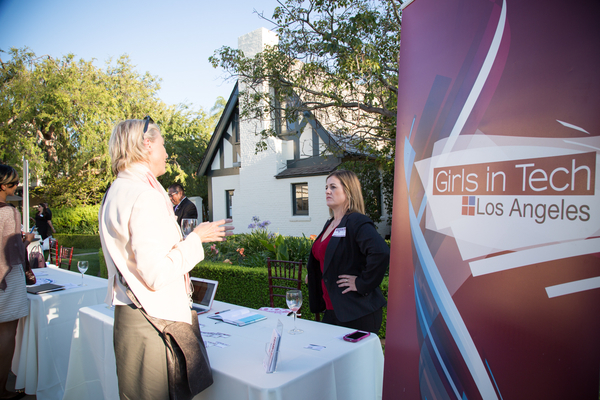 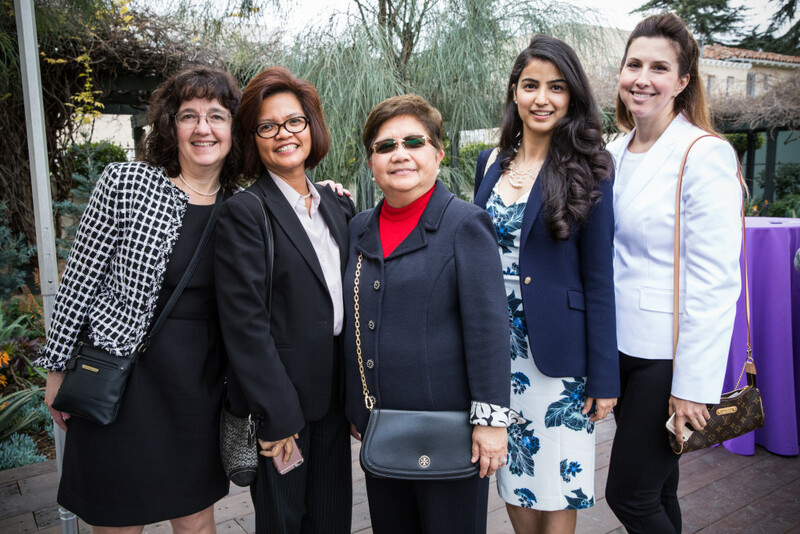 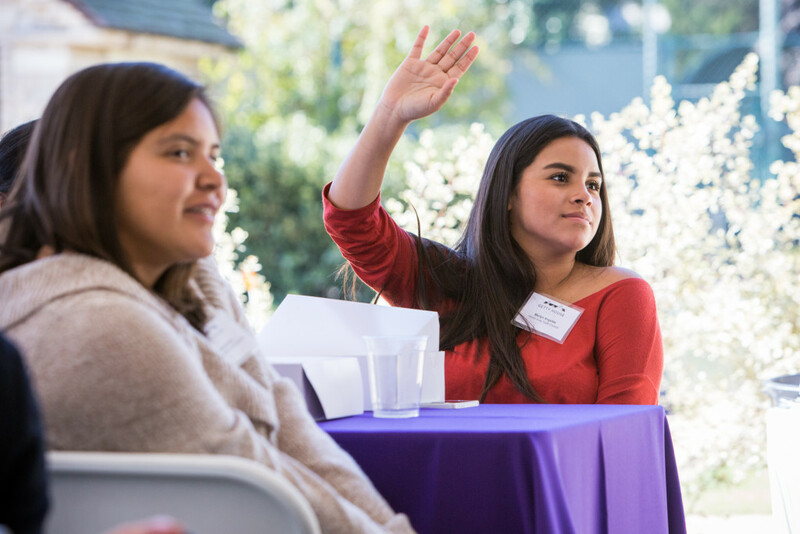 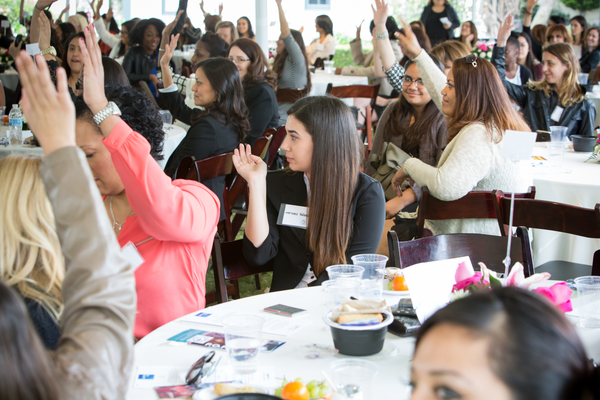 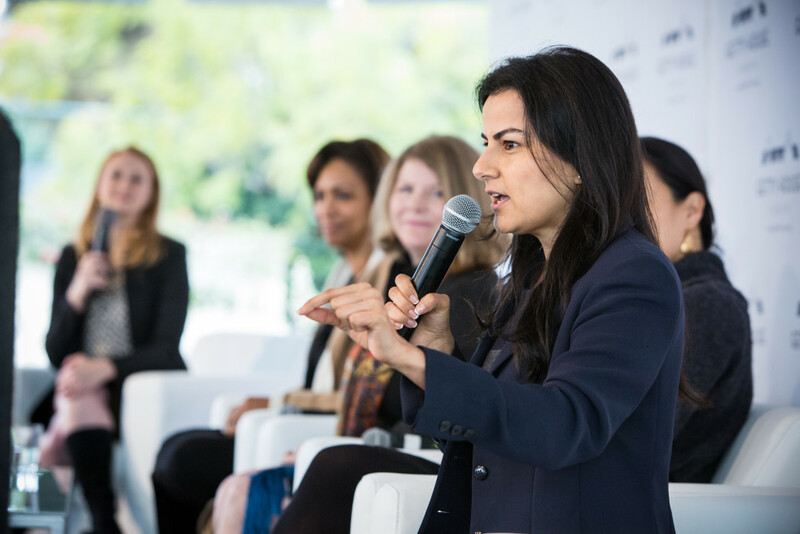 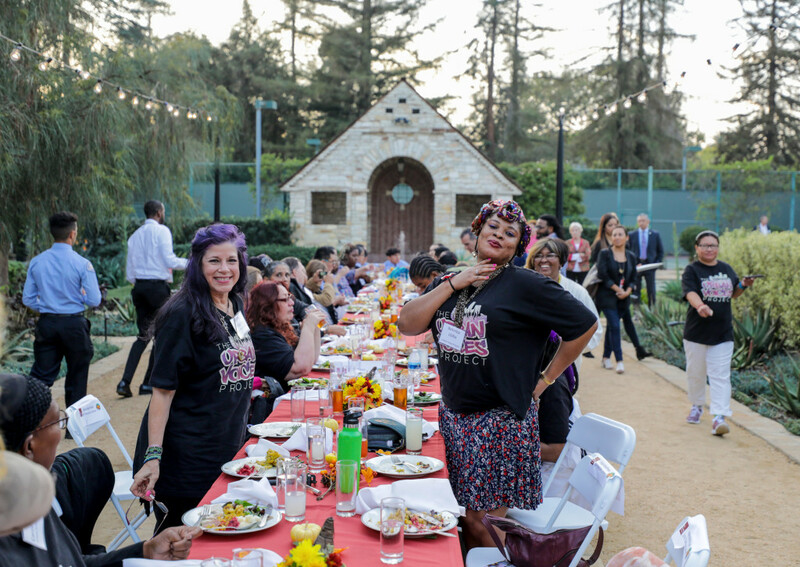 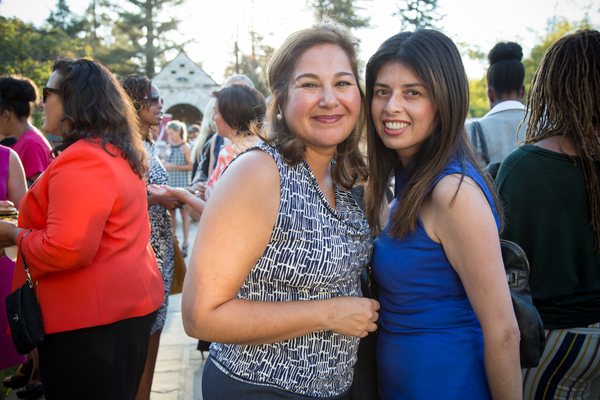 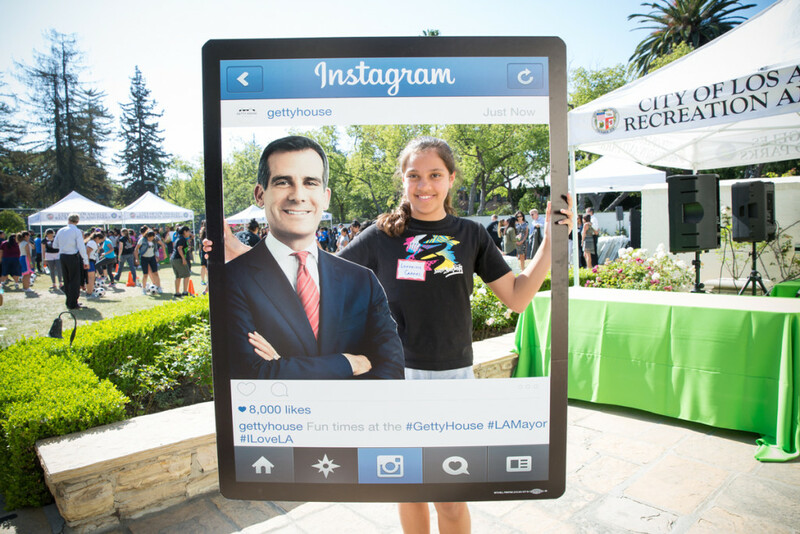 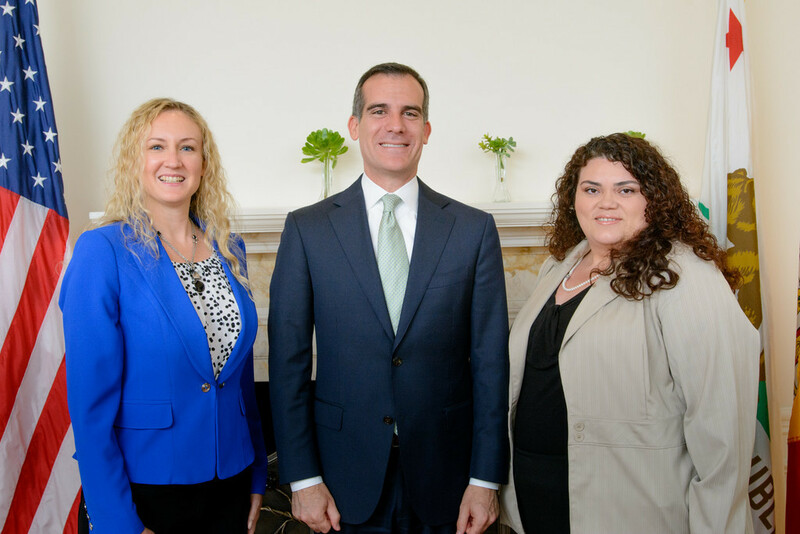 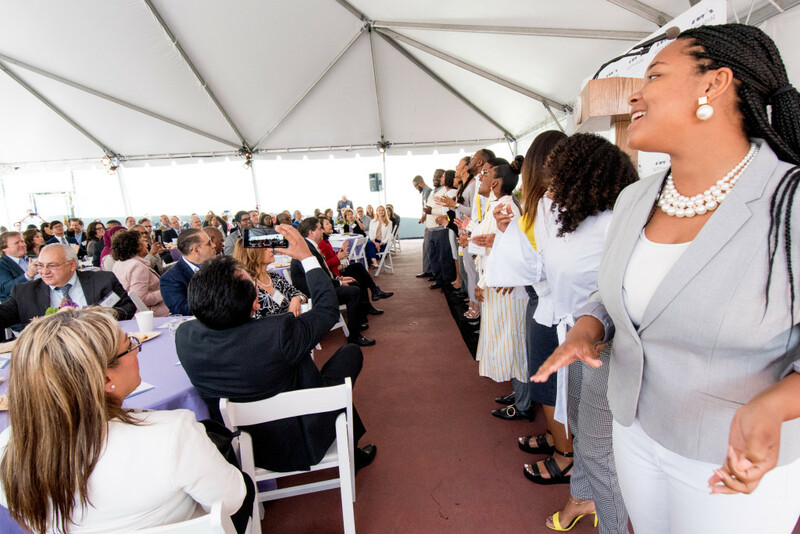 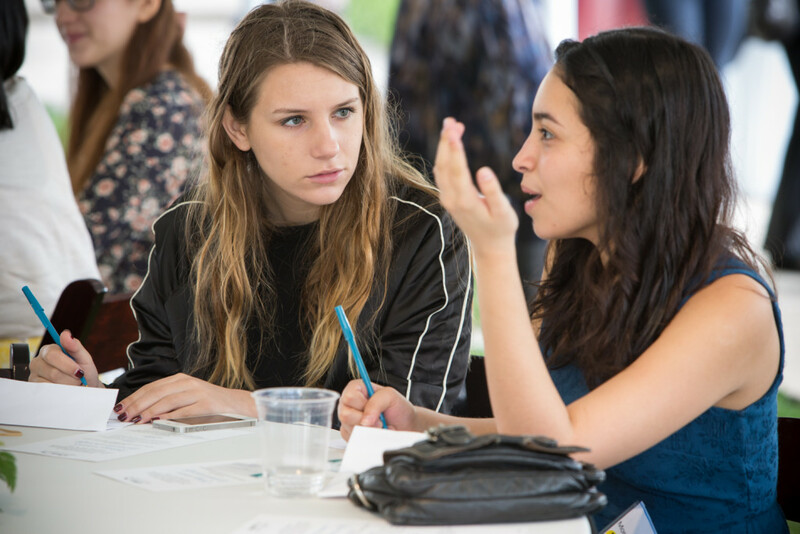 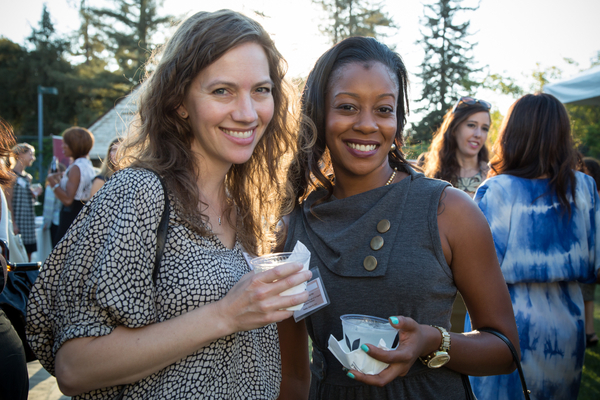 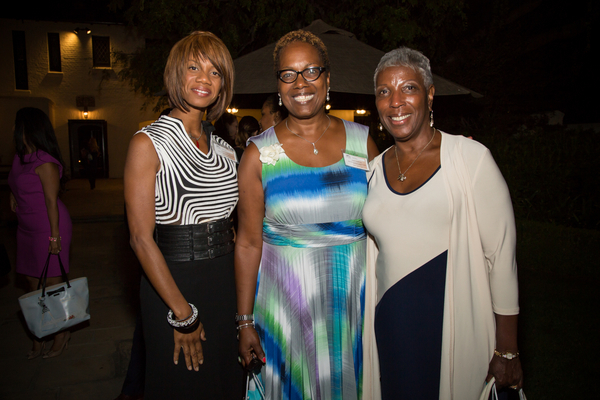 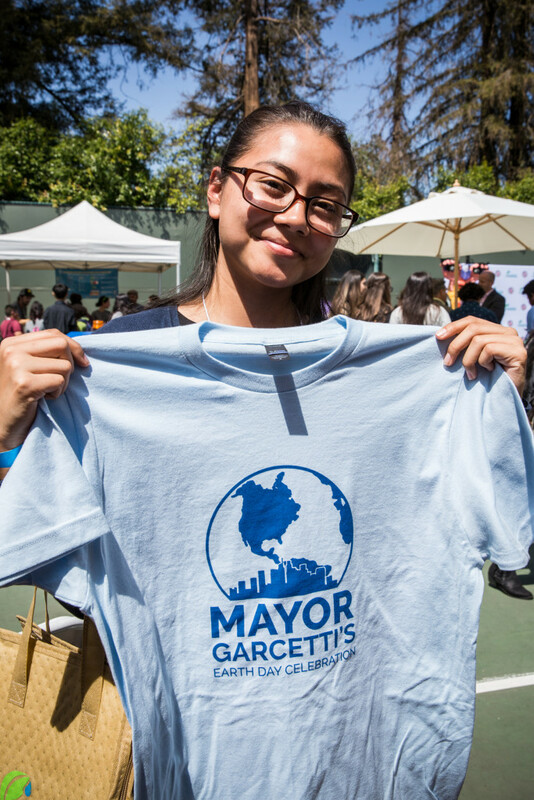 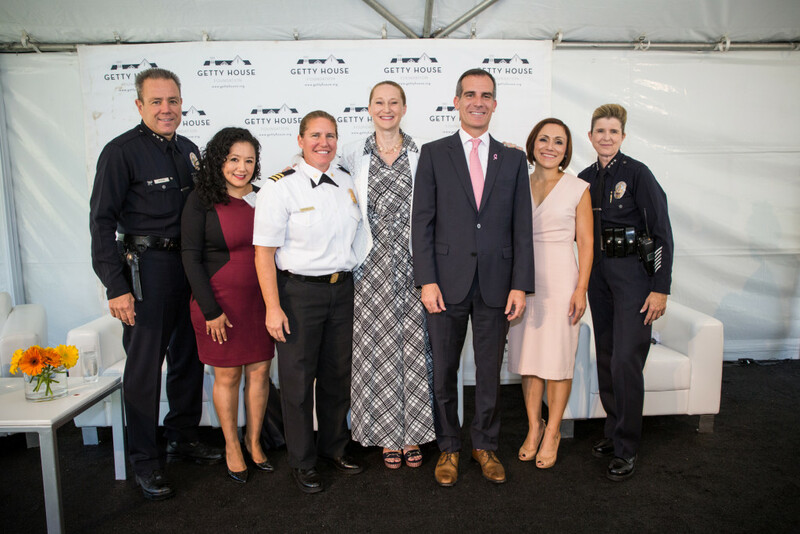 Mayor Garcetti, First Lady Amy Elaine Wakeland, and the Getty House Foundation Board of Directors brought together 150 women leaders working in various fields to teach leadership and networking skills to 150 young women from cross-sections of Los Angeles. 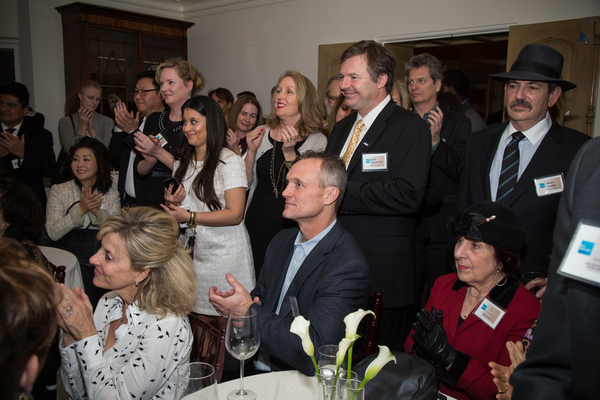 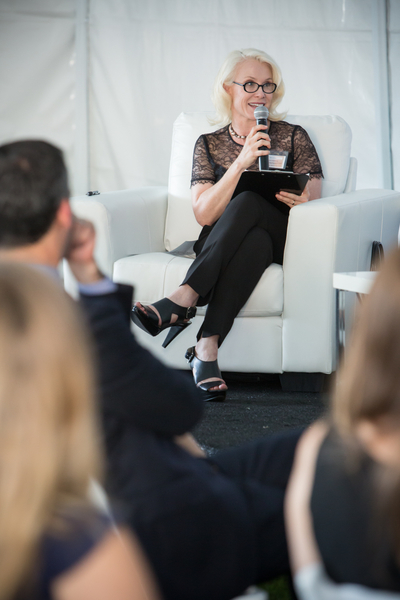 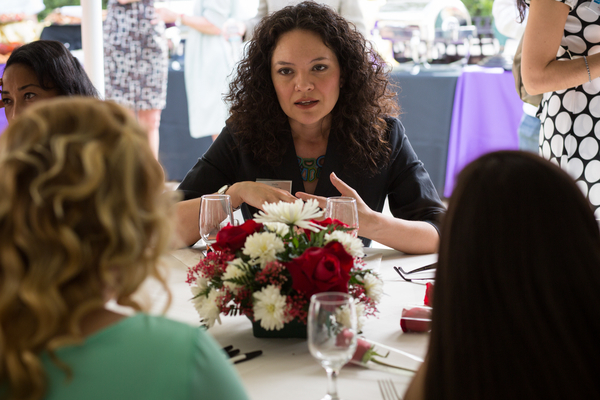 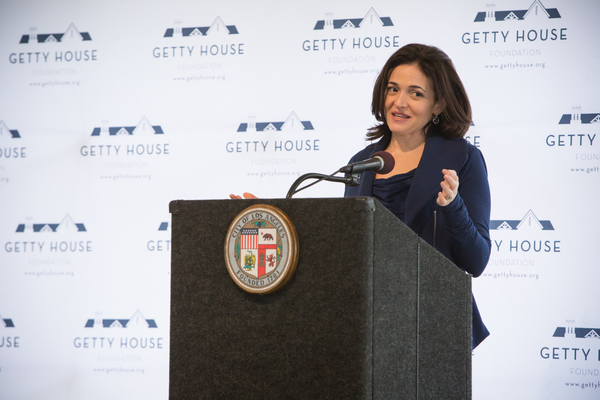 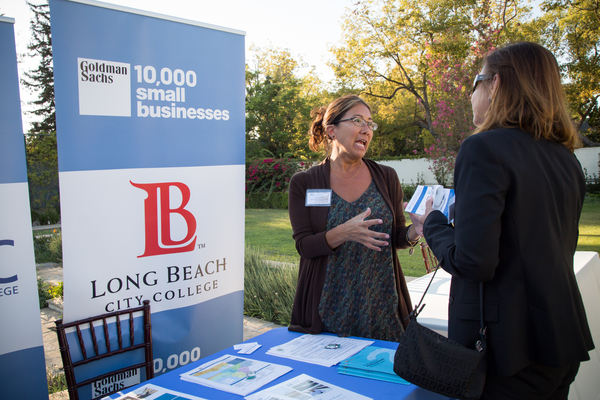 This inaugural event of the 2015 Women’s Leadership Series featured special guest speaker Facebook COO Sheryl Sandberg. 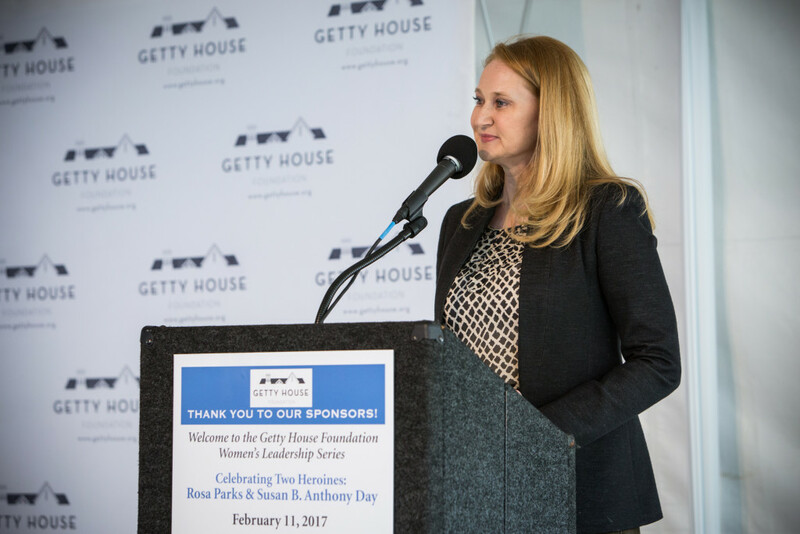 The Mayor and the First Lady hosted this event for the second year in honor of two historically renowned women leaders, Rosa Parks and Susan B. Anthony, both of whom have February birthdays. 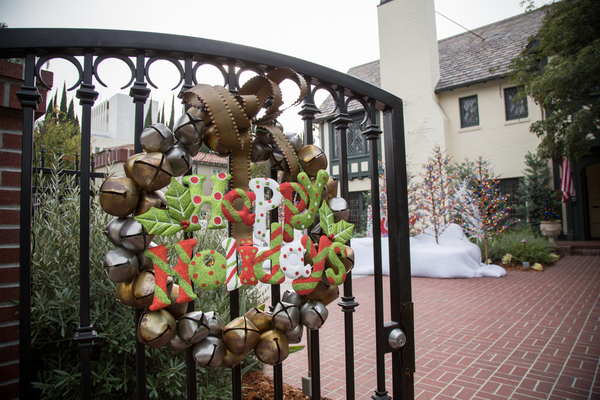 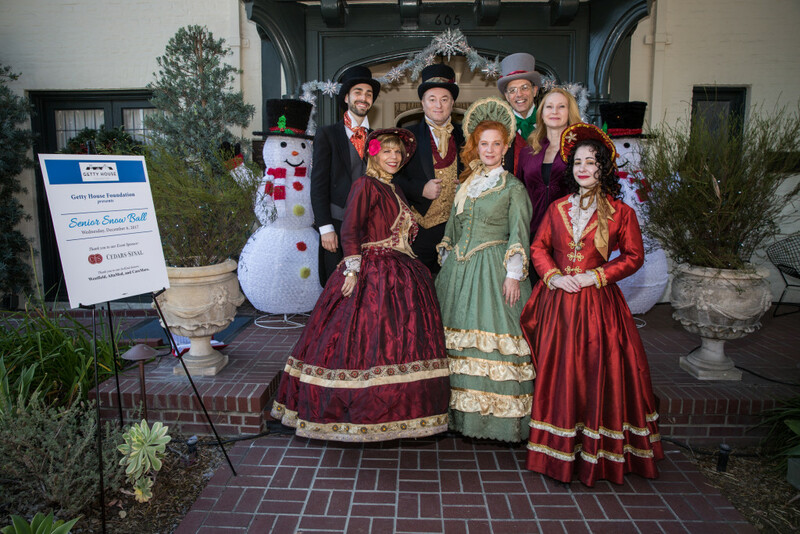 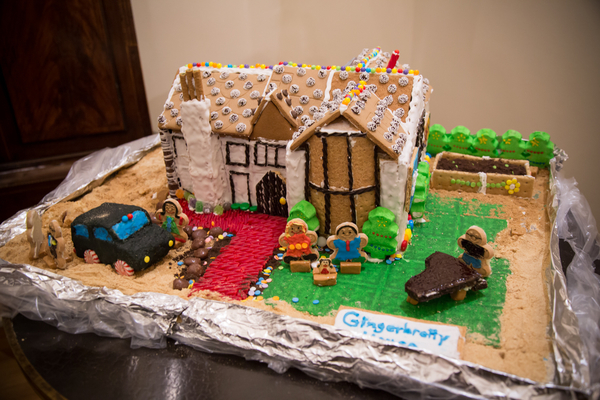 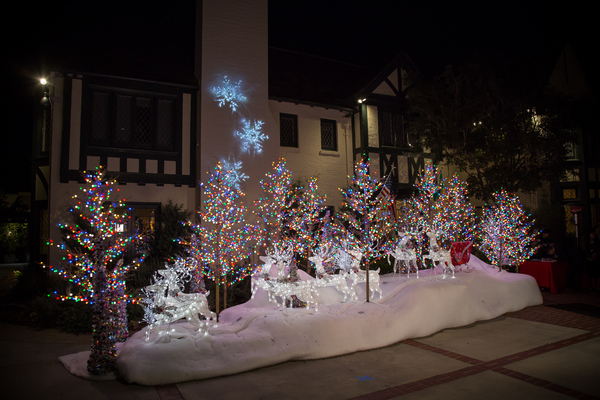 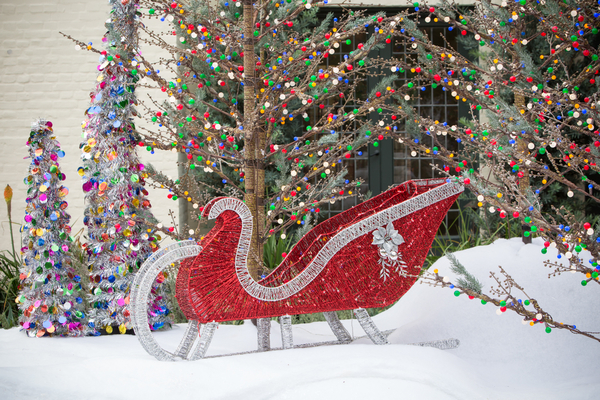 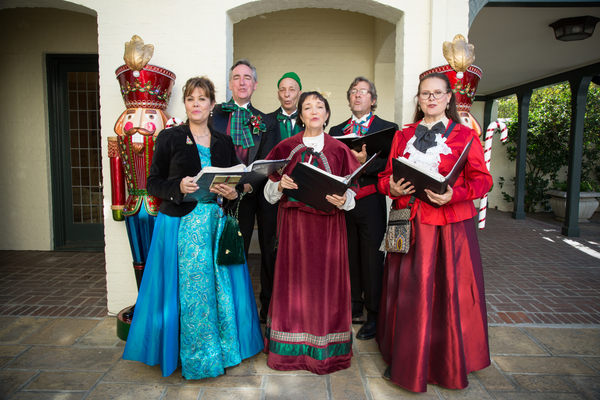 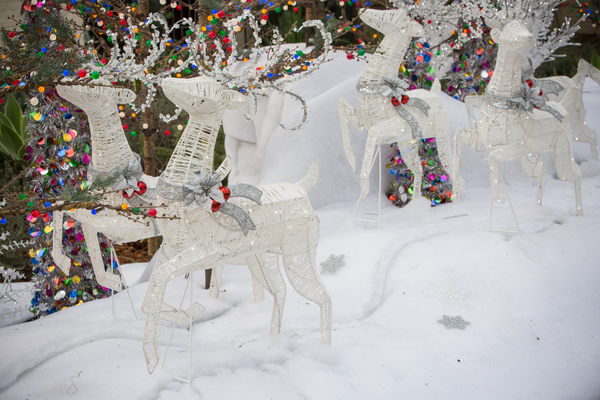 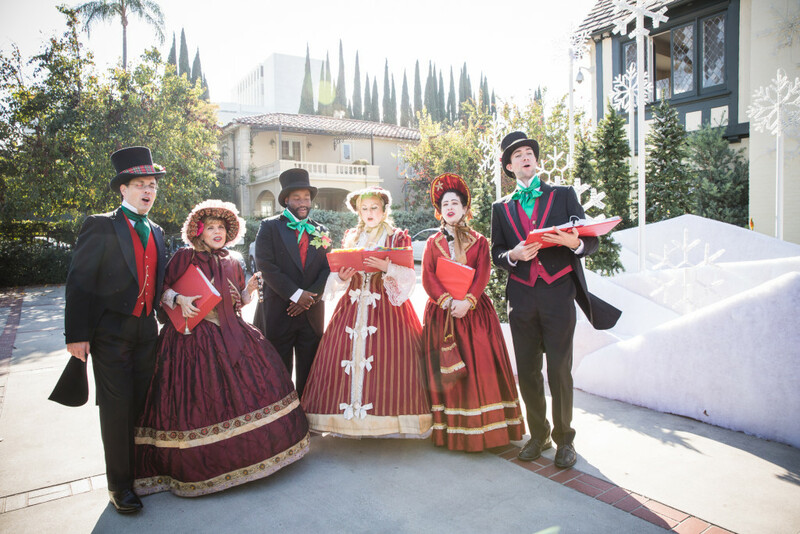 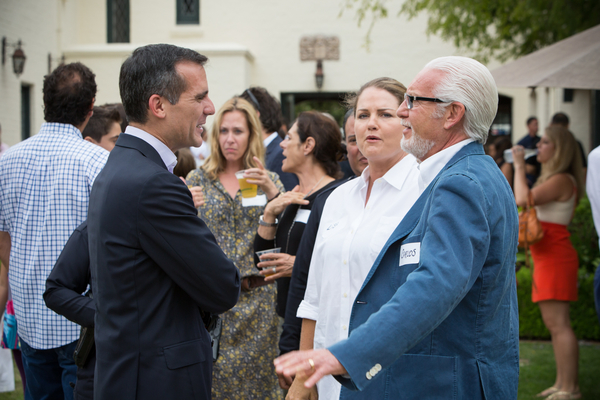 Mayor Garcetti, First Lady Amy Elaine Wakeland, and the Getty House Foundation Board of Directors welcomed friends of Getty House to show off the holiday decorations. 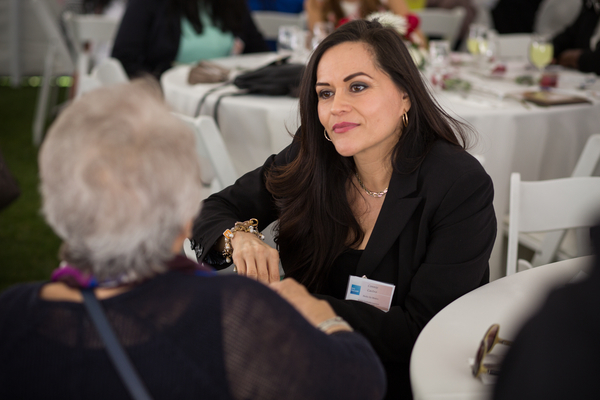 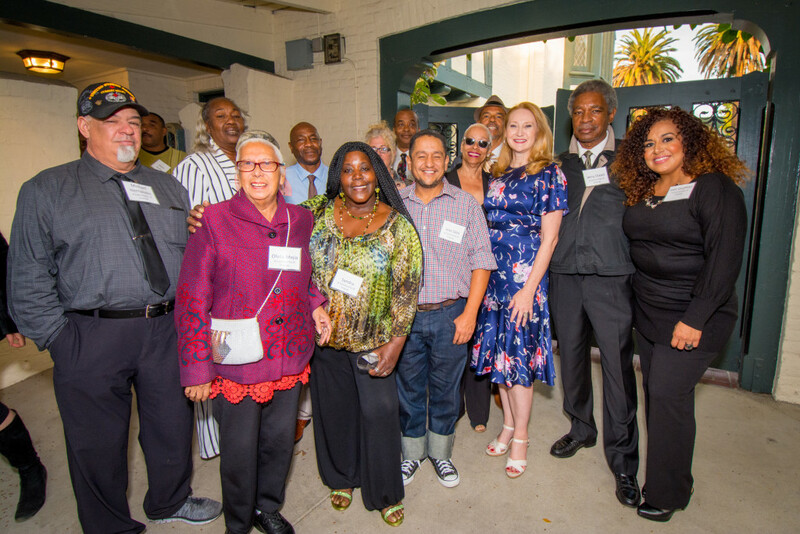 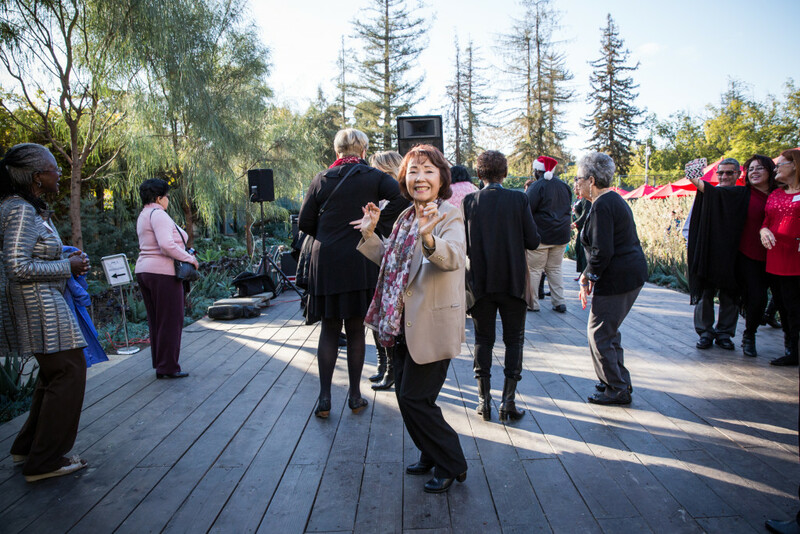 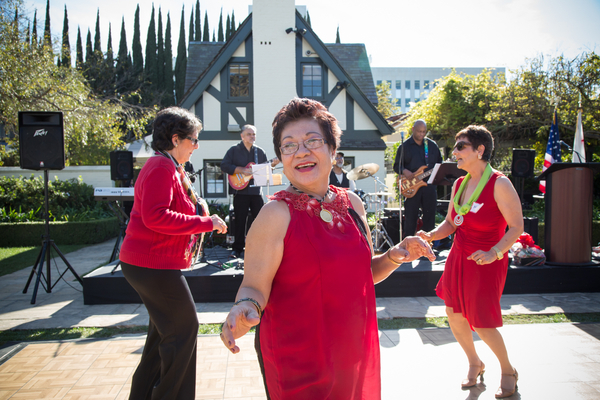 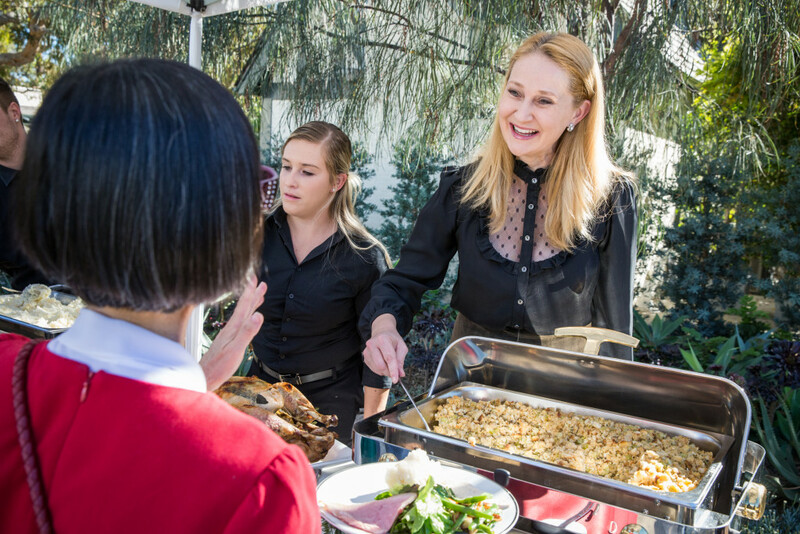 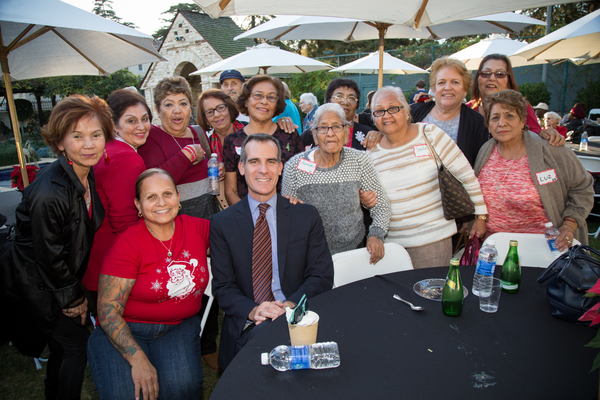 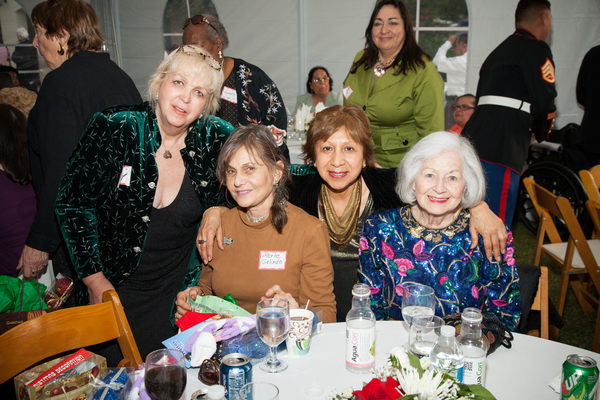 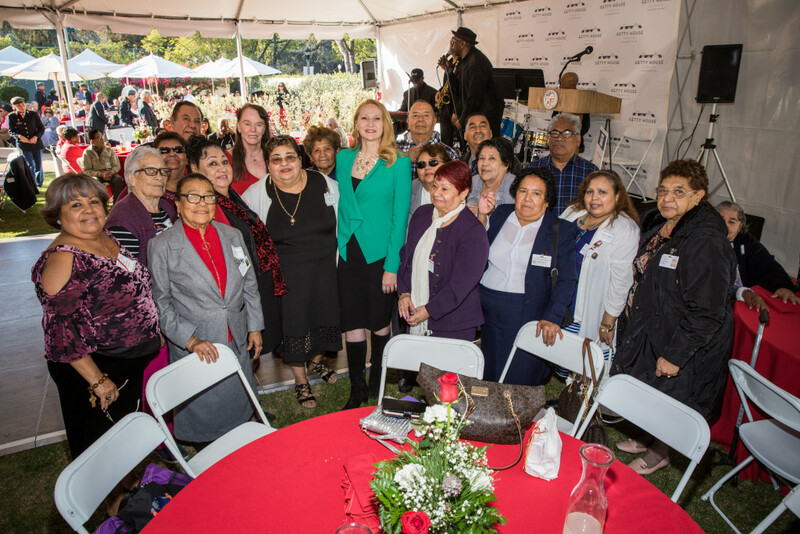 Mayor Eric Garcetti, First Lady Amy Elaine Wakeland, and the Getty House Foundation Board of Directors welcomed guests from senior centers throughout the City of Los Angeles to a holiday celebration honoring their work in the community. 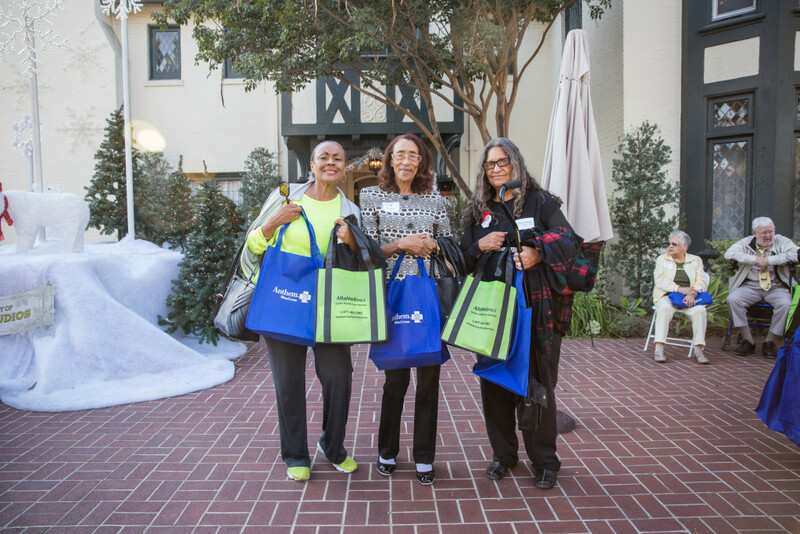 The volunteer docents of City Hall docents were honored and given gifts. 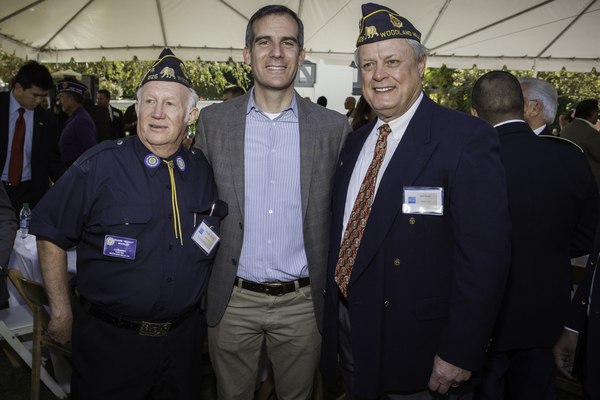 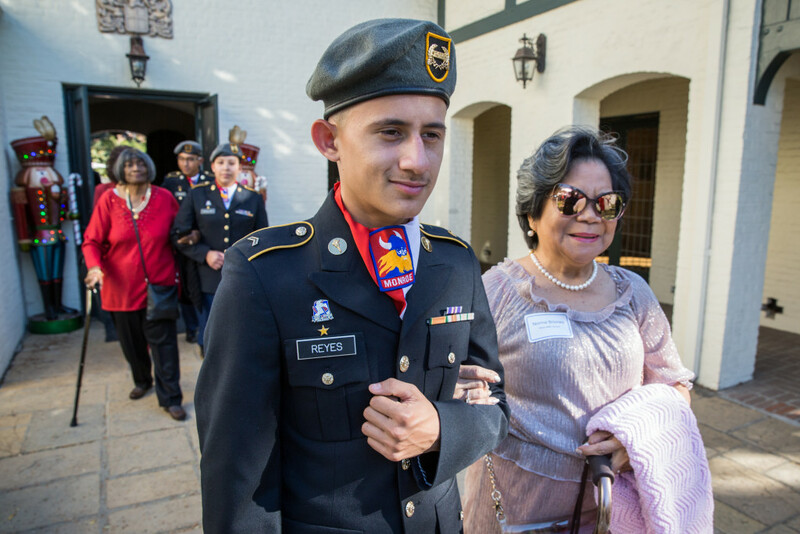 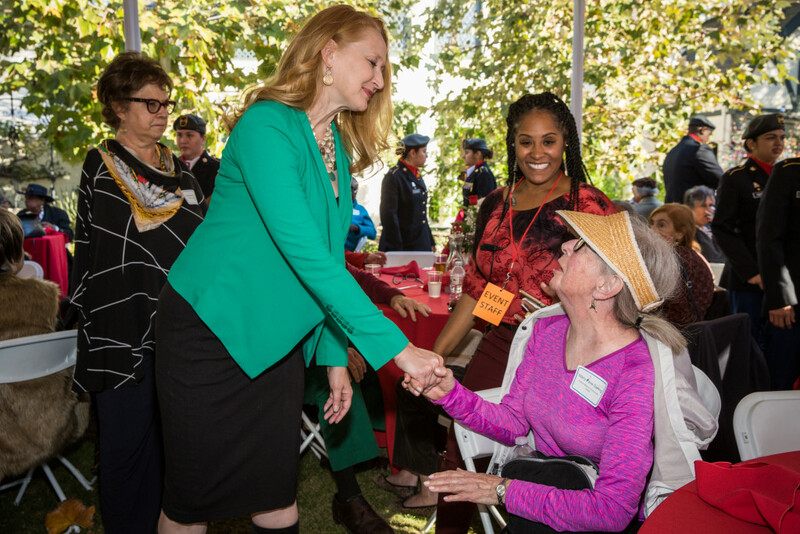 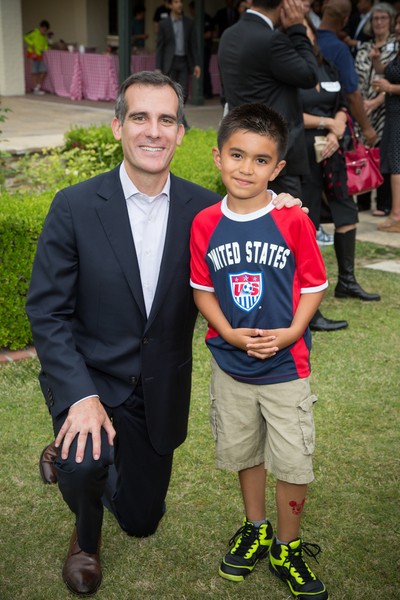 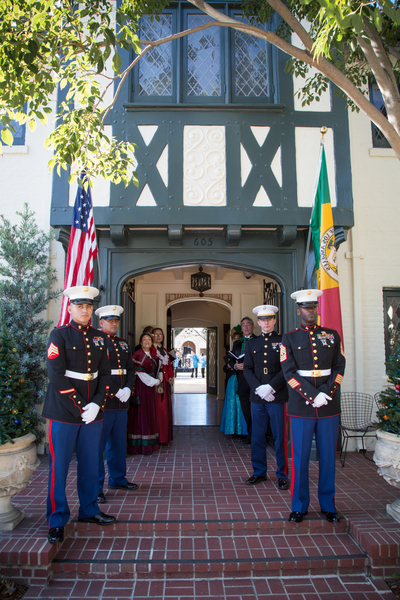 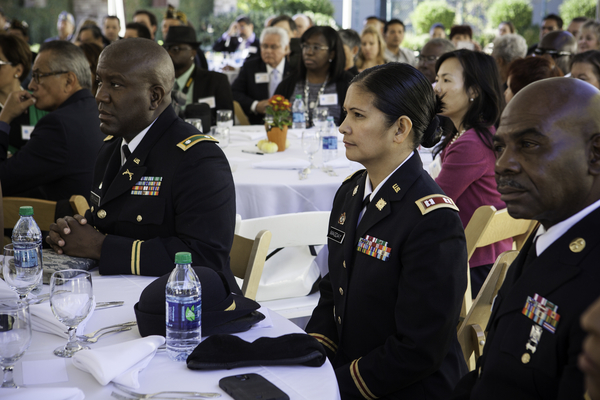 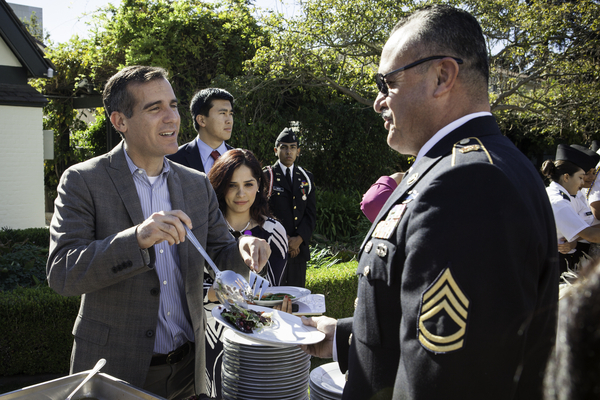 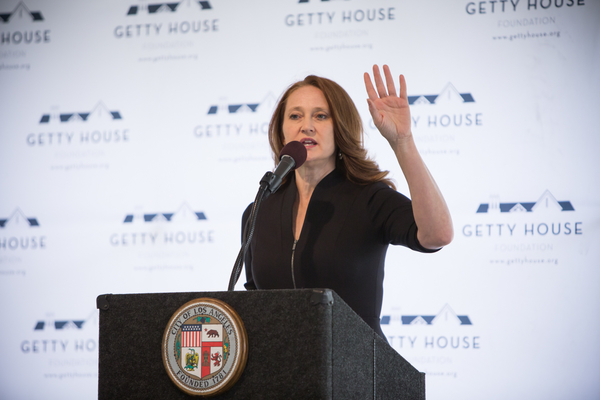 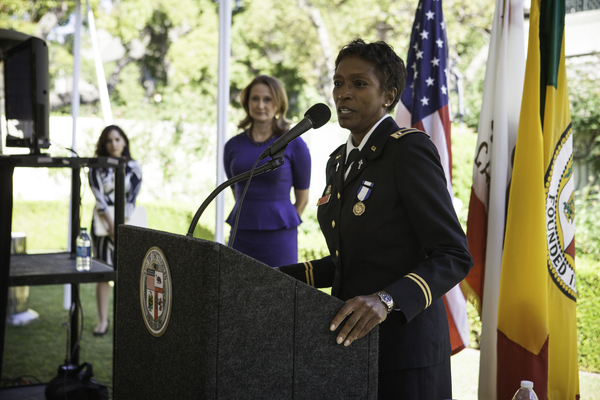 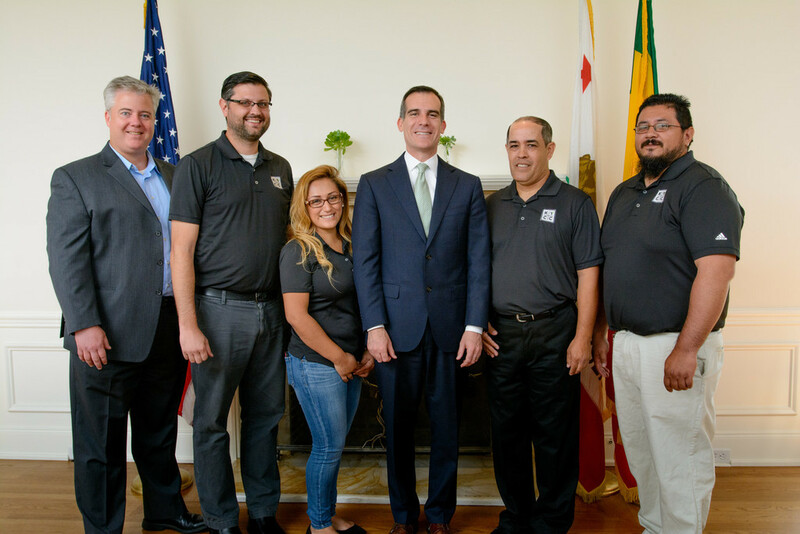 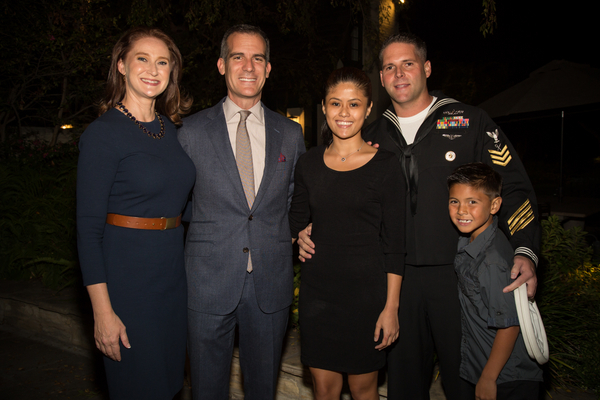 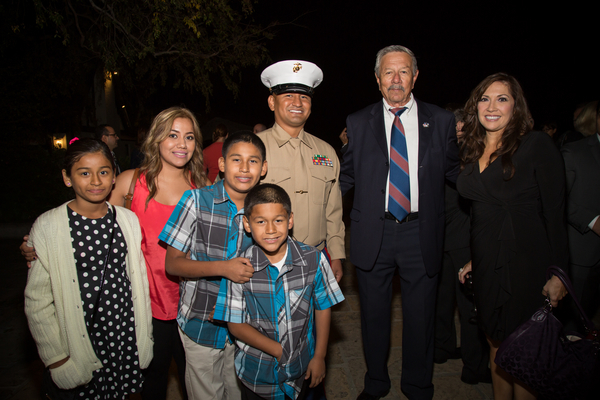 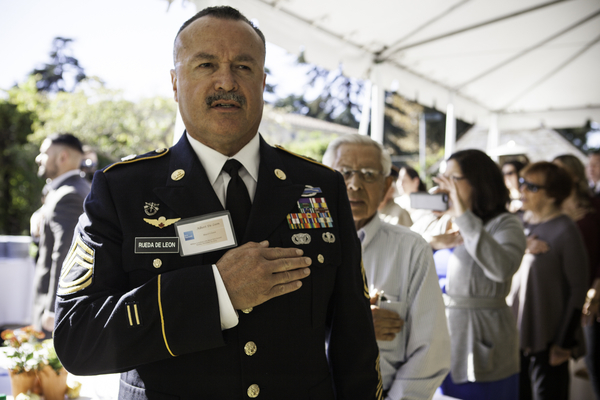 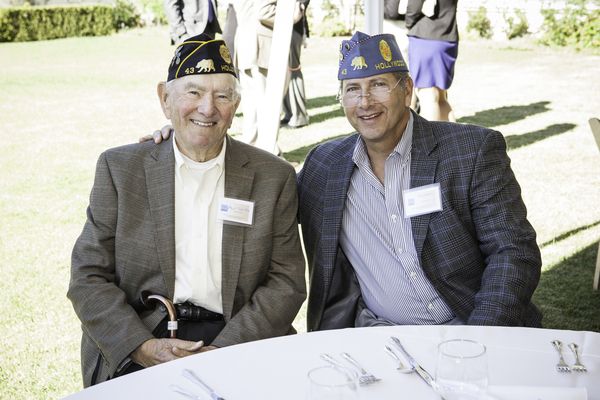 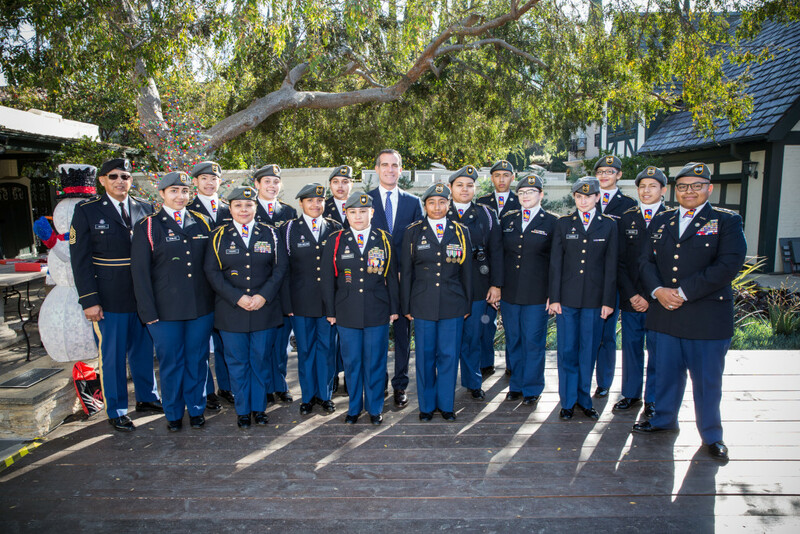 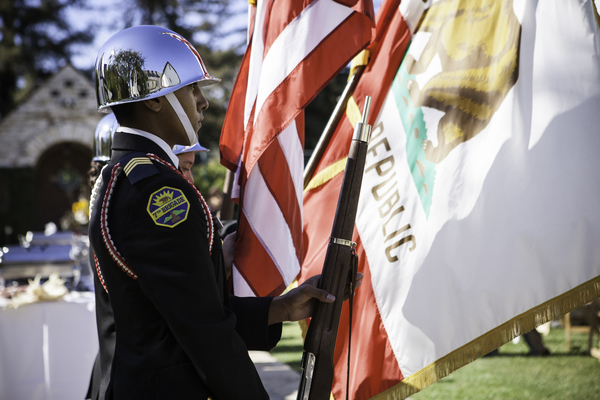 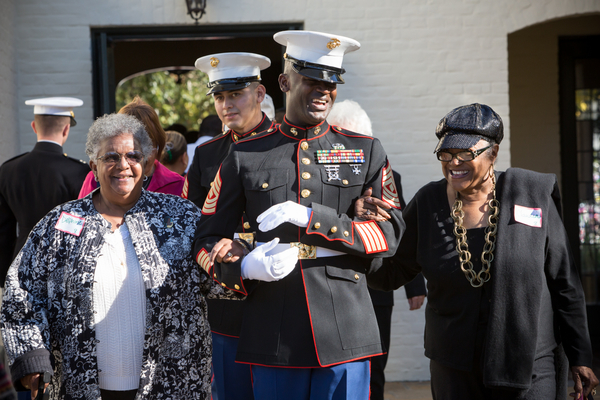 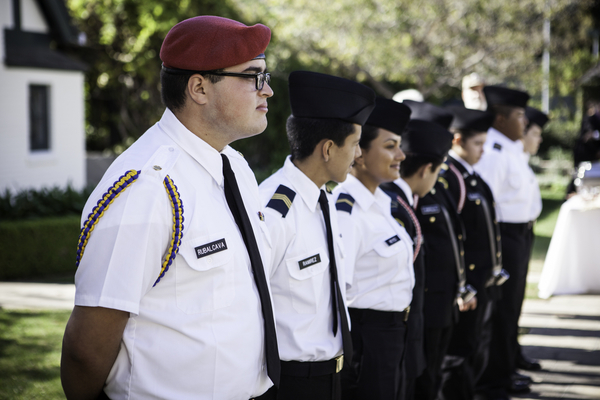 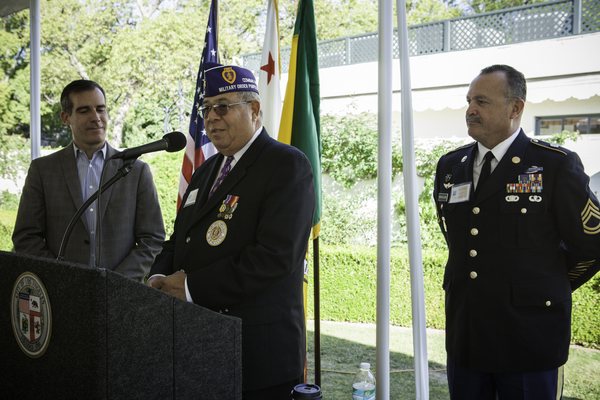 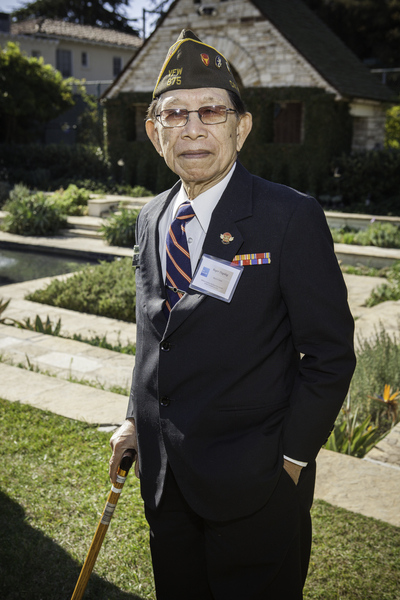 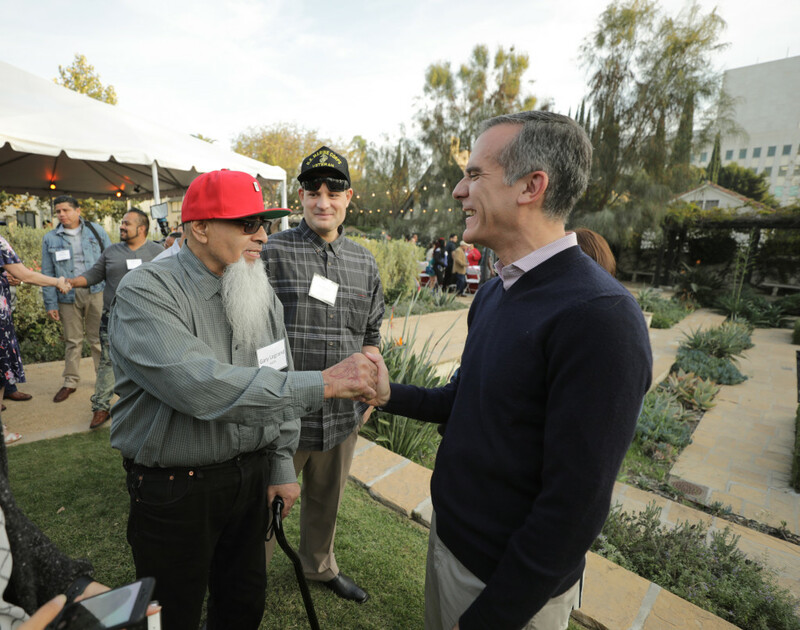 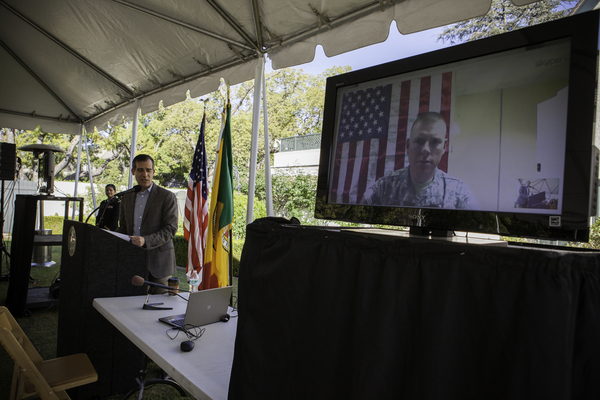 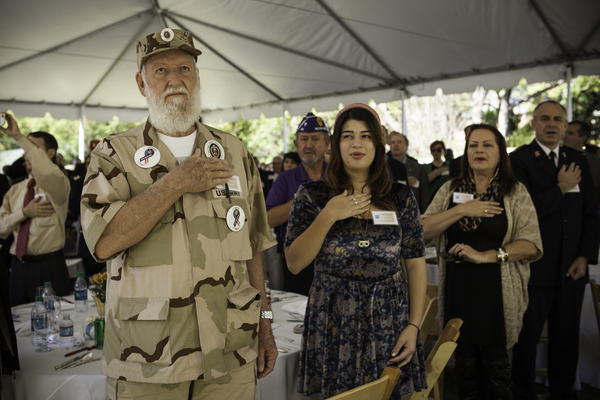 Mayor Garcetti, First Lady Amy Elaine Wakeland, and the Getty House Board of Directors welcomed Los Angeles veterans and their families to the Getty House to honor their service. 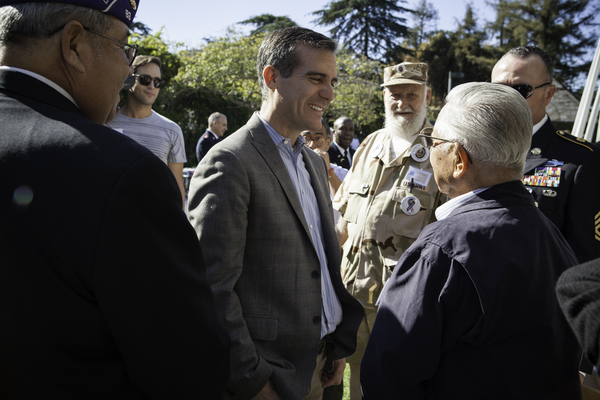 The Mayor spoke about the efforts of his office to end homelessness among veterans. 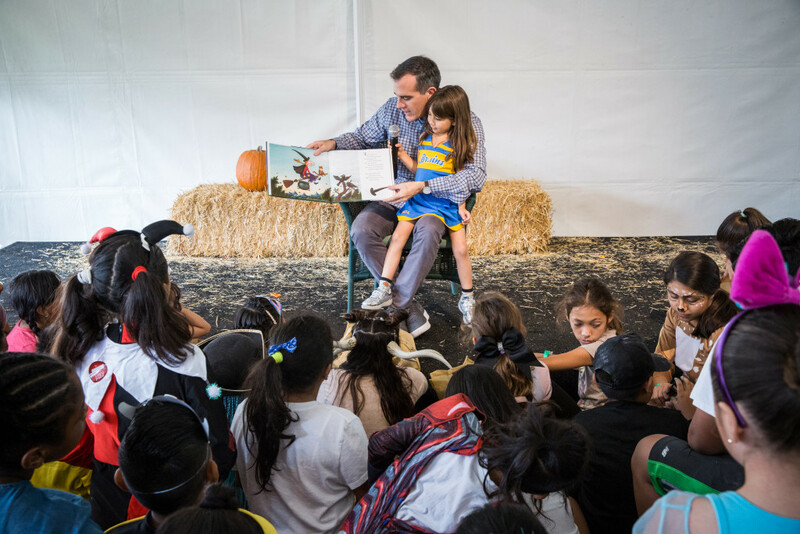 Mayor Eric Garcetti, First Lady Amy Elaine Wakeland, and the Getty House Foundation Board of Directors hosted neighborhood children, foster children, children in homeless transitional housing, and other youths from across the city to Getty House for safe and fun Halloween activities. 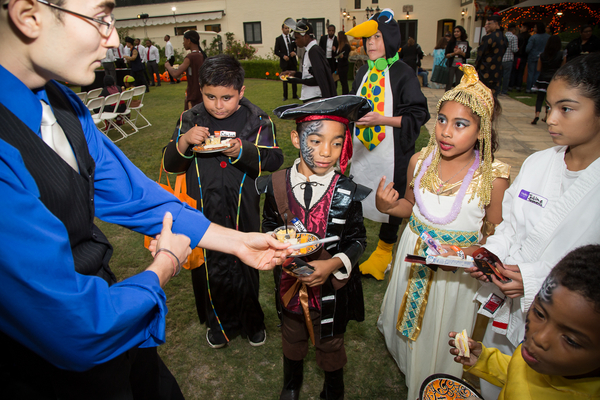 The children and their families were treated to master face painters, magicians, musical performances, games, and story time with the Mayor. 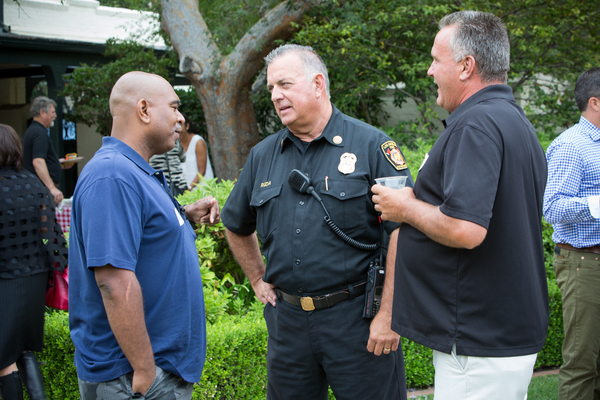 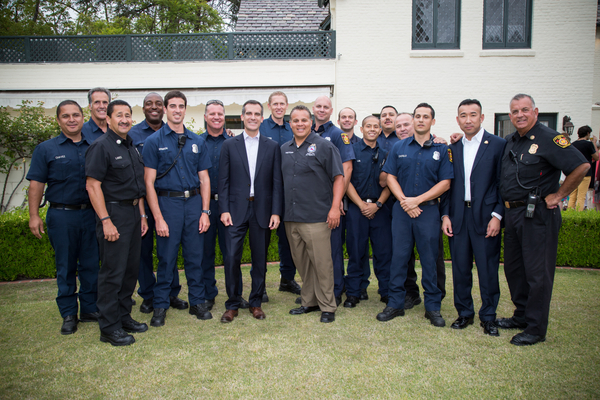 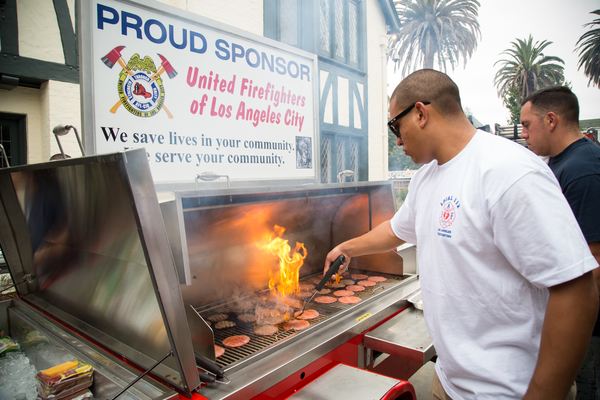 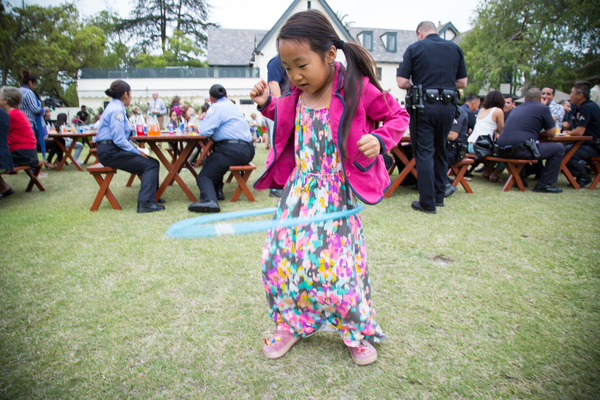 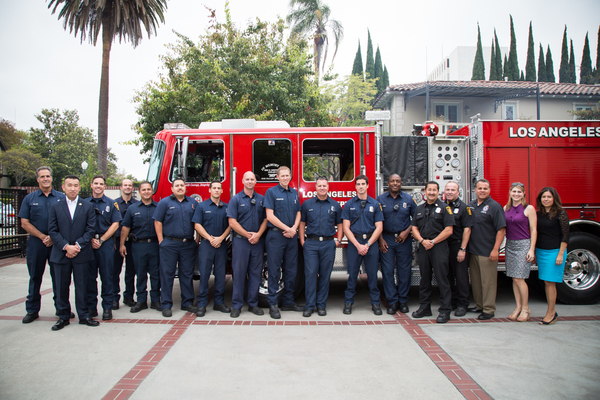 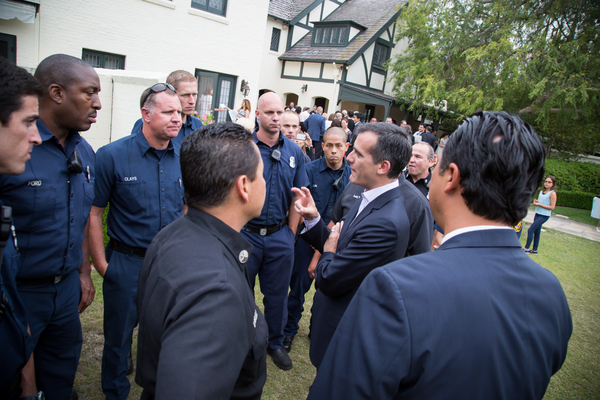 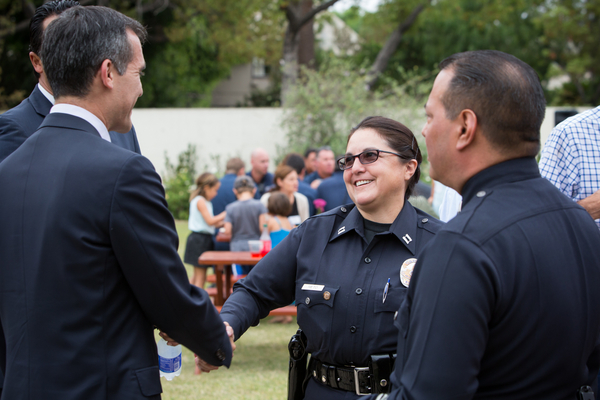 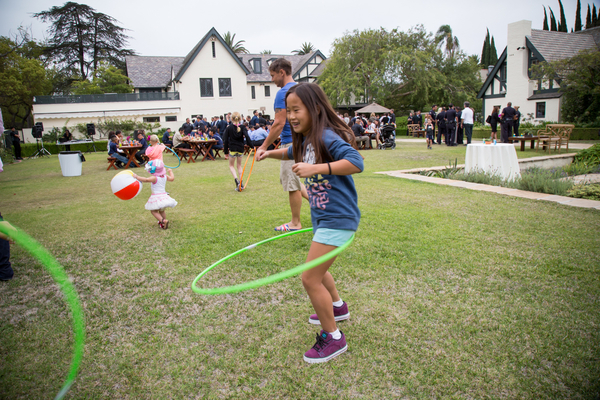 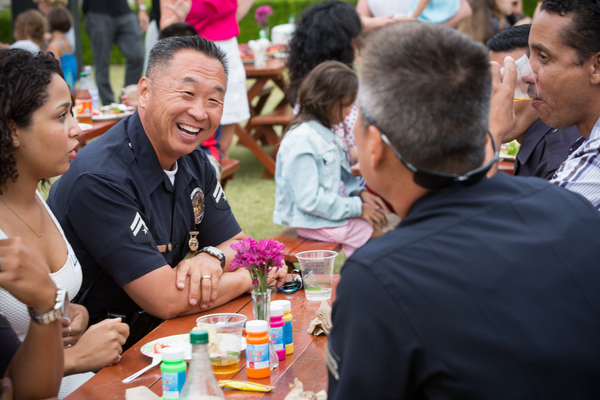 Mayor Garcetti, First Lady Amy Elaine Wakeland, and the Getty House Foundation Board of Directors welcomed neighbors of Getty House and local police officers and firefighters to a barbecue to celebrate the summer and to thank them for their hospitality in Windsor Square. 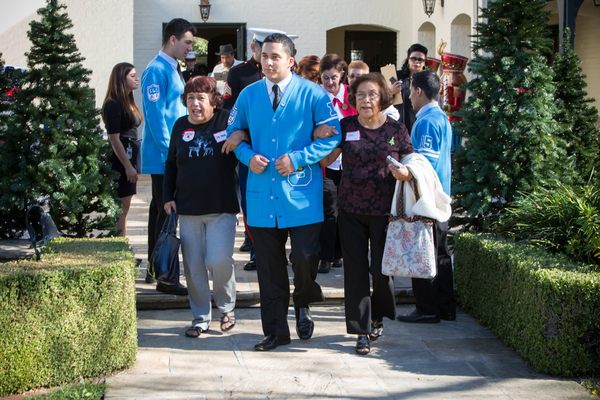 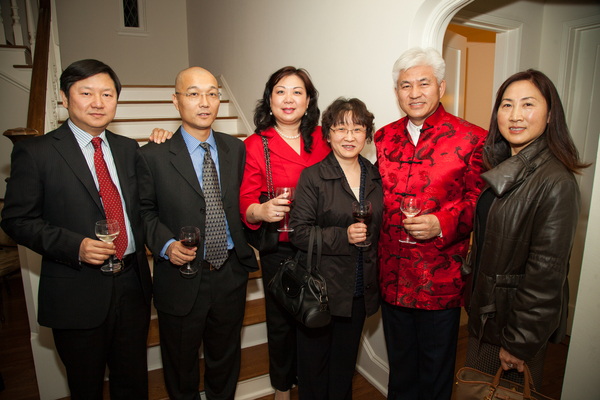 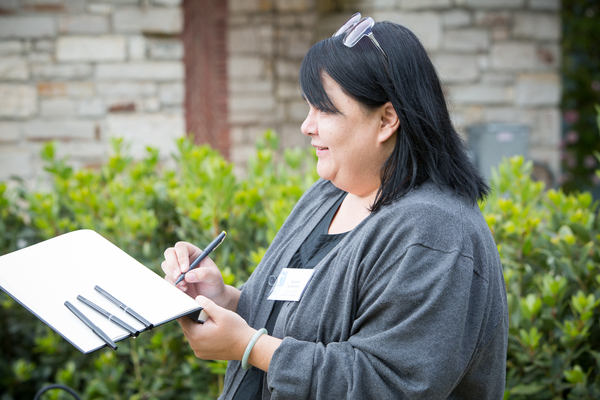 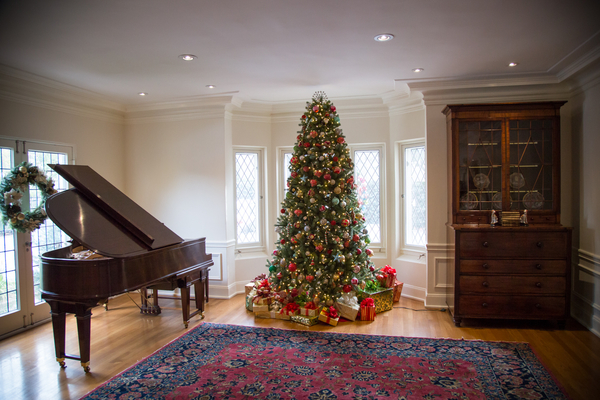 For some of the neighbors, it was the first time that they and their families were able to tour the house and grounds. 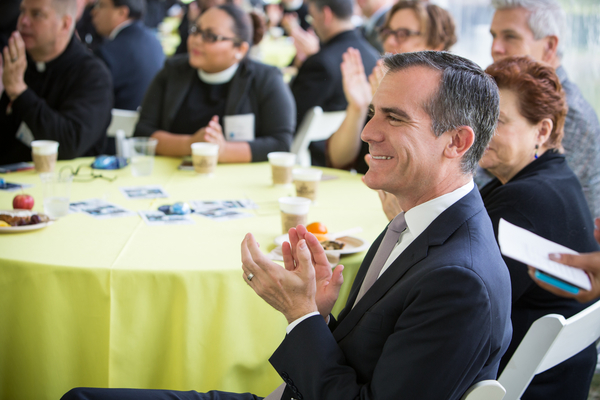 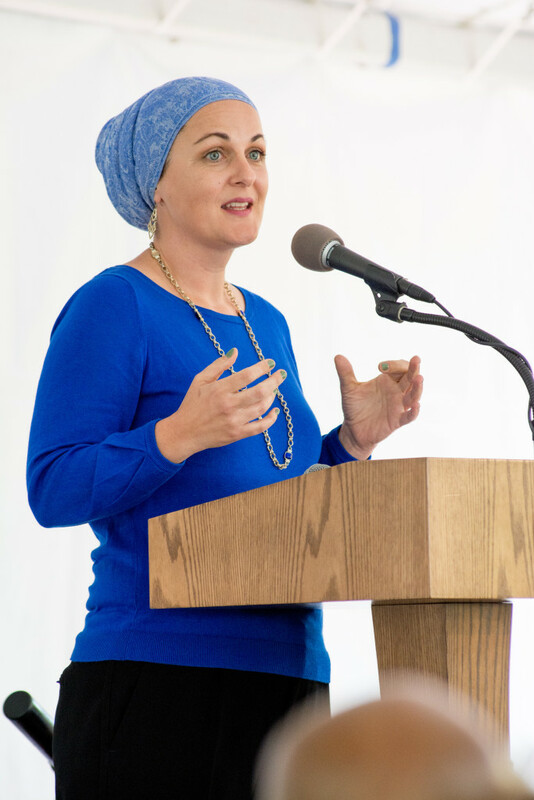 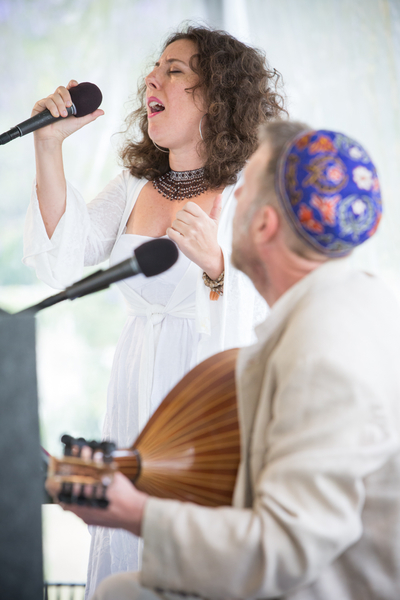 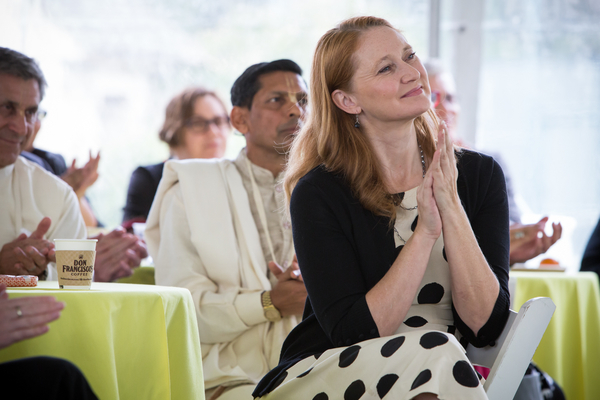 Mayor Eric Garcetti and First Lady Amy Elaine Wakeland celebrated this annual day of national observance at a breakfast that brought together leaders from a diverse cross section of faith traditions in Los Angeles. 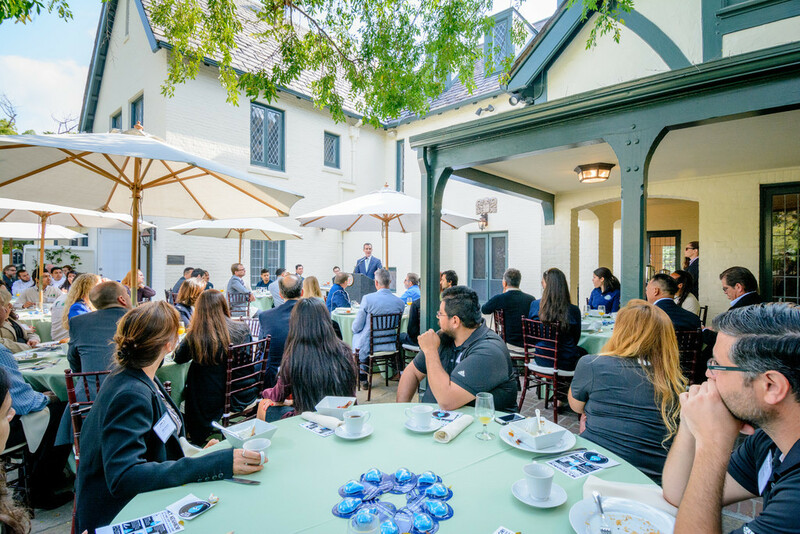 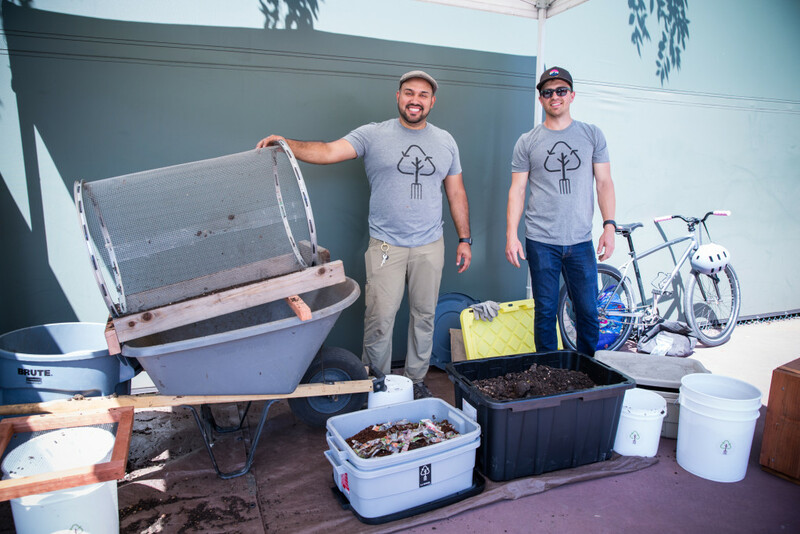 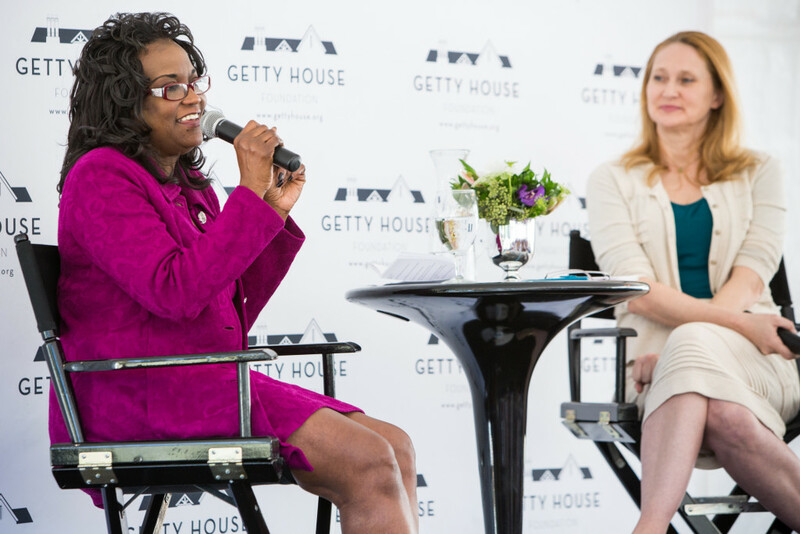 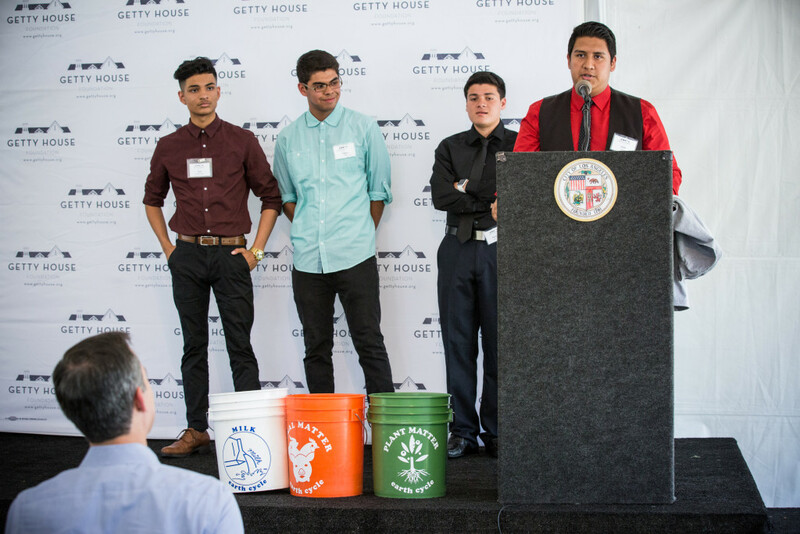 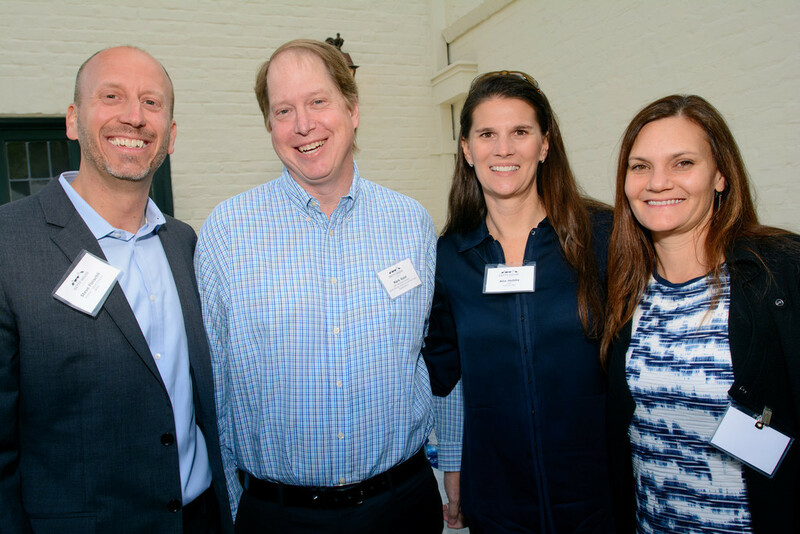 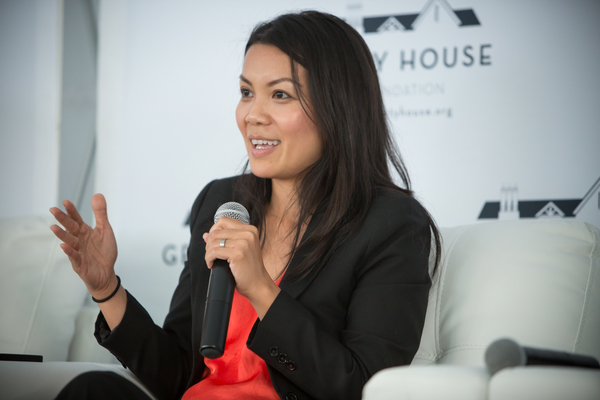 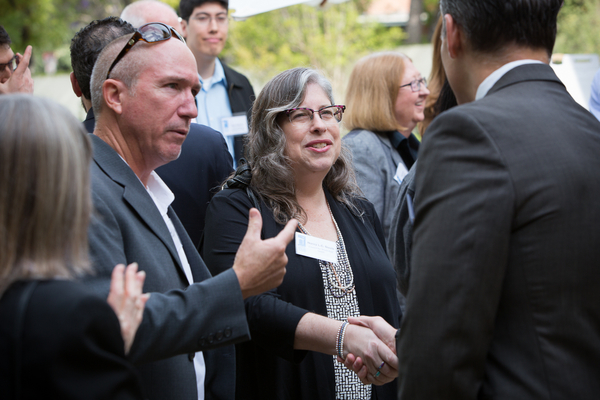 The Getty House Foundation hosted a breakfast for environmental and conservation advocates to discuss future sustainability programming in both the Mayor’s office and at Getty House. 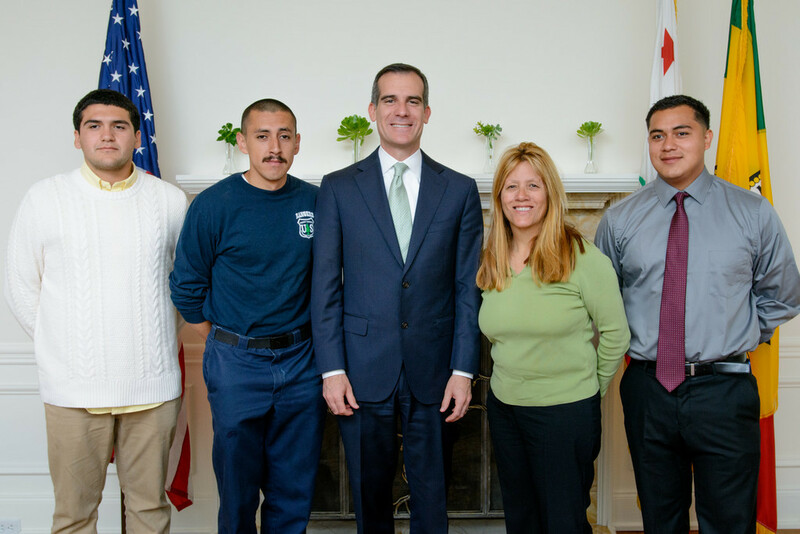 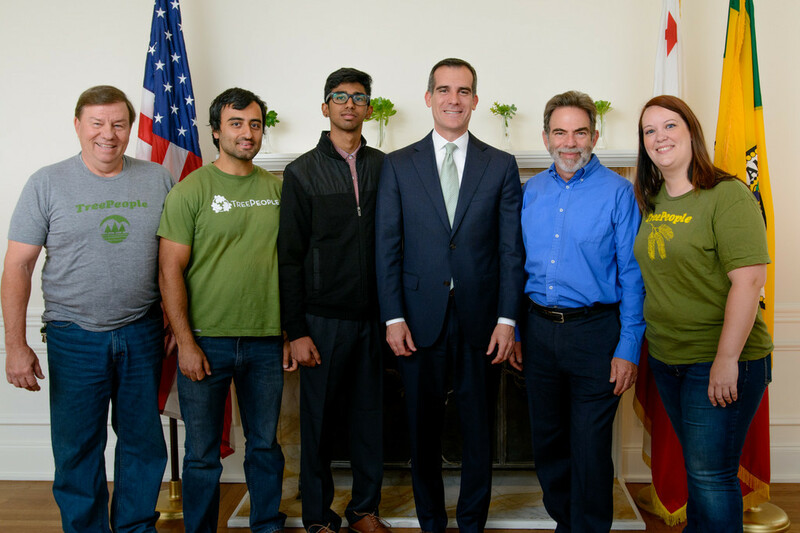 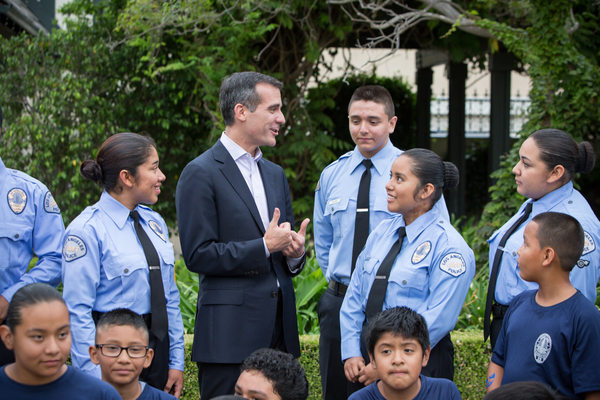 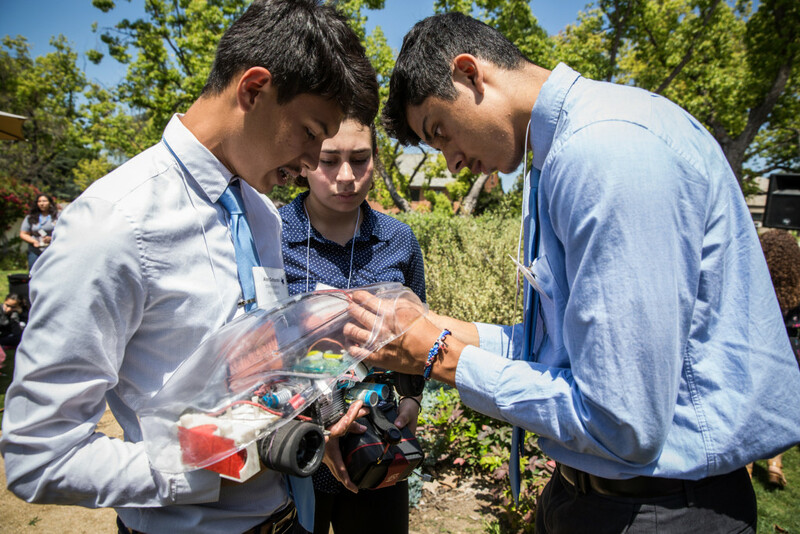 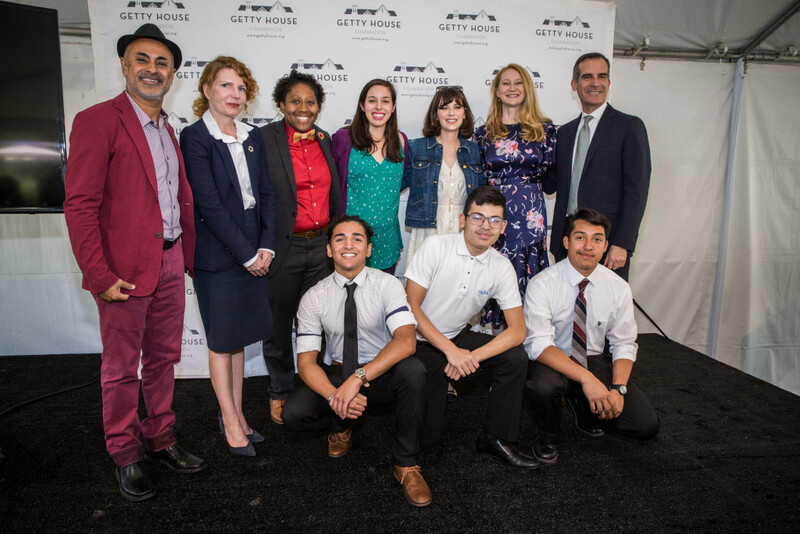 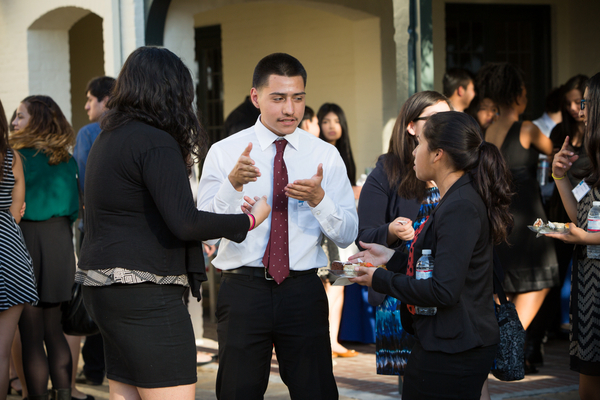 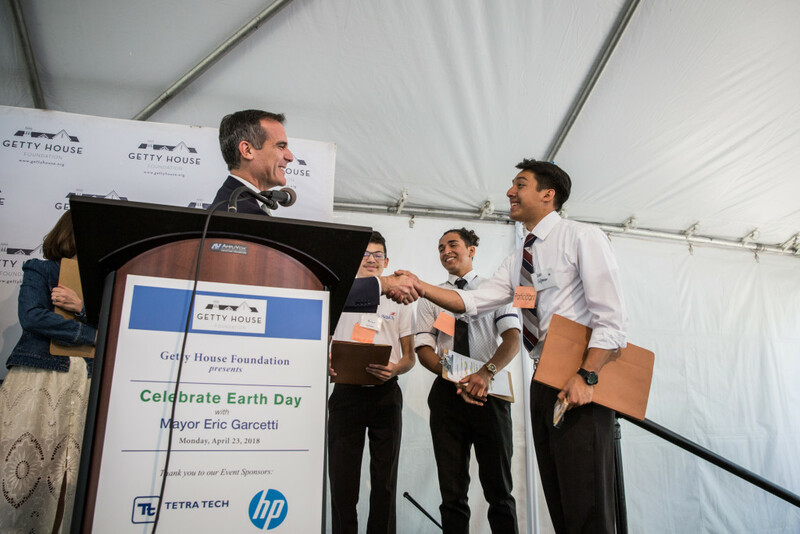 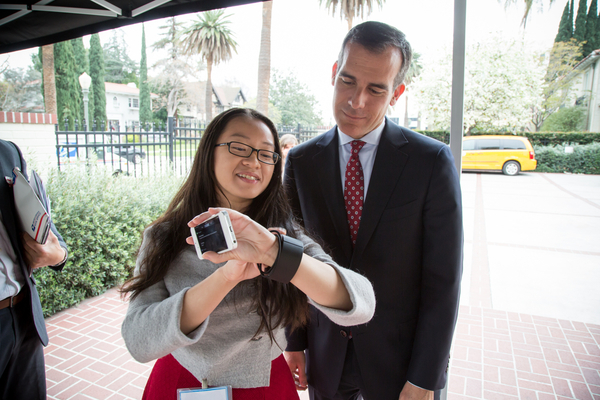 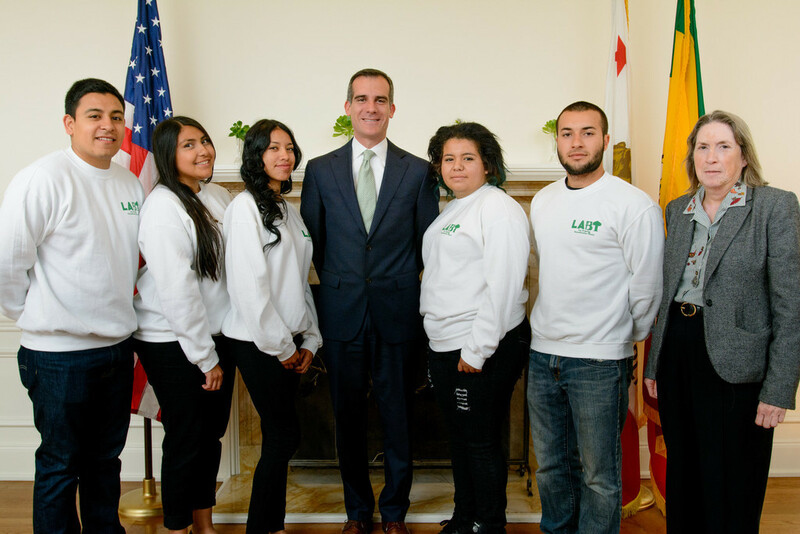 Mayor Garcetti hosted top students from public high schools across the city to learn about post-secondary education opportunities and to hear from a panel of L.A. civic leaders about their education experiences. 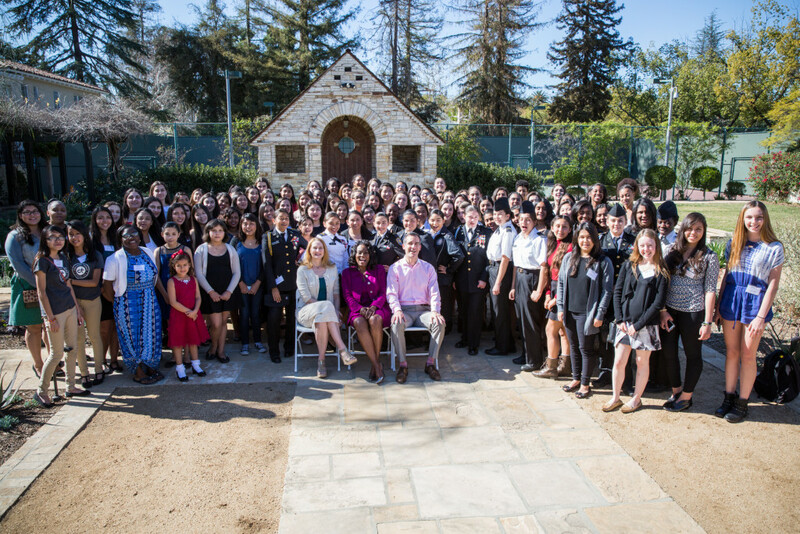 In honor of both Rosa Parks and Susan B. Anthony’s birthdays, the Getty House Foundation Board of Directors, in collaboration with Mayor Eric Garcetti and First Lady Amy Elaine Wakeland, hosted a mentoring luncheon for public high school students from diverse parts of Los Angeles to network with accomplished professional women. 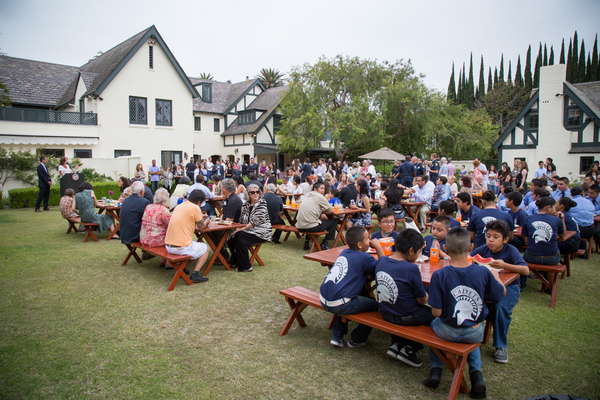 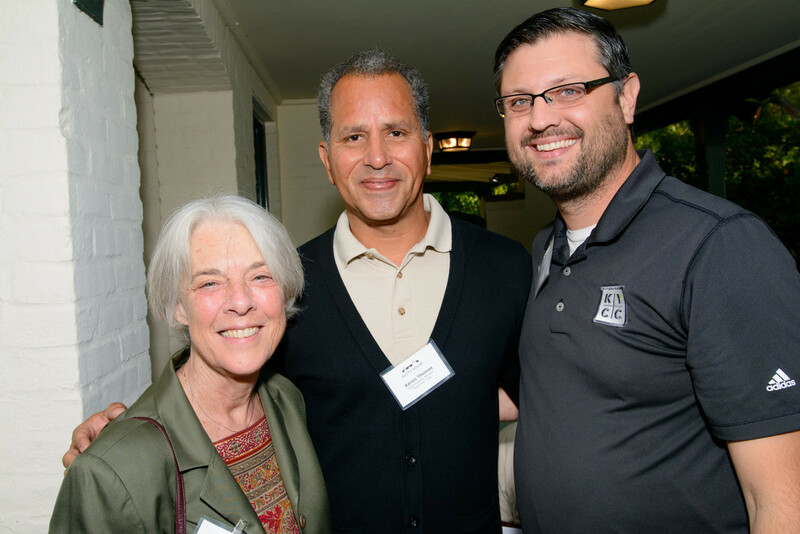 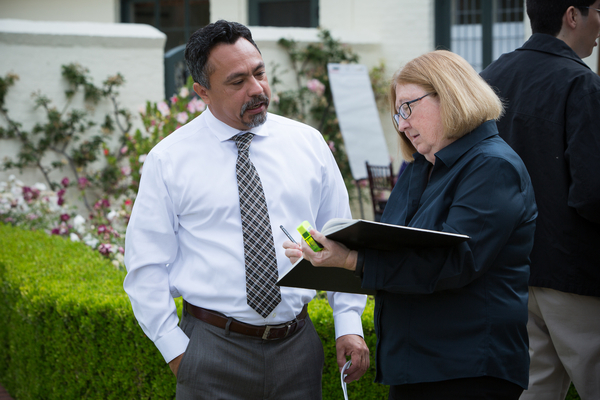 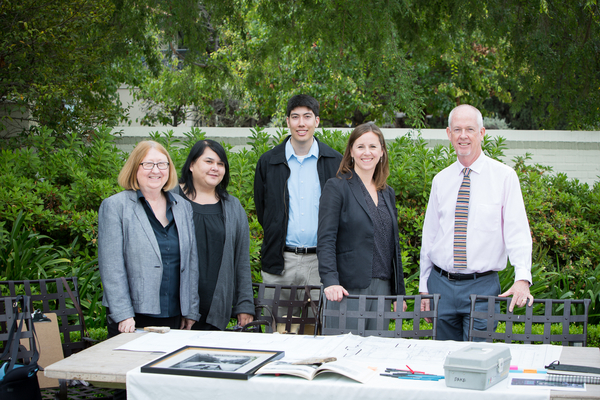 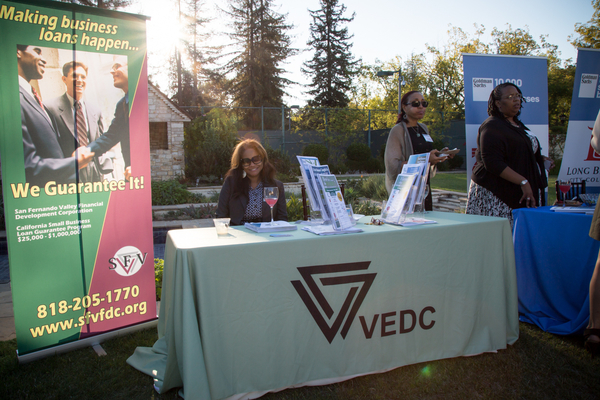 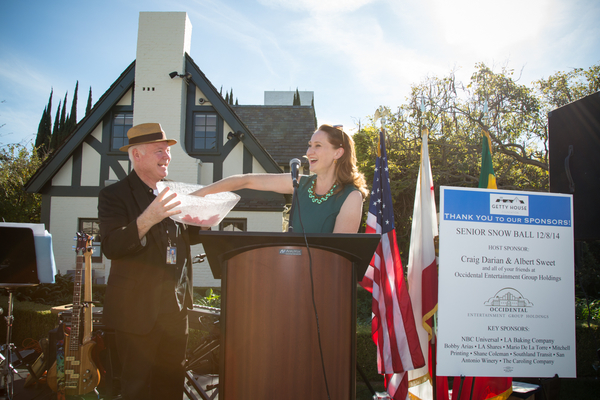 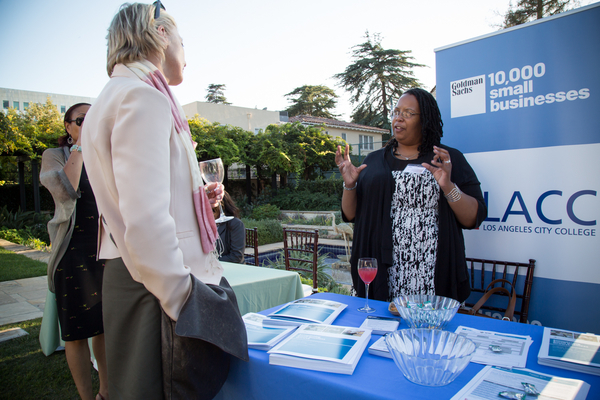 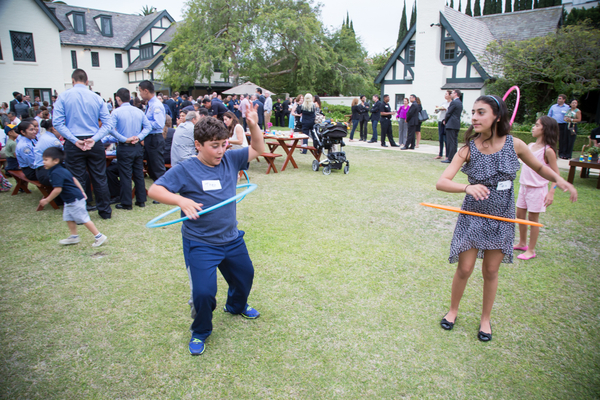 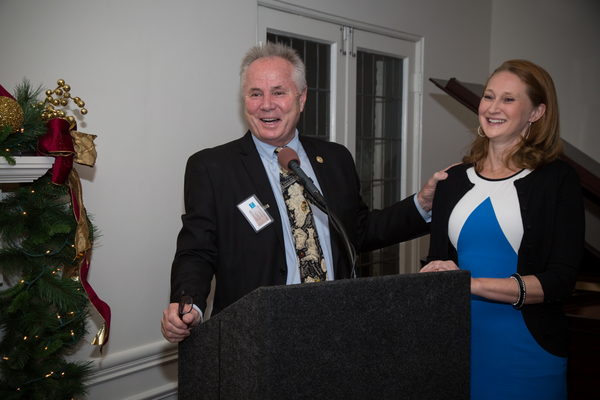 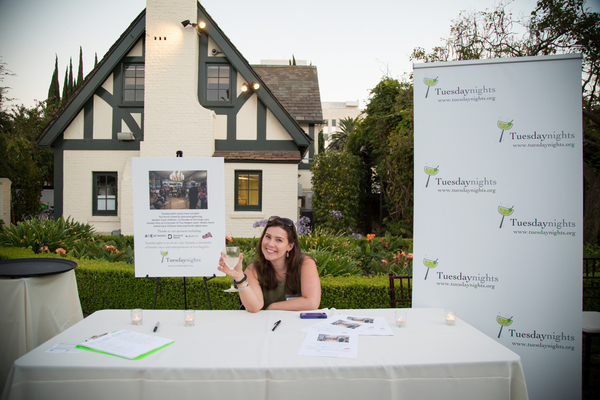 Co-hosted by Councilmember Tom LaBonge, who represents the Windsor Square neighborhood in which Getty House is located, this event brought together leaders from the surrounding neighborhoods to welcome the First Family to Windsor Square. 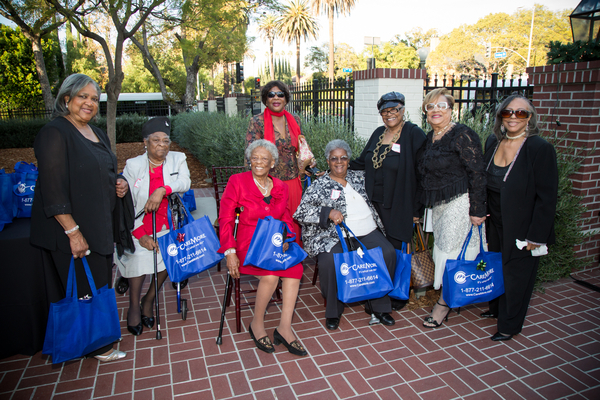 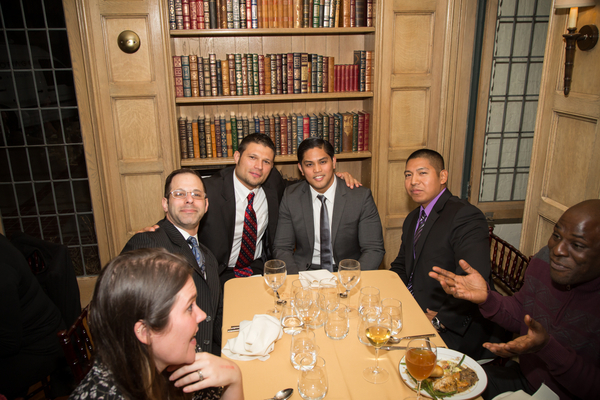 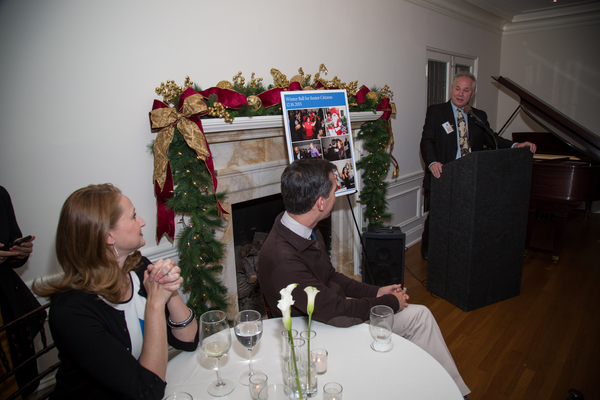 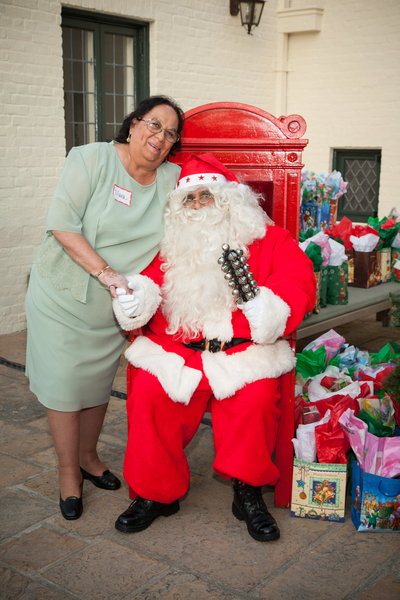 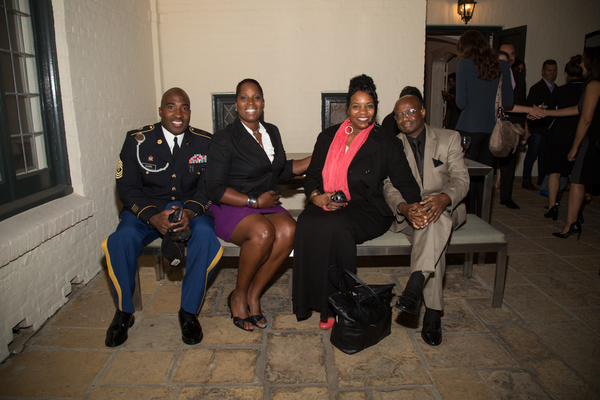 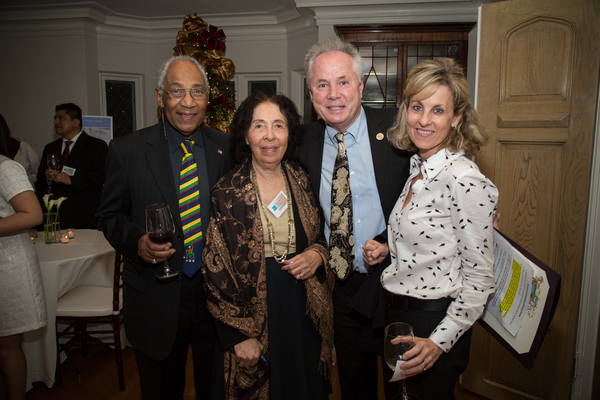 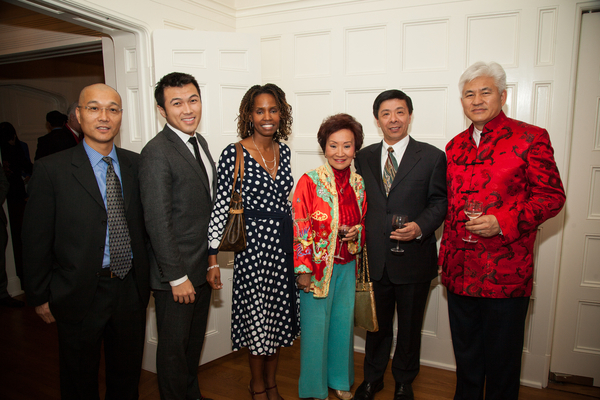 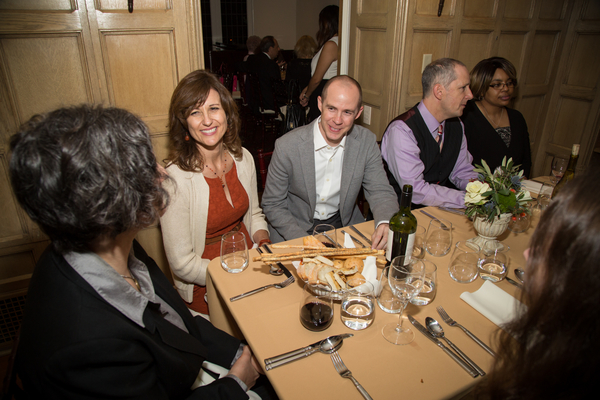 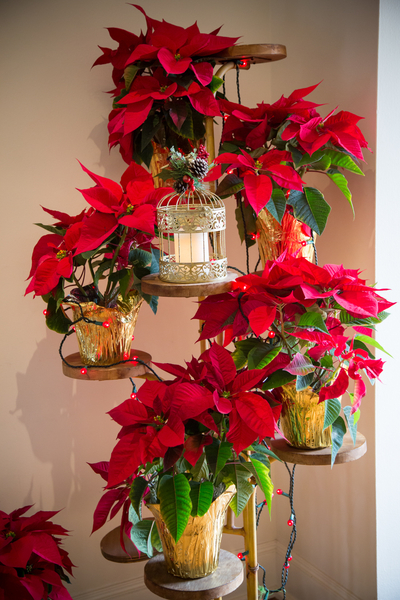 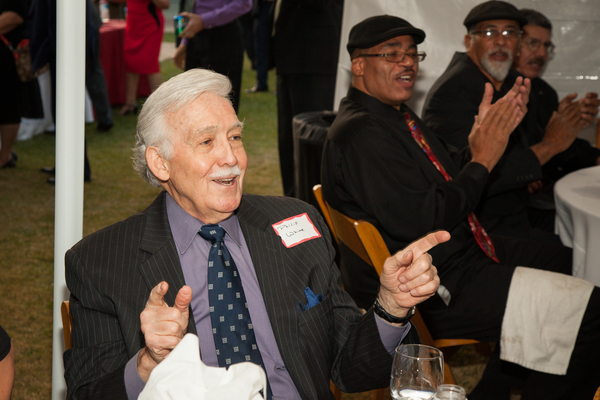 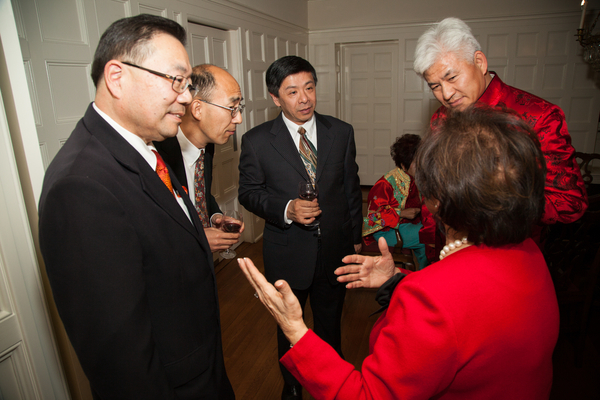 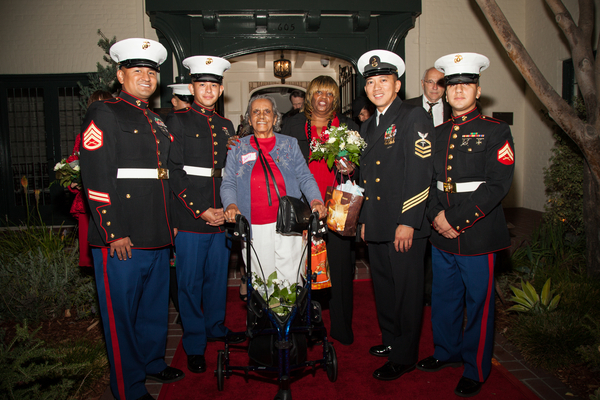 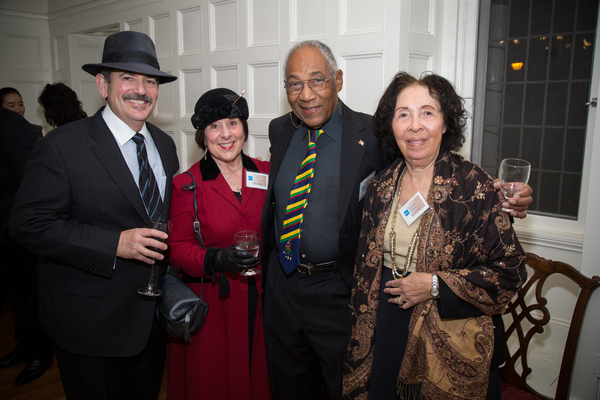 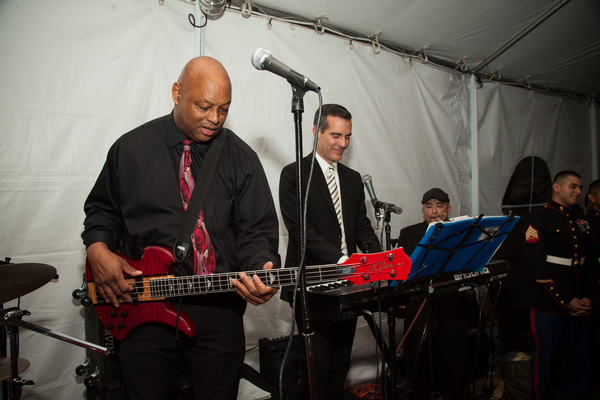 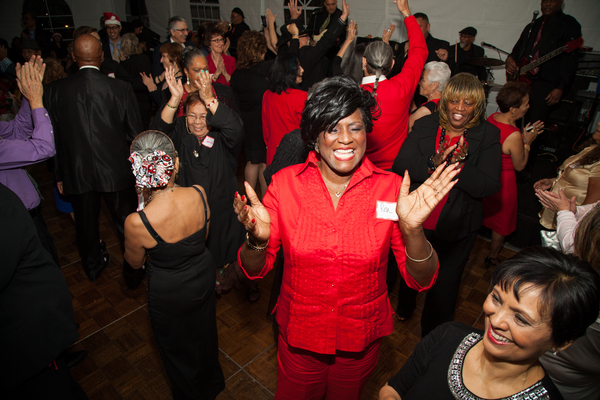 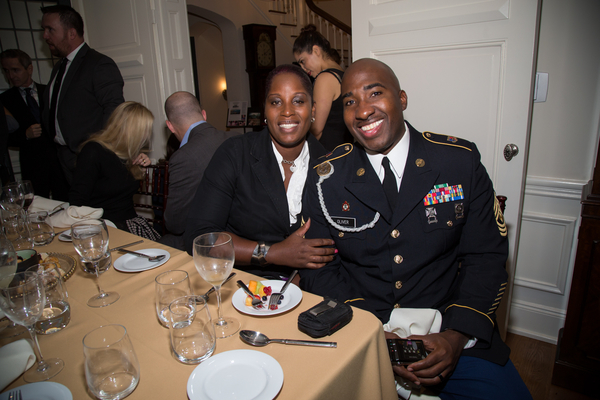 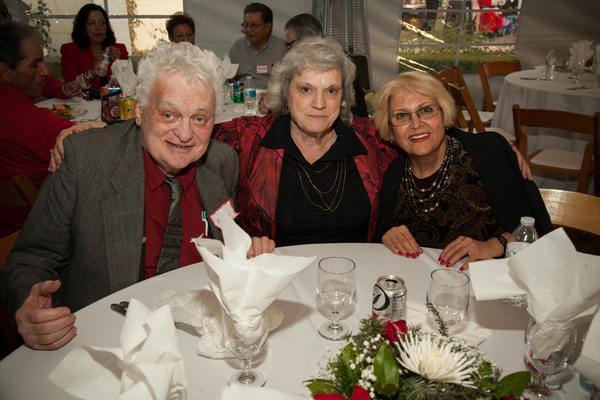 Getty House celebrated the holiday season with an evening ball for senior citizens from across the city. 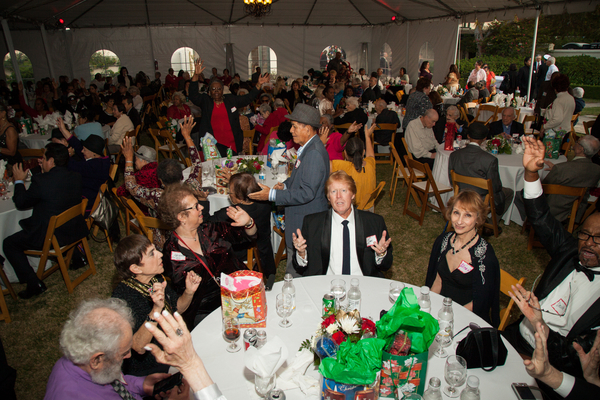 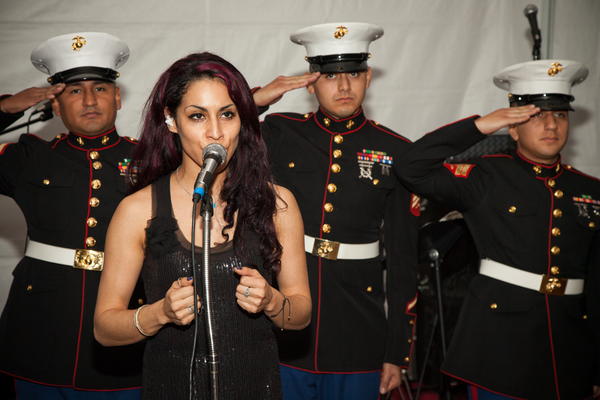 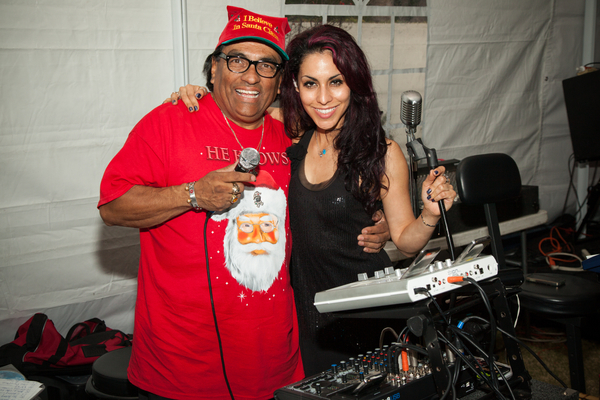 In addition to dancing with a live band, guests were entertained by Santa Claus and a host of celebrity impersonators. 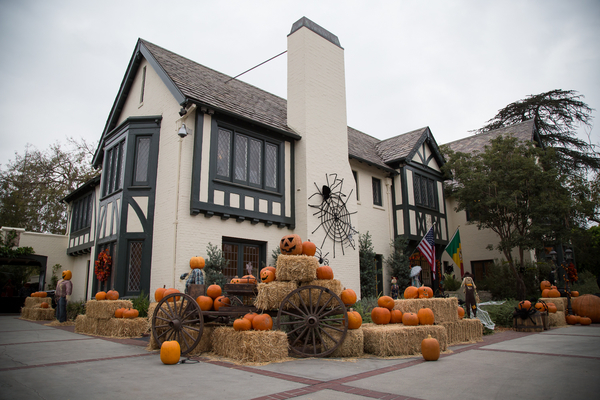 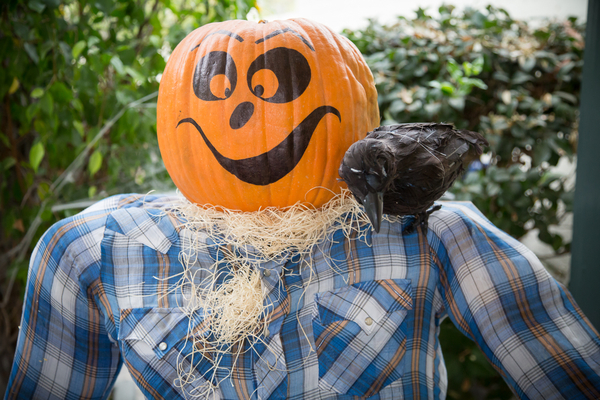 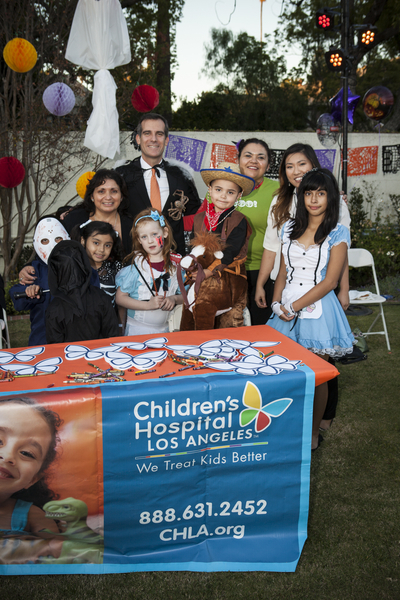 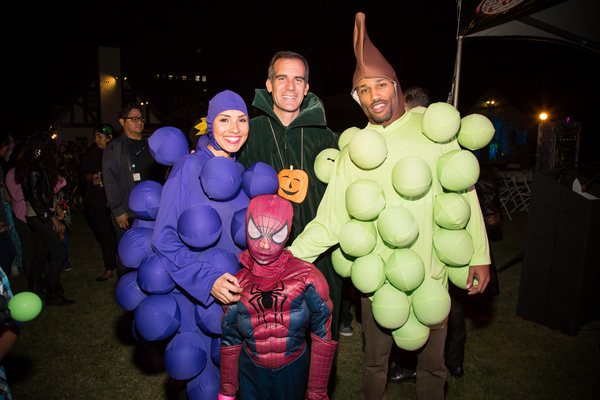 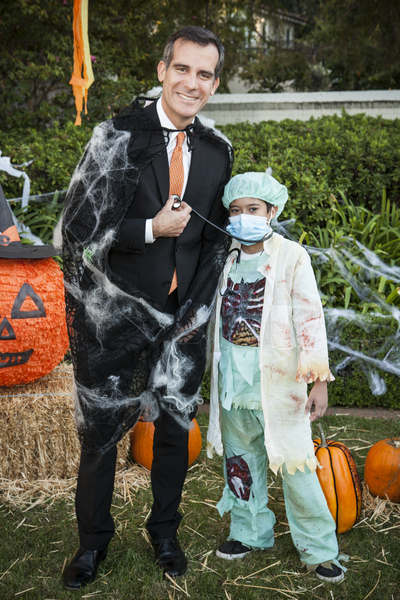 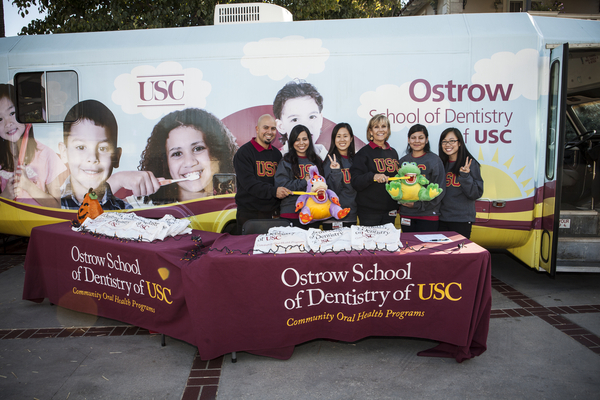 Mayor Garcetti, First Lady Amy Elaine Wakeland, and the Getty House Foundation Board of Directors hosted foster children, children in homeless transitional housing, and families of patients at Children’s Hospital for a Halloween Spooktacular. 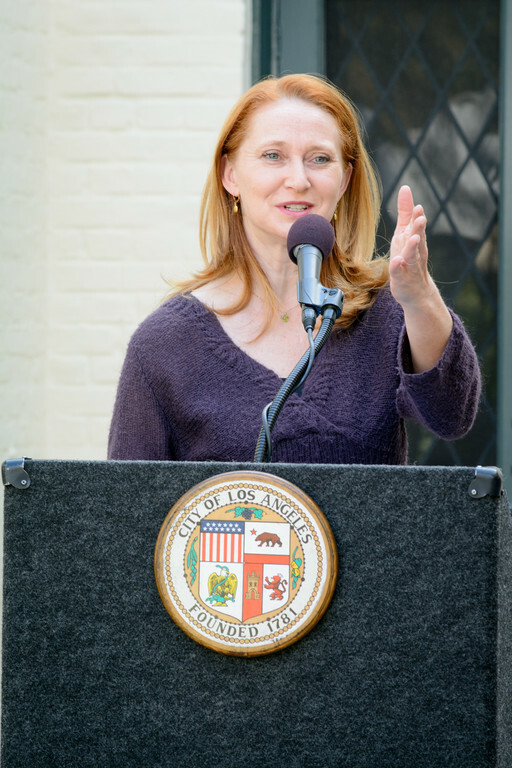 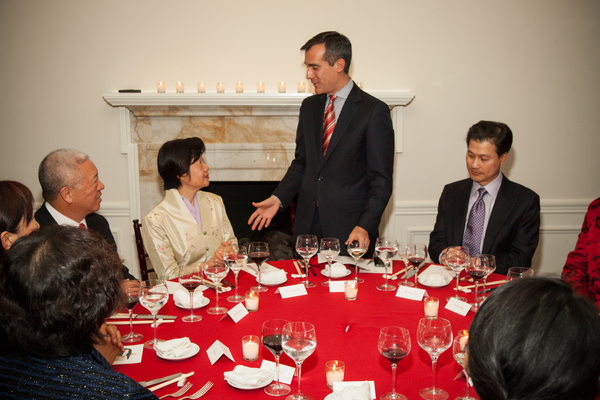 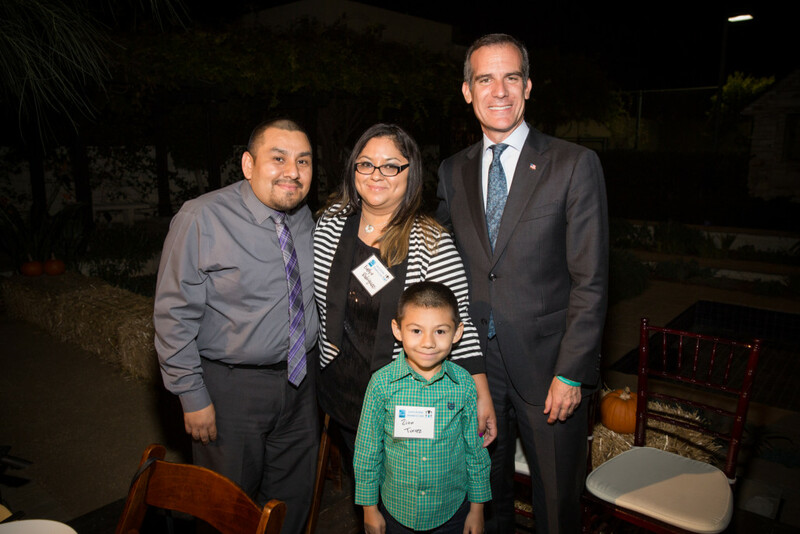 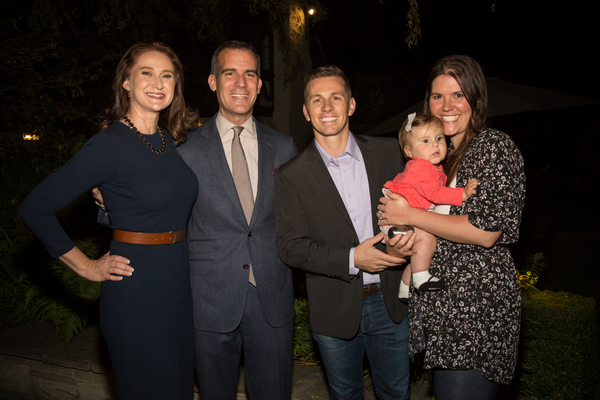 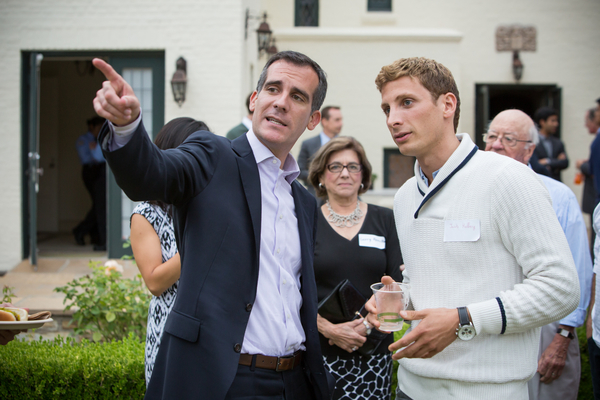 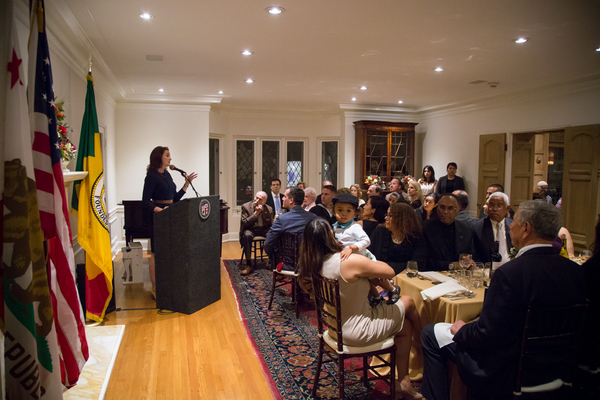 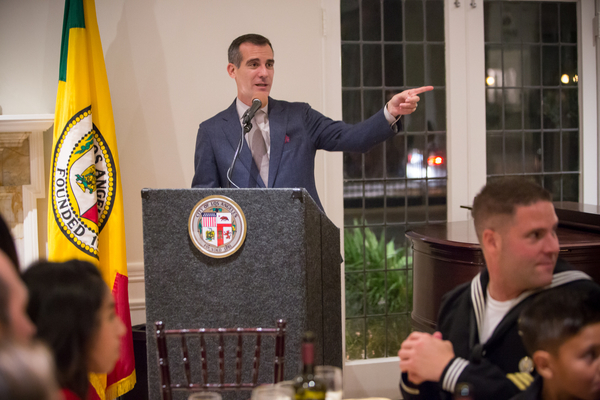 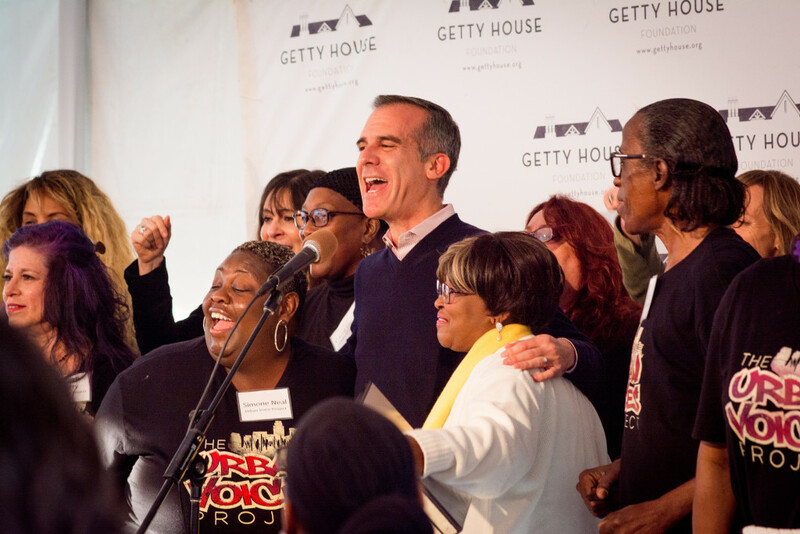 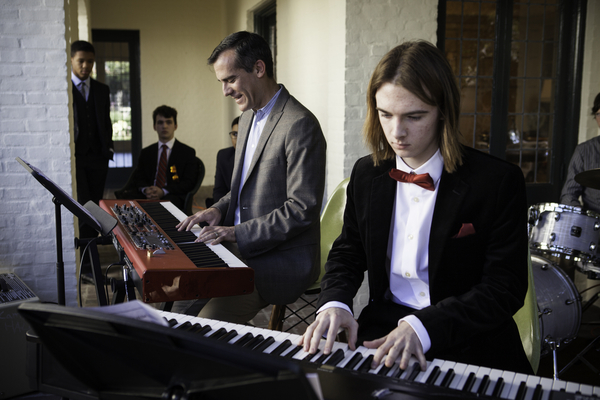 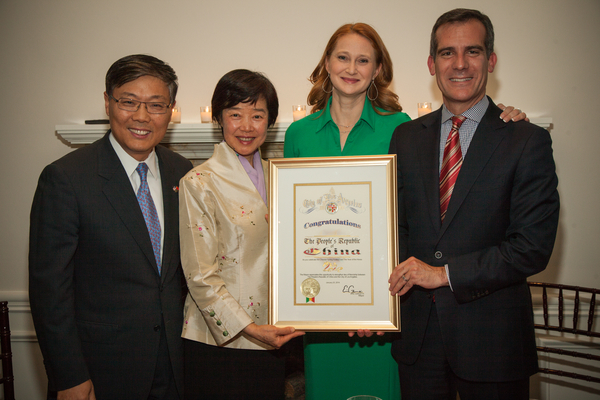 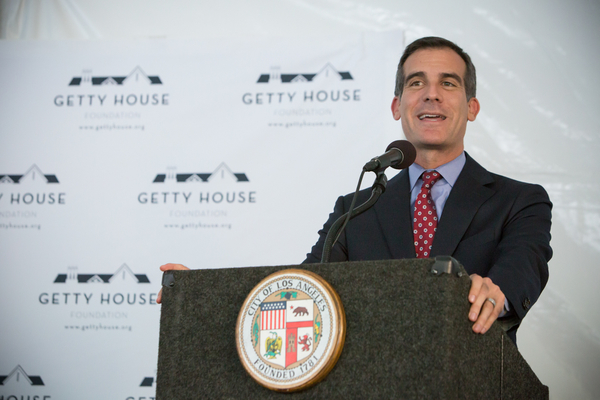 Mayor Eric Garcetti and First Lady Amy Elaine Wakeland hosted a reception for the neighbors of Getty House on the night of Mayor Garcetti’s inauguration as the 42nd Mayor of the City of Los Angeles. 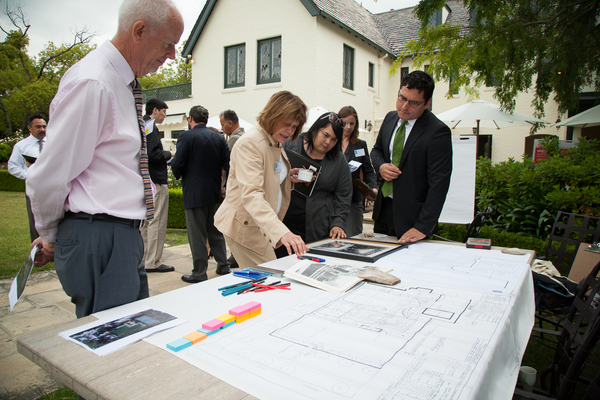 This was the first opportunity for many Getty House neighbors to see the inside of the historic home.